An Taisce Green Flag Awards Achieved. Parents are invited to call to the school to enrol their child, meet Teachers and have a look around. Please bring Birth Cert & PPS number. 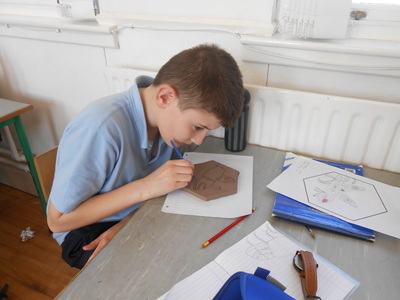 An Induction day for new pupils will take place in June. 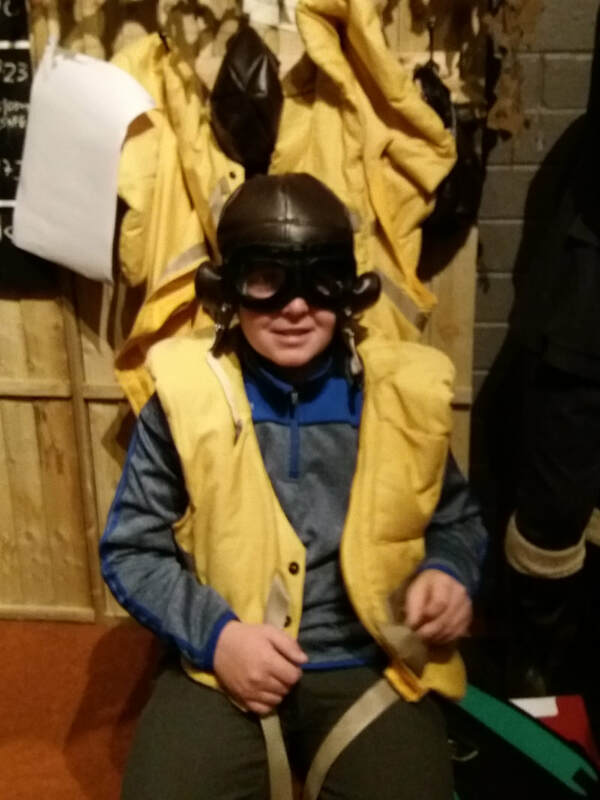 On Monday 8th April Kalem, Michael, Katalina and Maria were invited to join pupils from other neighbouring schools to visit Silverhill Garden Centre in Emyvale. 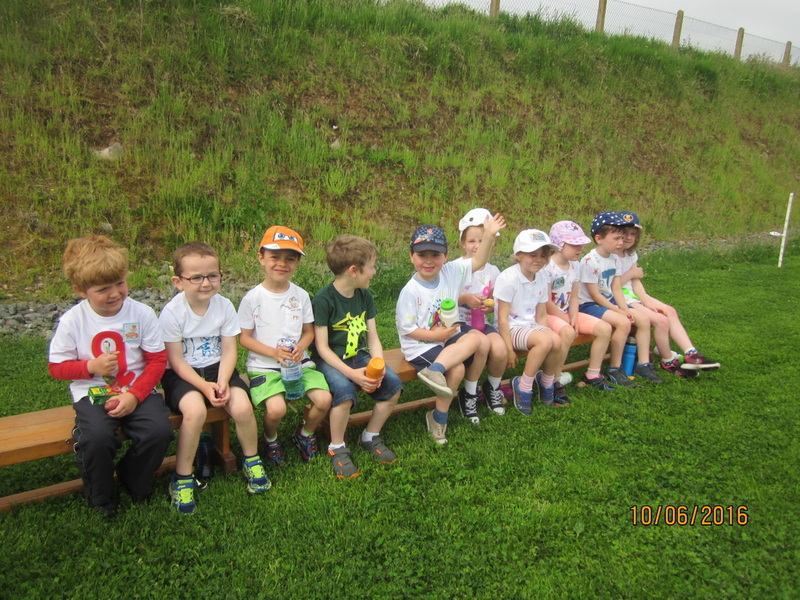 They enjoyed a tour of the garden centre and admired all the lovely flowers in bloom followed by a lovely treat of duck and fresh fruit. 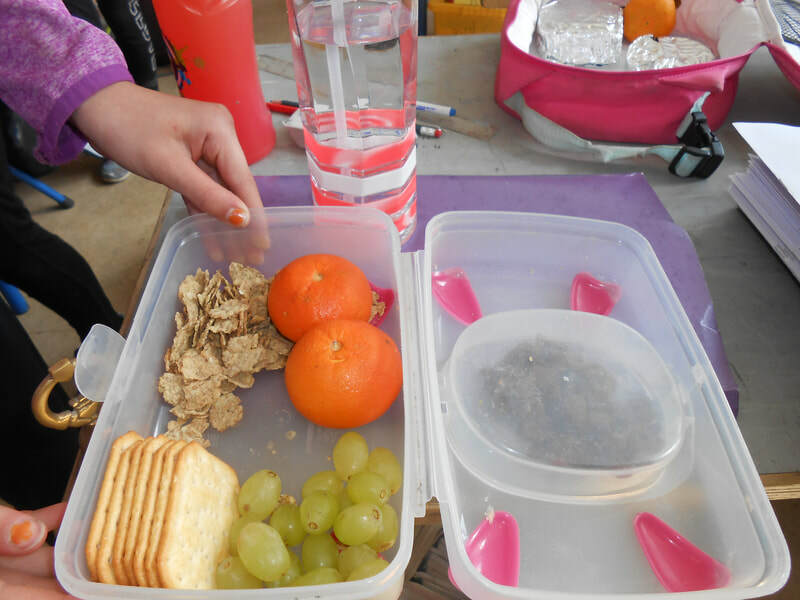 We returned to school with strawberries, lettuce, spinach, cabbage, potatoes, onions all ready for planting in our school garden. 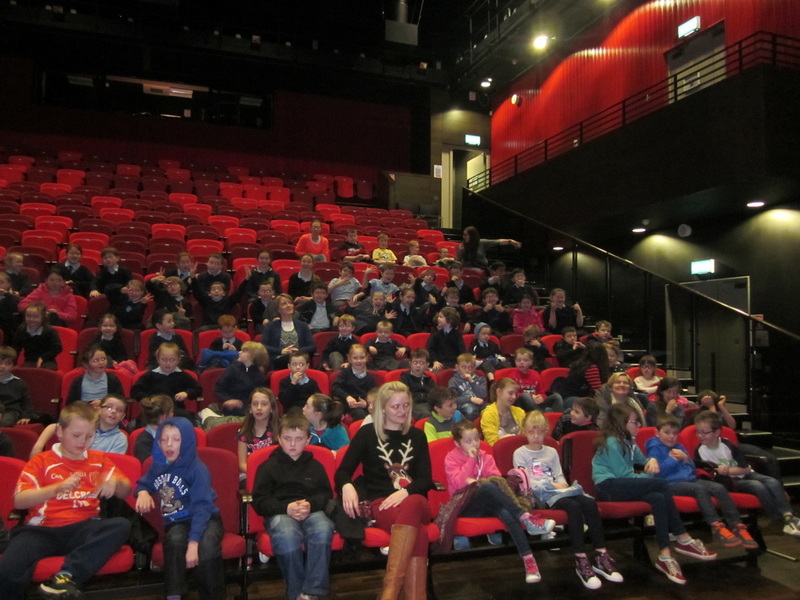 Thank you to John Joe and staff for an enjoyable morning. 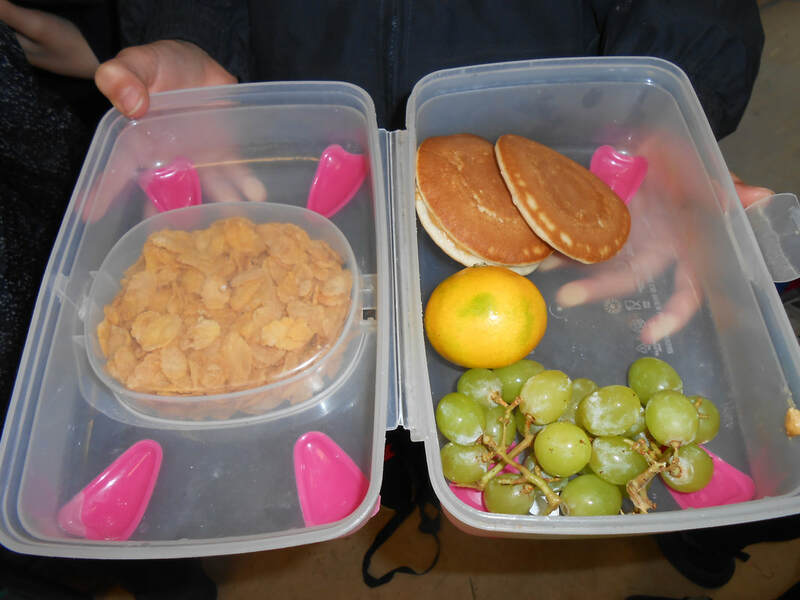 Pupils have made a great effort to reduce or eliminate completely plastic wrappers in lunchboxes. 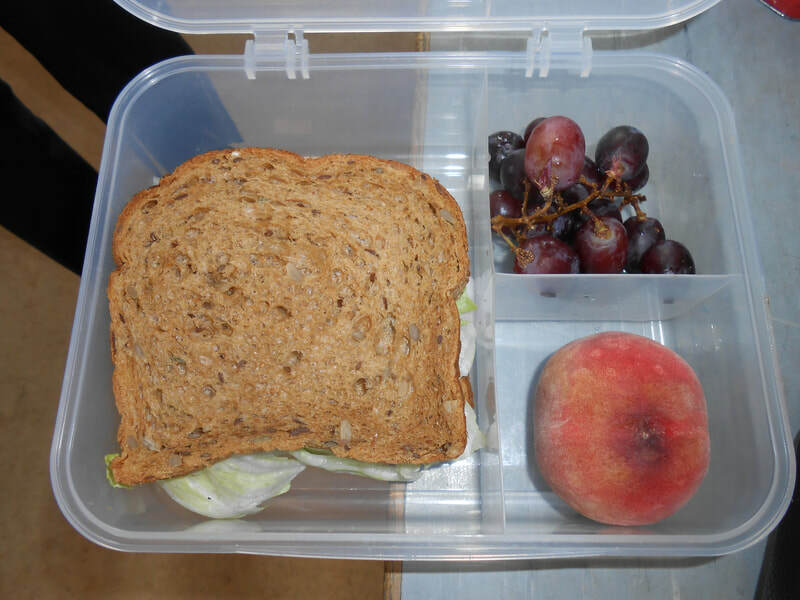 They will also try to avoid the daily use of plastic water bottles, and opt instead for reusable containe. A little conscious effort really can reduce this avoidable mountain of single-use plastic. 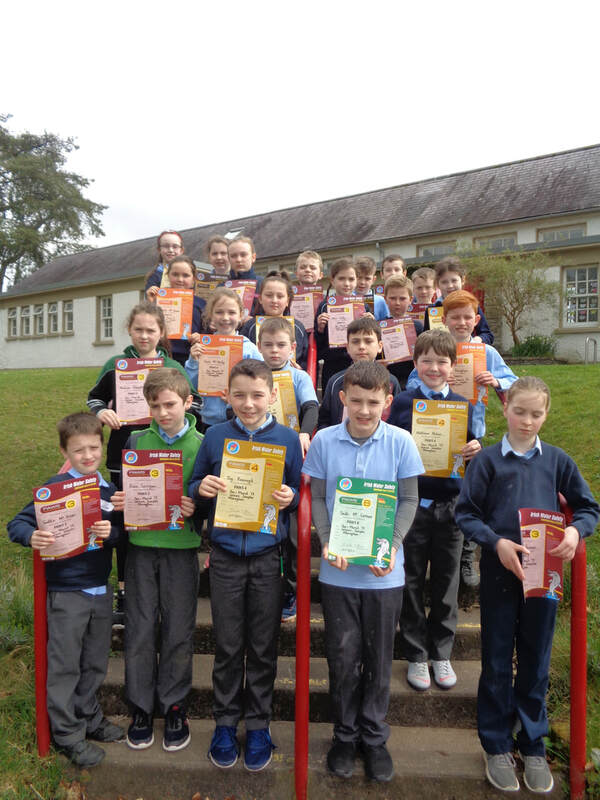 Pupils from first to sixth class receive their certificates after completing eight weeks of swimming lessons. We were authors and illustrators. 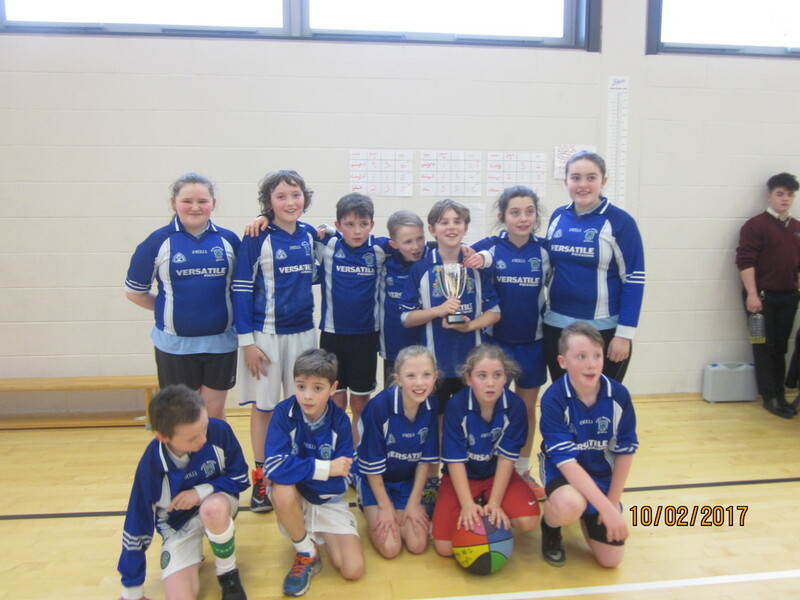 Winners of the Co. Basketball Championship for Smaller Primary Schools in Coláiste Oiriall. It was a very well organised event. A big thank you to Enda O’Brien and all the transition year students who helped out. 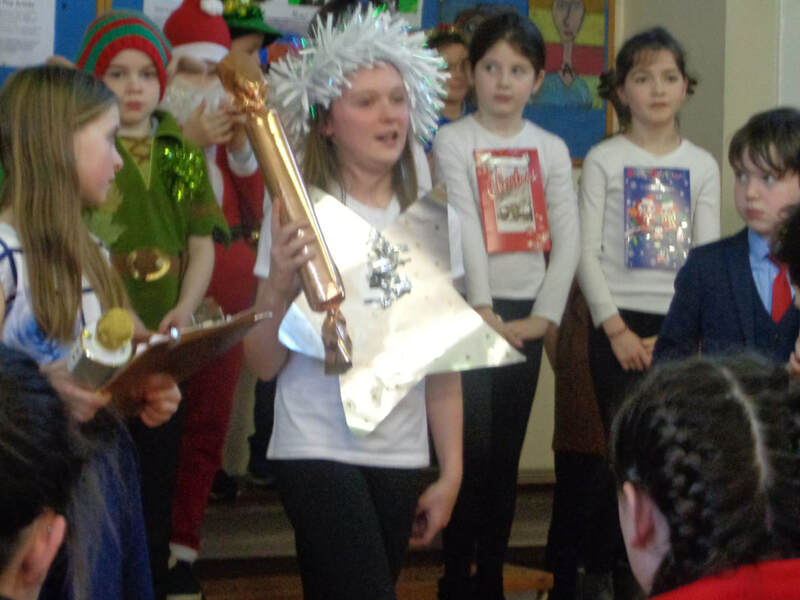 Rang 1 & 2 have been so lucky. 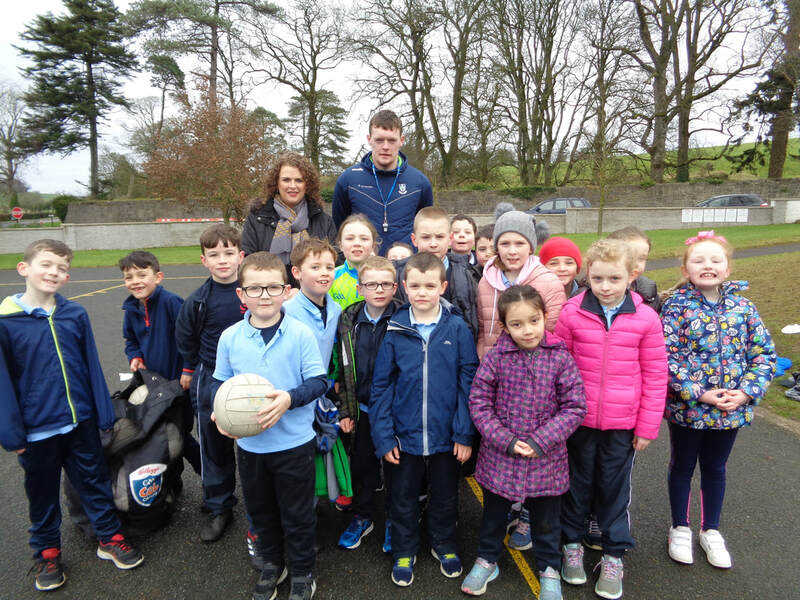 We have been improving our GAA Skills under the guidance and coaching of County Footballer and Goalkeeper Rory Beggan. This All-Star Winner has been passing on wonderful skills to us for the past 6 weeks. 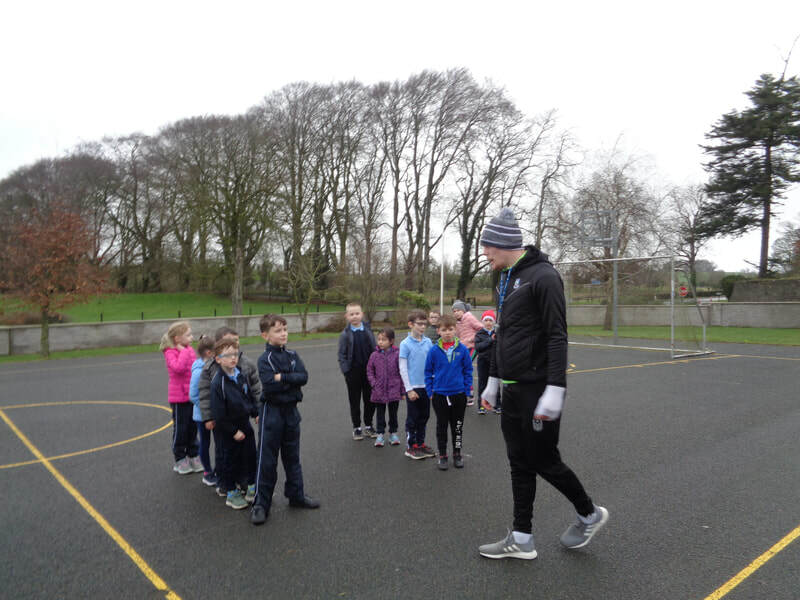 Rory could possibly be coaching County Players of the future. Thank you Rory. 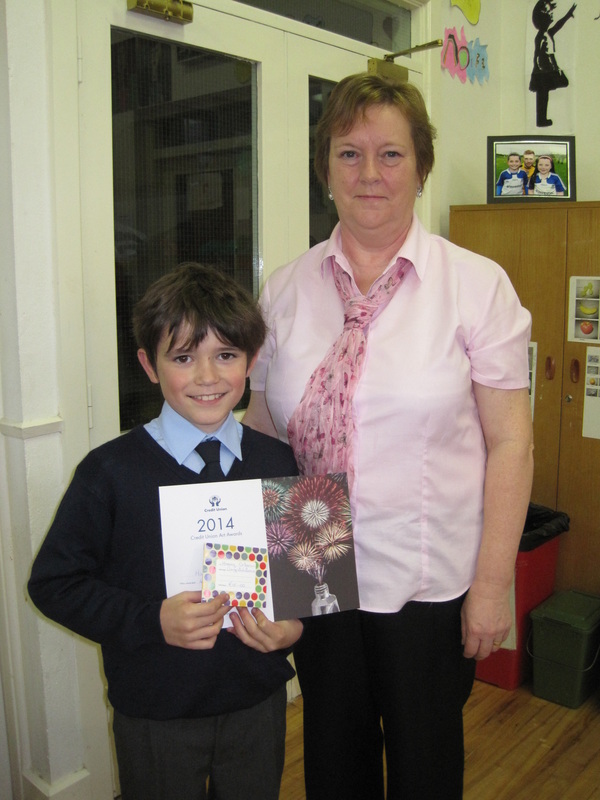 Congratulations to Sean Mc Connon (4th Class) who represented St. Mary's N.S. 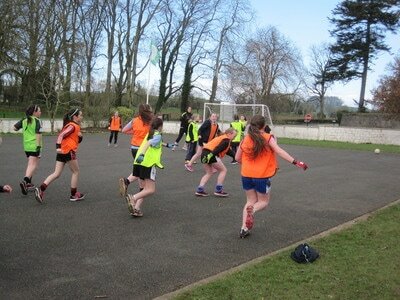 in the Irish Minor Schools Championship. Sean came 3rd and pb in breaststroke and a pb in butterfly. 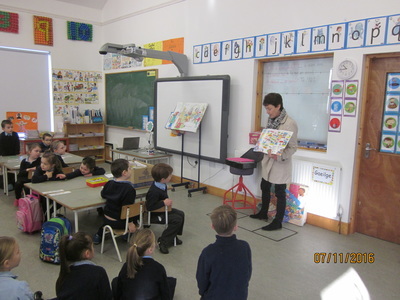 Third and Fourth Classes are presently reading "The Butterfly Lion" by Michael Morpurgo. 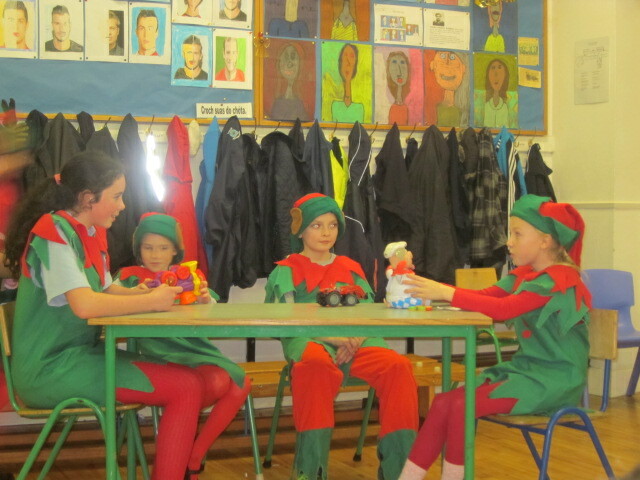 They are enjoying the diverse and interesting characters and settings as well as the highs and lows of Bertie's life. 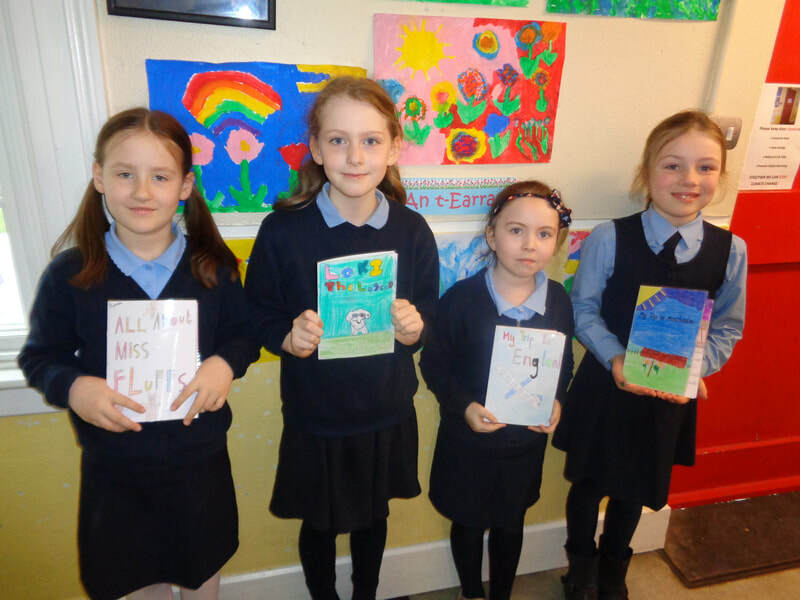 Hopefully it will inspire them as they themselves become authors in the Write-a-Book Project. 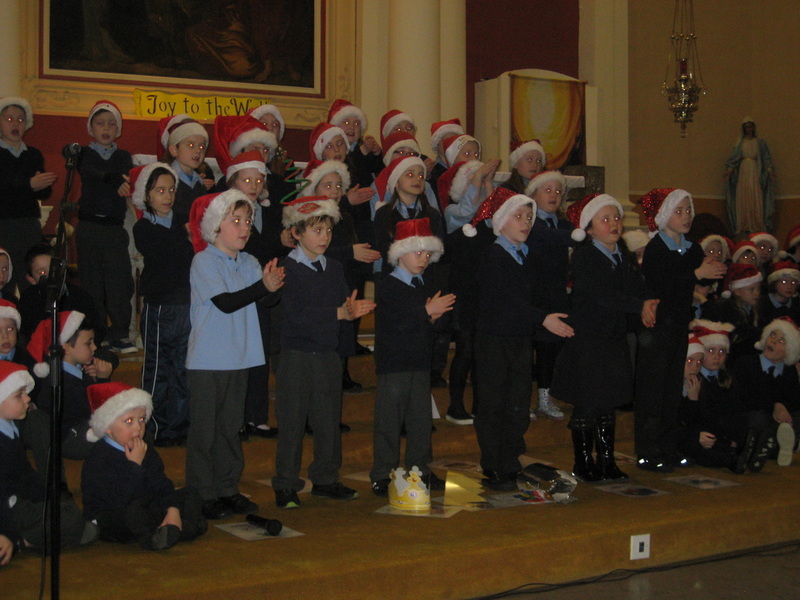 Christmas At St. Mary's N.S. 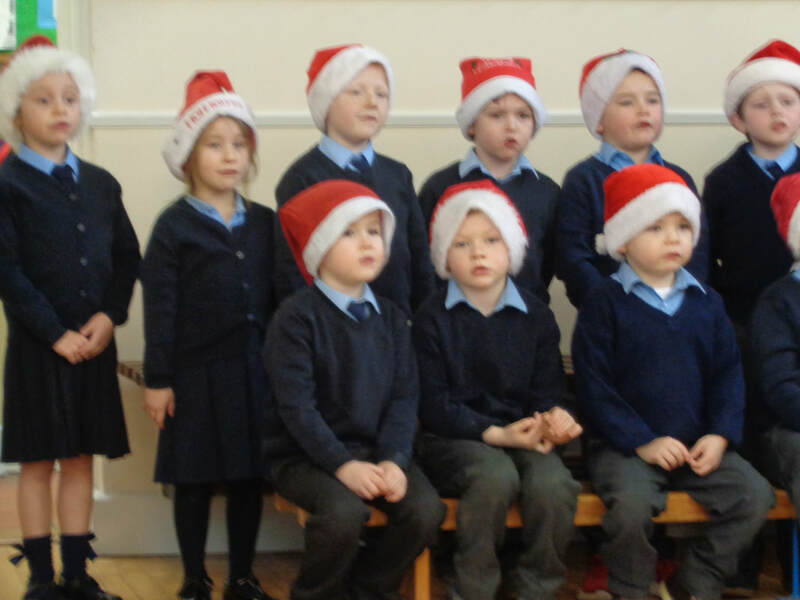 The innocence of our Infant Classes! 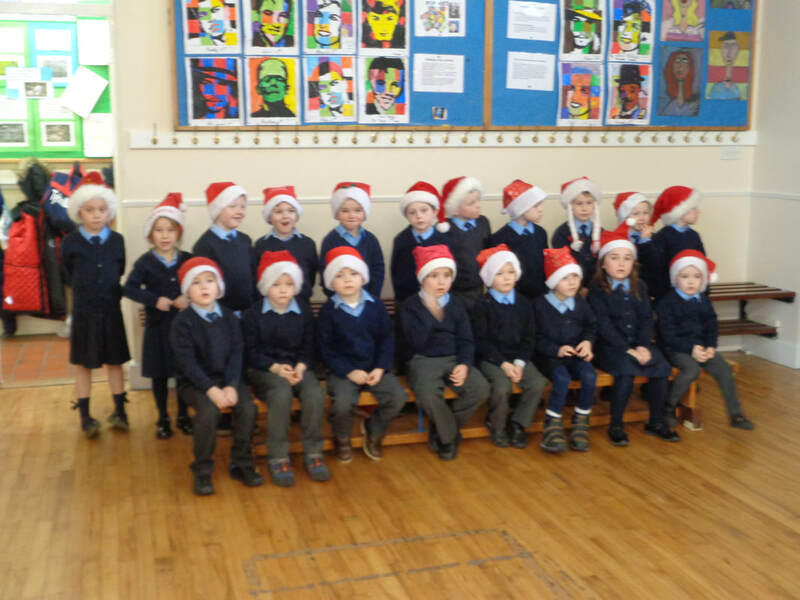 First and Second Class certainly know how to deliver a tune! 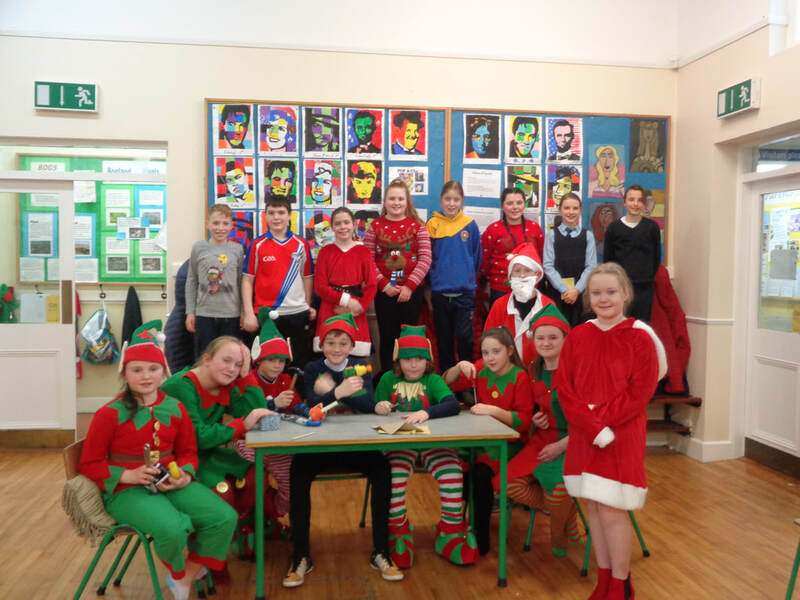 Fifth and Sixth Classes understand the deeper meaning to Christmas. Rehearsals are in full swing at Glaslough School for their annual Christmas Show. We invite our local community to attend on Wednesday, December 19 or Thursday, December 20 at 1:30pm. 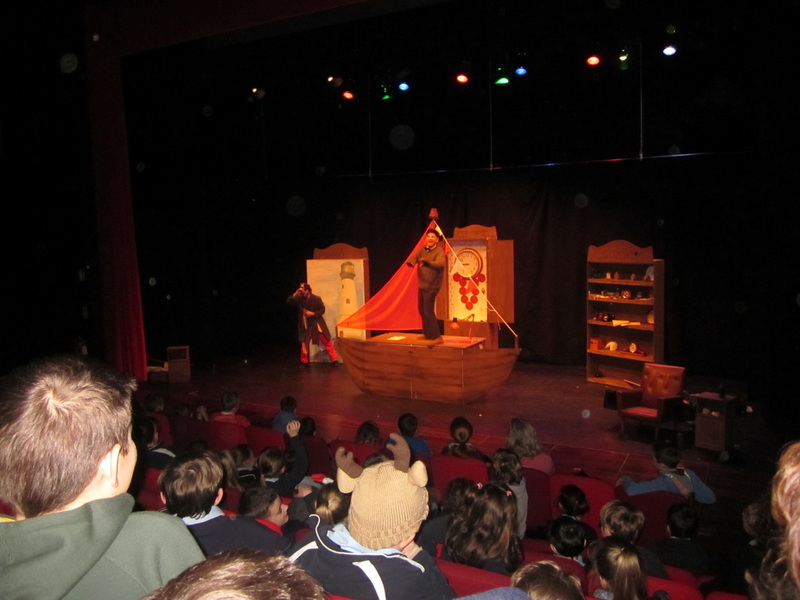 The staff and pupils would be delighted to welcome all to the show. 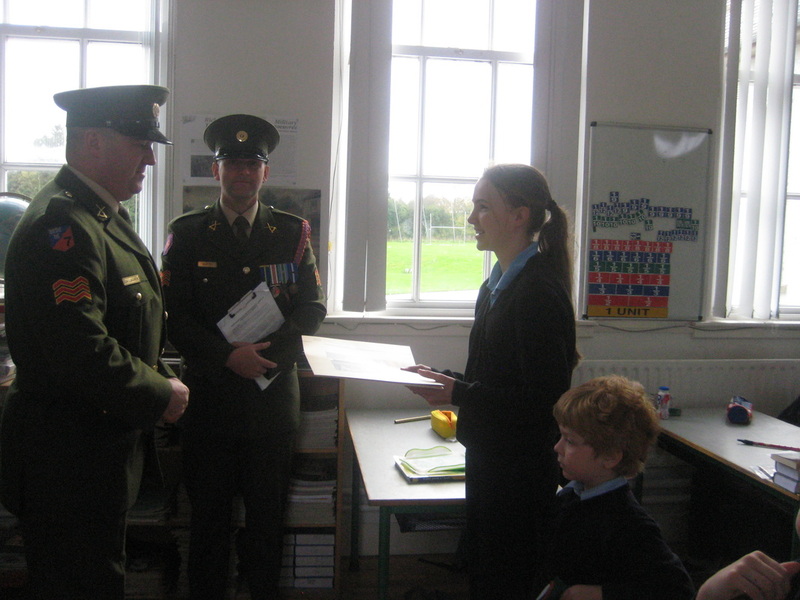 Mr Macklin presents a donation to the local representative of SVP, Siobhán Mc Cluskey on behalf of our school. 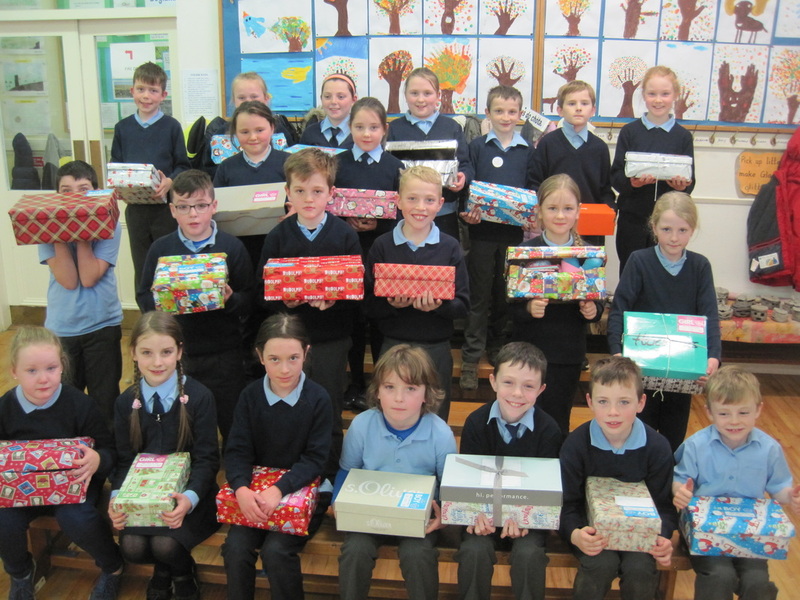 The money collected will be used by the society to purchase much needed vouchers for those in need. Our gratitude to all those who contributed to this worthy cause. May everyone in our community experience a peaceful Christmas. 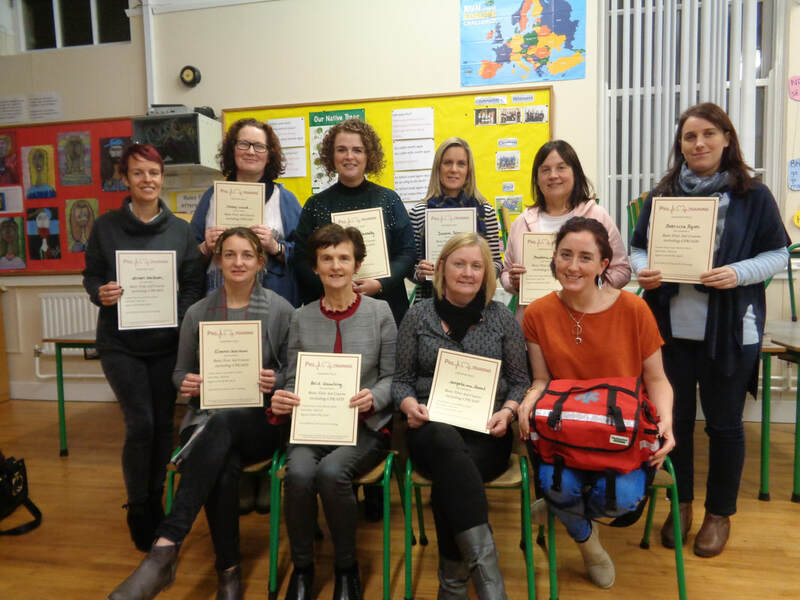 Staff and Parents who completed a First Aid Course,including CPR training, delivered by Carol Mc Girl from Pro Training. 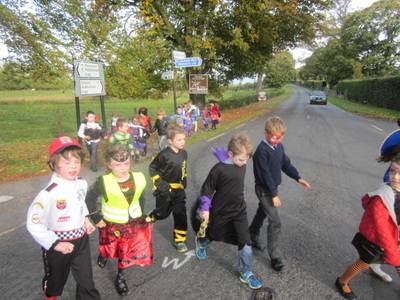 Hallowe'en Sponsored Walk to the Village. 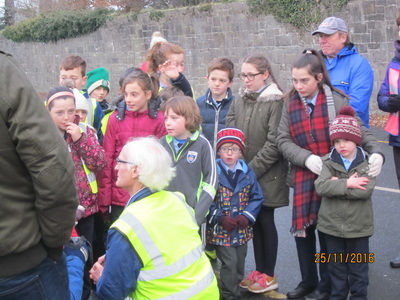 Glaslough Tidy Towns Committee invited Staff and Pupils of St. Mary’s N.S. and Billis N.S. to a lovely lunch in the Oakland Centre on Wednesday 3rd October to celebrate winning the Tidiest Village 2018 and to say thank you for all their hard work over the years. 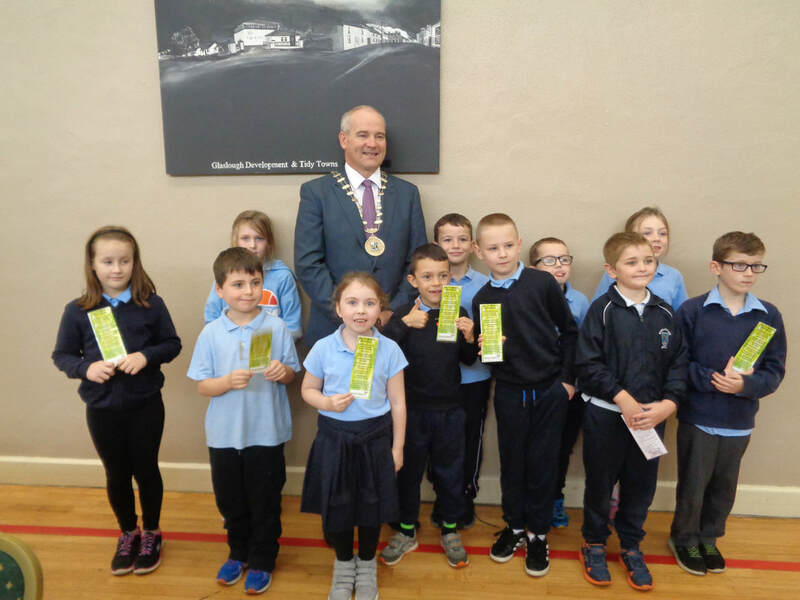 The Mayor of County Monaghan, David Maxwell, presented each pupil with a personalised book marker. St. Mary's N.S. 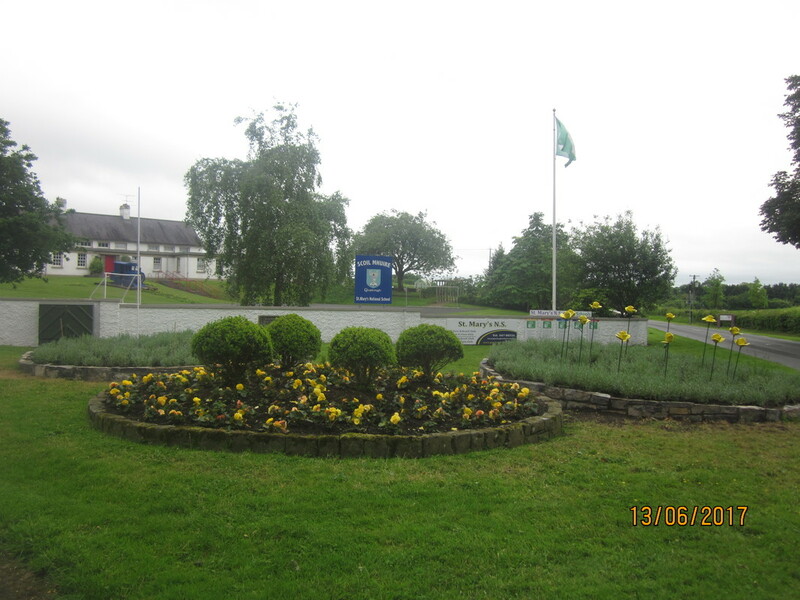 received their sixth Green Flag on Thursday 17th May in City North Hotel, Gormanstown. This environmental award was the culmination of three years' work on the theme Global Citizenship - Litter and Waste. 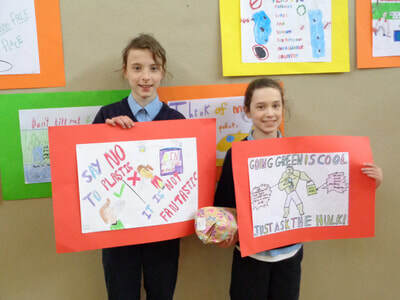 The pupils discovered that their eco-friendly actions have a positive effect on the wider world. Pupils Honor (4th class) and Seán (3rd Class) are photgraphed with Damien English, Minister of State for Housing and Urban Development. In his speech at the ceremony, he was lavish in his praise for the magnificent work being done by Irish pupils on all the Green School Themes. ​​Tidy Town Art Competition Winners. 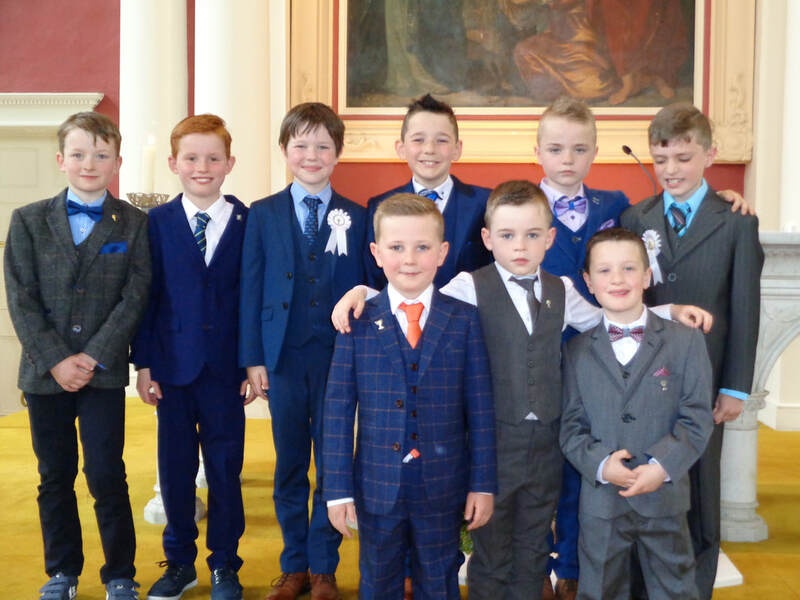 Congratulations to all the boys and girls from St.Mary's N.S. and Billis N.S. 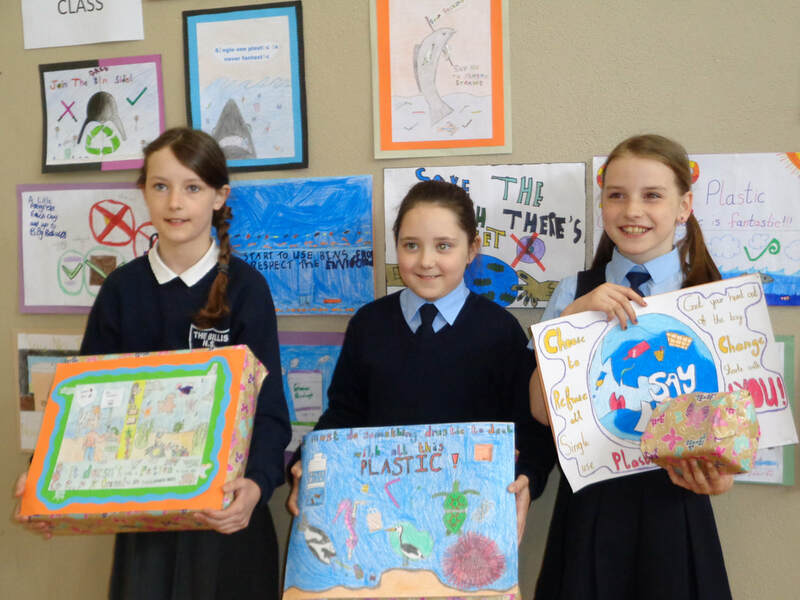 who received recognition for their art project based on the theme of "Reducing the use of Single Plastic in our daily lives". 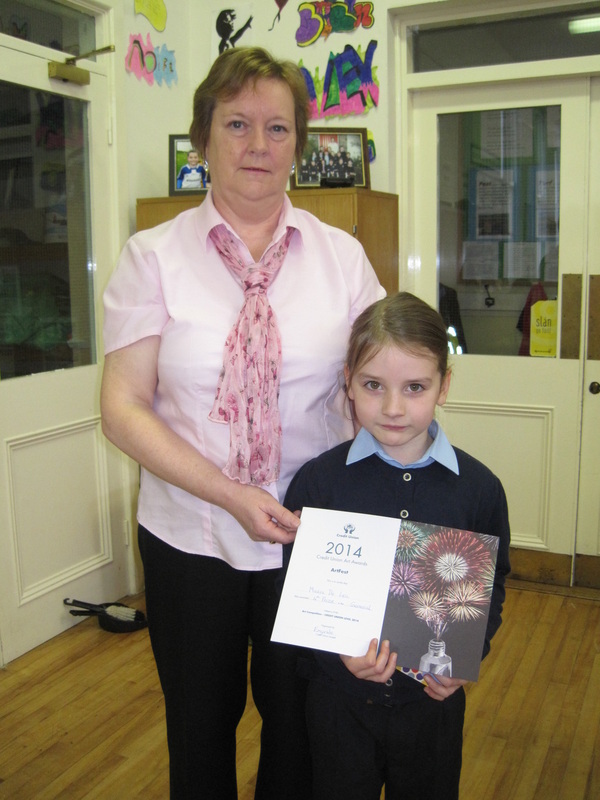 This year a special award of "Overall Winner" went to Jessica Rushe. 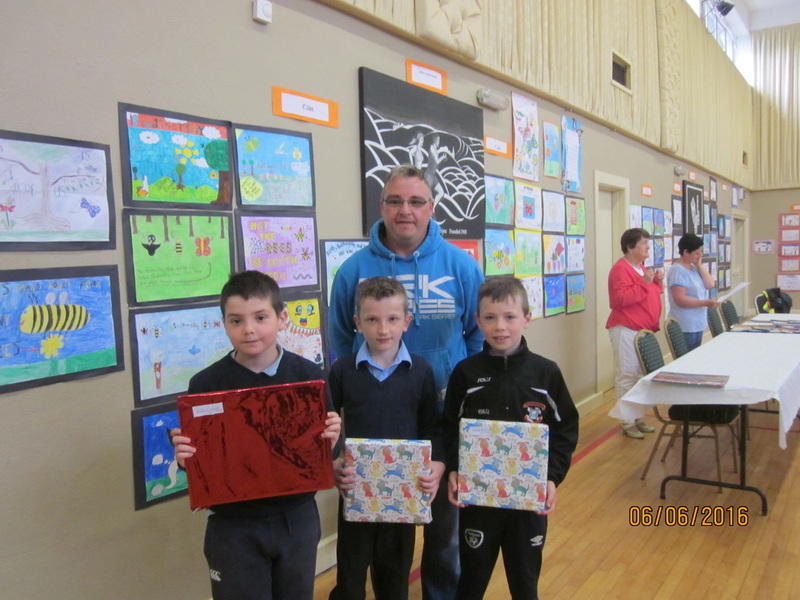 The winners each received a gift and thanks must go to the Tidy Towns Committee for the lovely prize- giving ceremony. 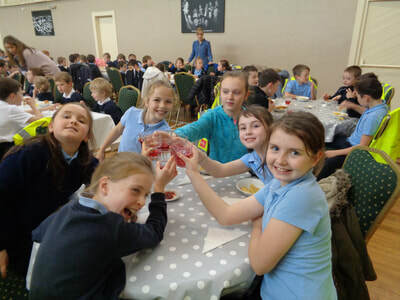 The event finished with refreshments and both staff and pupils were delighted to have been part of this occasion. 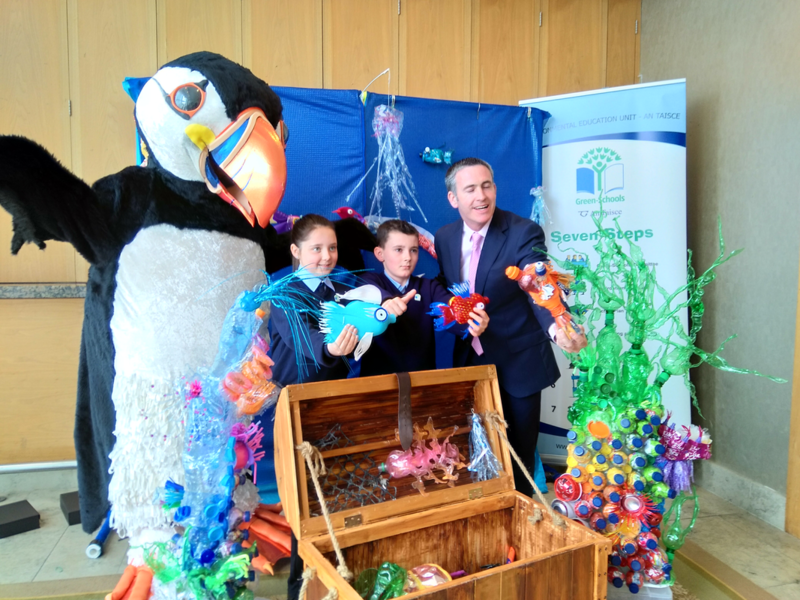 We hope the children will carry the message of how we need to reduce our dependency on plastics especially the soft plastic that are not recyclable. 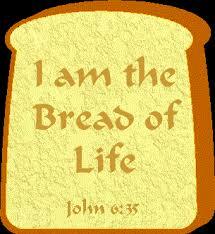 The boys and girls of our school received the Bread of Life for the very first time on Saturday, May 5th. 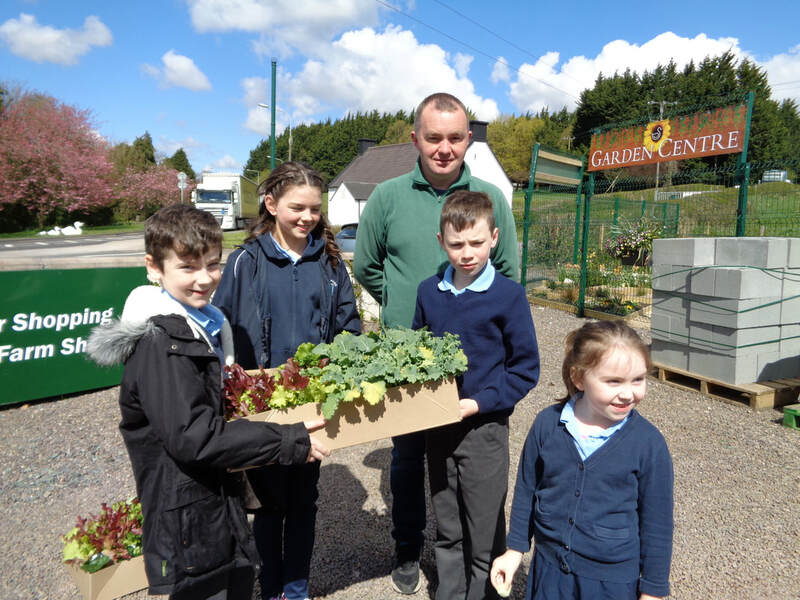 Silver Hill Garden Centre, Emyvale, believes that all families should be encouraged to grow their own plants. 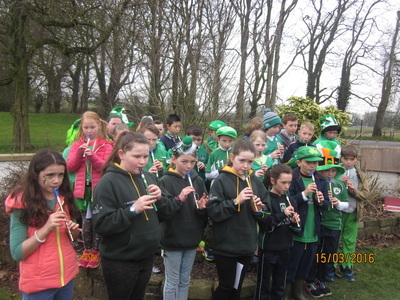 To promote this, they invited all the primary schools from the parishes of Donagh, Truagh and Tydavnet to their Garden Centre on Monday 30th May. 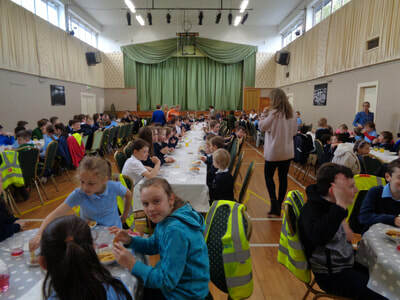 John Joe Sherlock from the Garden Centre welcomed everyone and the children had a great morning viewing the polytunnels, meeting students from other schools in the area and best of all, trying out the very tasty cooked duck products. 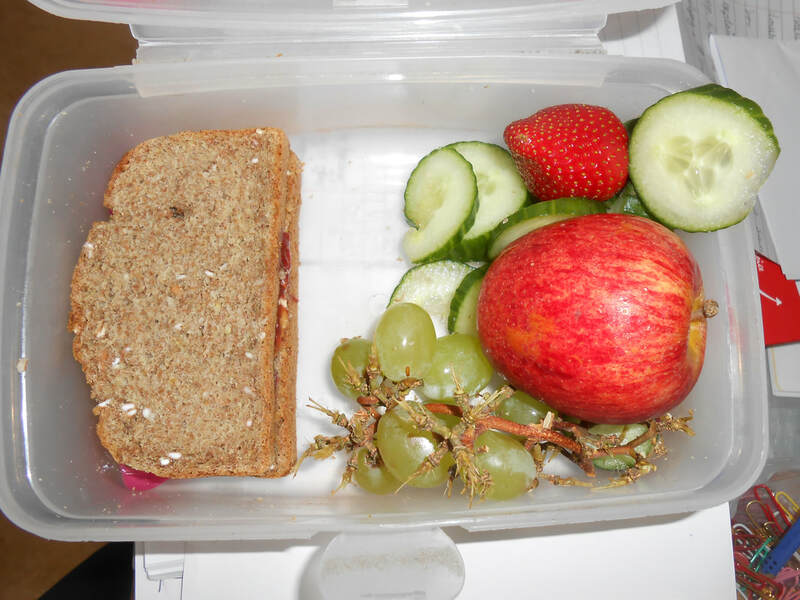 The vegetable boxes for the schools contained various varieties of lettuce, broccoli, parsley, and strawberries. 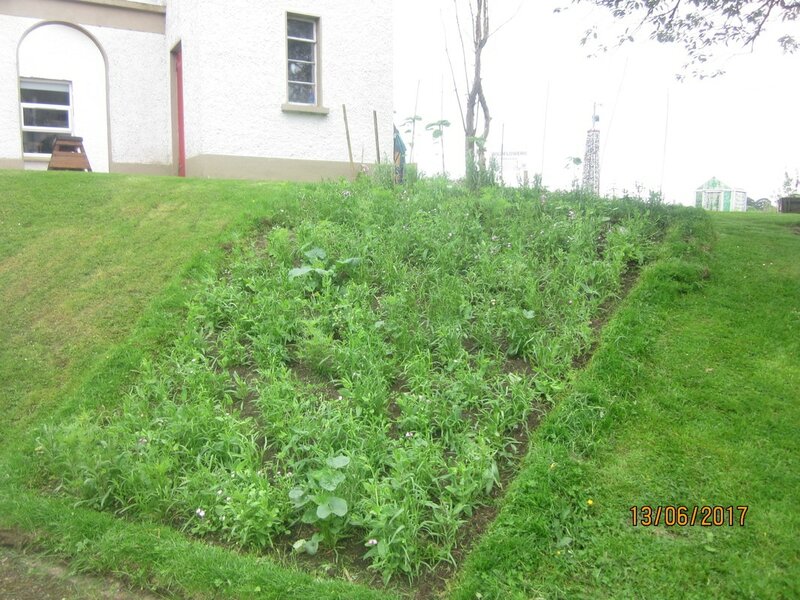 We look forward to a lovely crop of produce in our school garden later in the year. 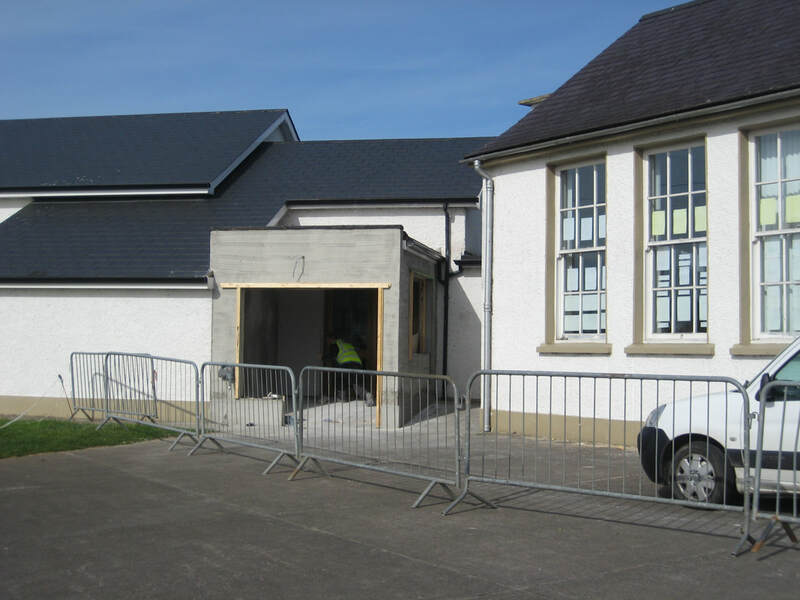 Building Works at St.Mary's N.S. 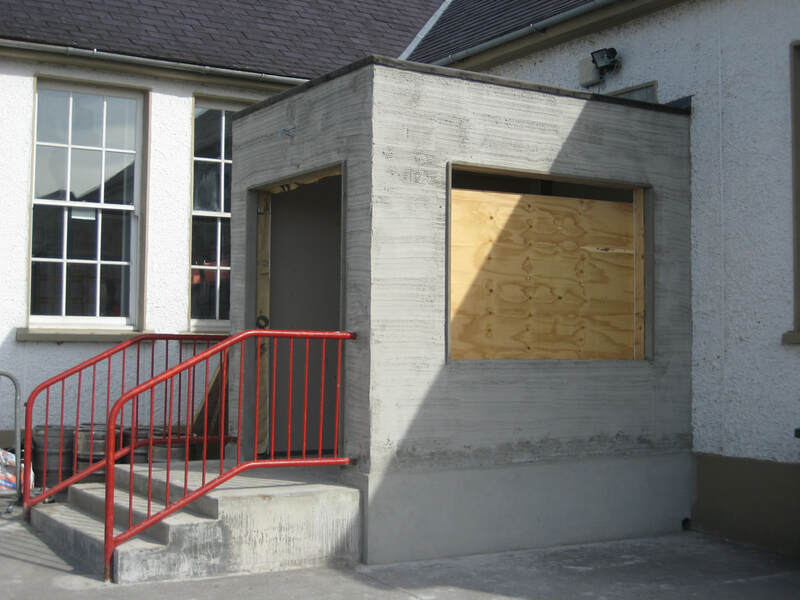 Two new porches are being built by builder Peter Duffy from Castleblayney. 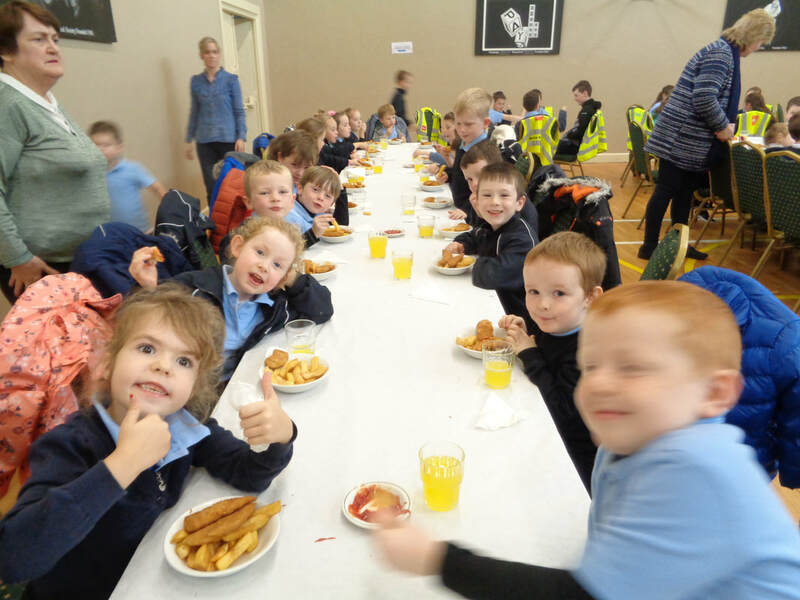 It is wonderful that our fund raising efforts have paid off. We look forward to a warmer building in the future. The Icon of the Holy Family is on display in our school. On the Icon we see the image of the Holy Family seated at a table sharing a meal. This Icon reminds us that we belong to the Holy Family and that each one of us is special. Above the image of the Holy Family on the Icon are the Archangels Michael and Gabriel who carry with them the desire of God to protect us. 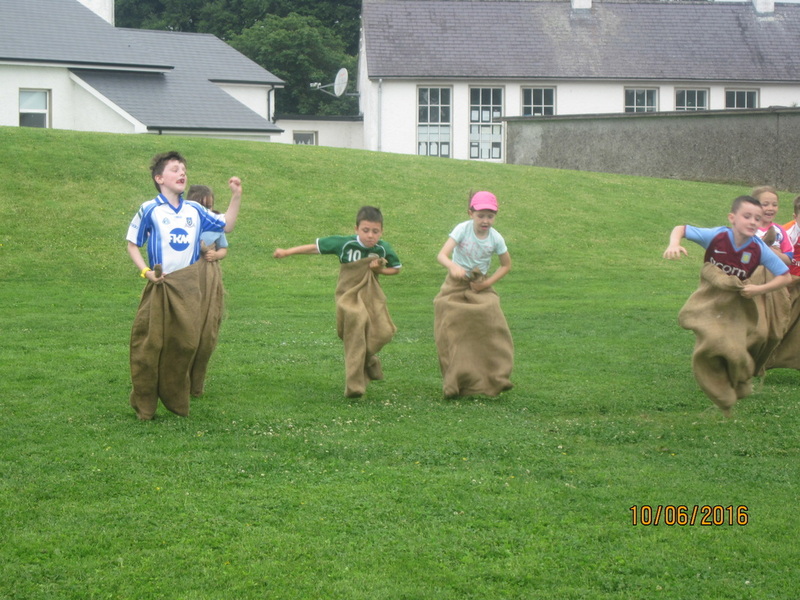 The World Meeting of Families will take place in Ireland between 22-26 August 2018. Rev. Father Hubert conducted a prayer service in our school and was kind enough to leave the above poster with us to remind us of the forthcoming occasion taking place this summer 2018 where we can get to meet and pray with Pope Francis. Swimming Lessons for eight weeks were enjoyed by children from First to Sixth Class. An assessment of their performance was carried out by the swim instructors and each child will receive a certificate to mark his/her achievement. 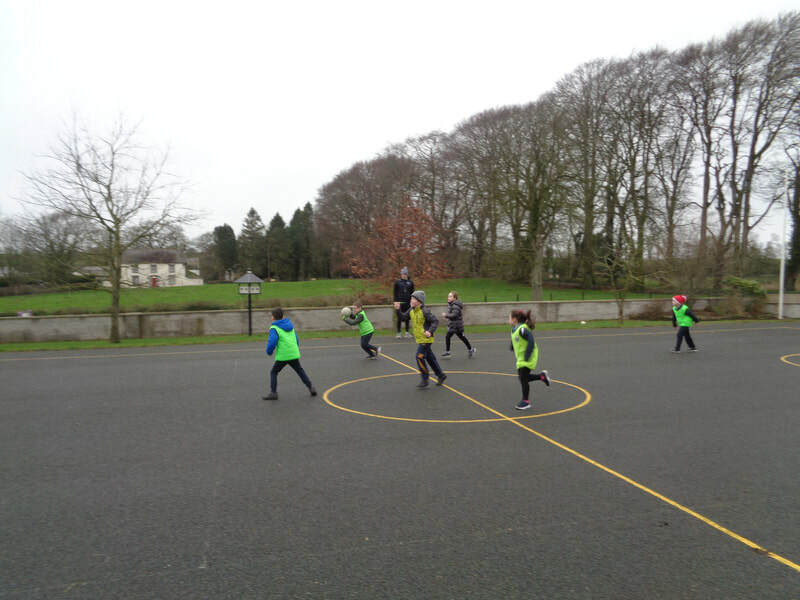 GAA Coaching with our coach Mrs Ann Mc Kenna took place this term. 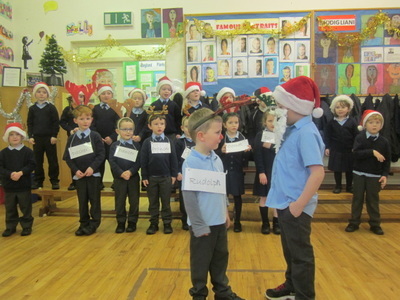 Seachtain na Gaeilge : All children and staff were asked to make a special effort to communicate "as Gaeilge" . 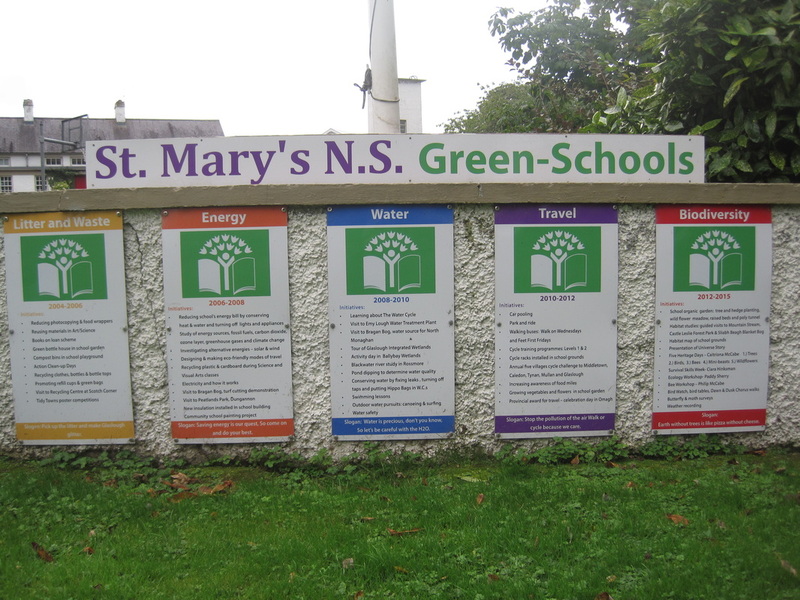 We have a new Irish noticeboard in the school corridor and it will contain information on the following themes: Mé Féin, Bia, SaBhaile, Ar Scoil, Ag Siopadóireacht, Éadaí, An Teilifís, Caitheamh Aimsire and Ócáidí speisialte. 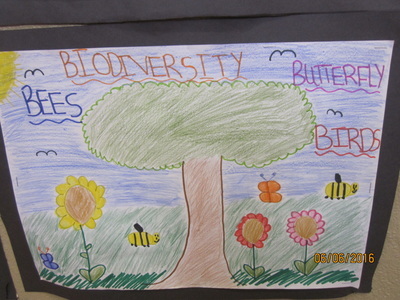 ​ A new eco-friendly initiative was launched in our school. 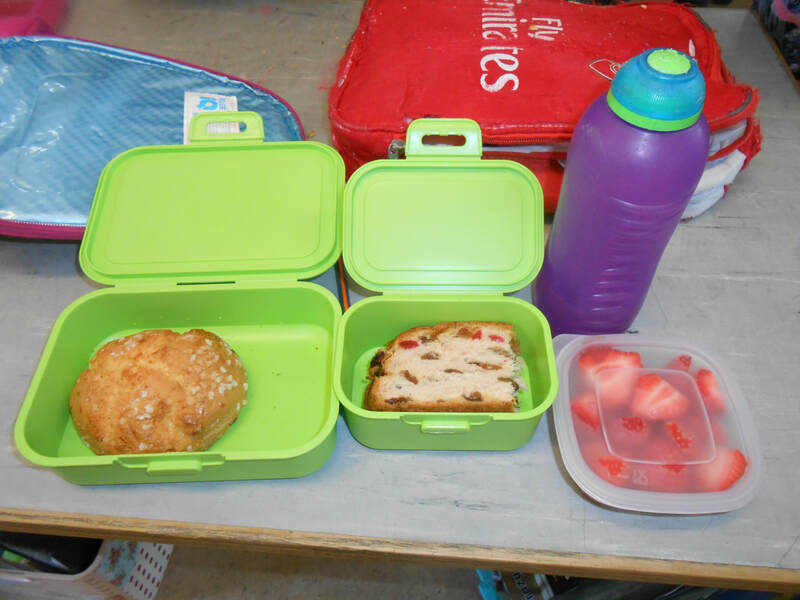 Children are encouraged to purchase a "plastic -free" lunch box and to use a reusable container for drinks. 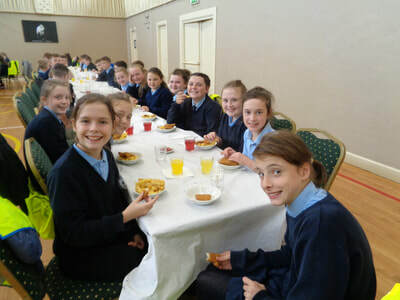 Cross Border Project with St.John's Primary School, Middletown: The senior classes discussed a broad range of topics with their peers. 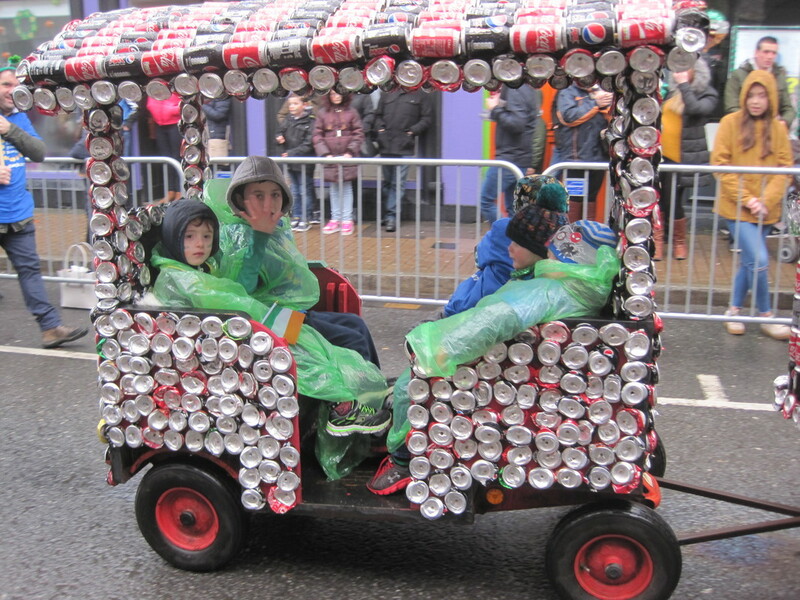 The themes were stereotypes, prejudices, sectarianism and disability. 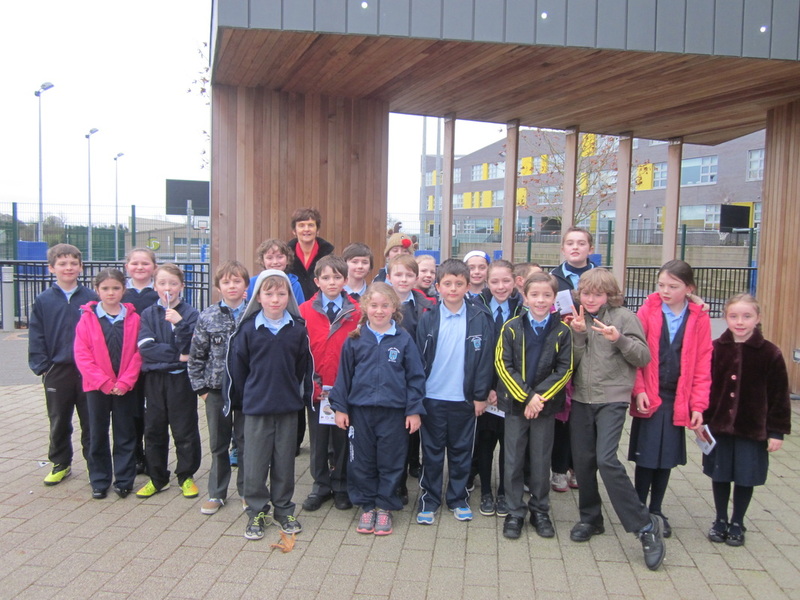 Basketball: Victory was enjoyed by our basketball team in the County League, led by captain Josh Curley. 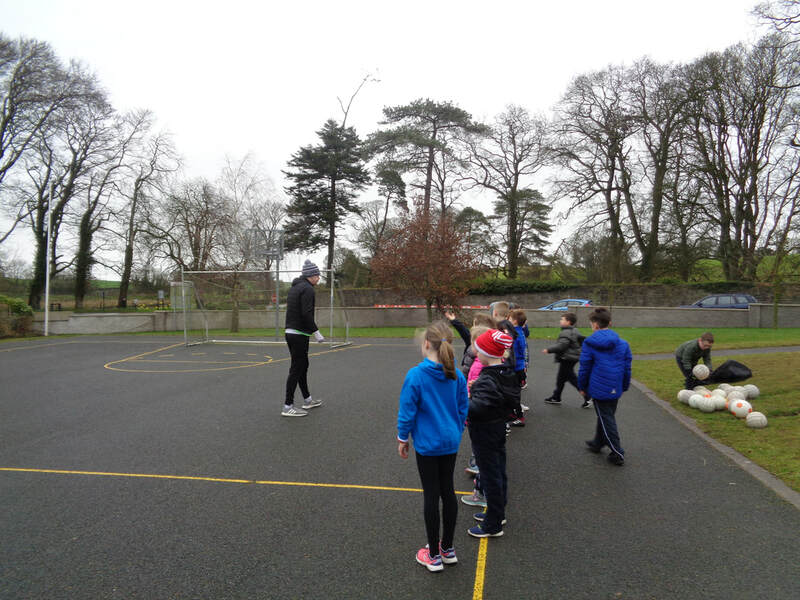 Tennis lesson are on-going in our school for all classes under the leadership of coach Kevin Curran. 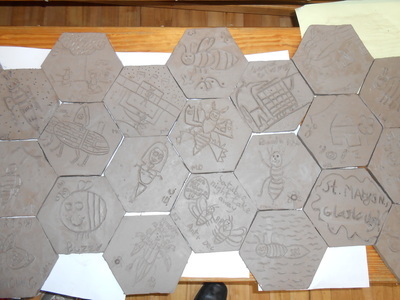 The children will enjoy a total of six lessons. 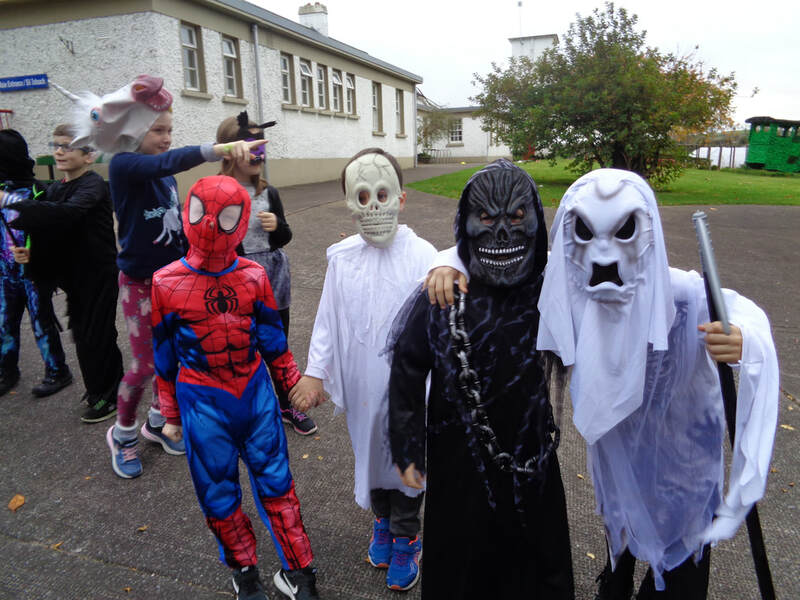 Fund Raising continues with a "Non-Uniform Day" on the last Friday of each Month.Children are asked to contribute a small fee of 2 euro per child which goes towards the running cost of the school. Keep the following dates in your diary: May 25th and June 22nd. 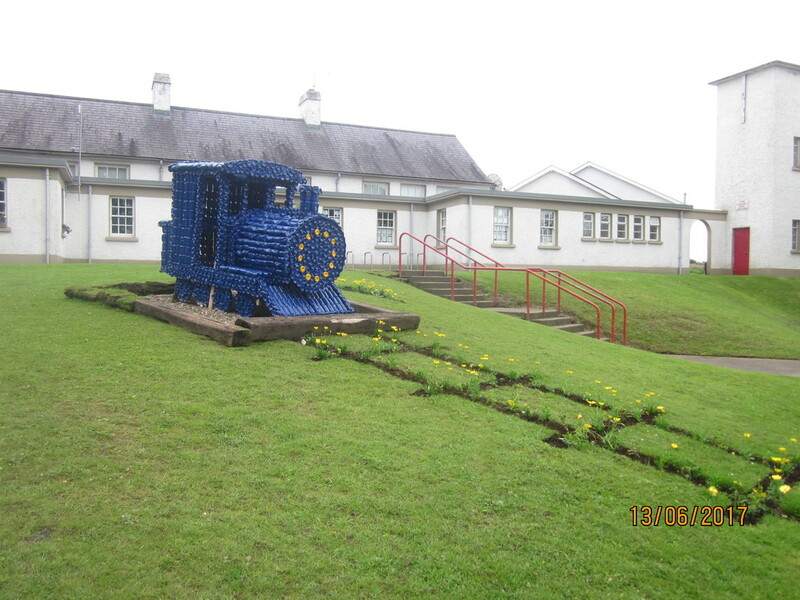 Glaslough Village has entered the Entente Florale Competition this year. This is a European Environmental Competition which aims to promote environmental awareness among communities and eco-friendly initiatives for the good of local residents and tourists. 2. 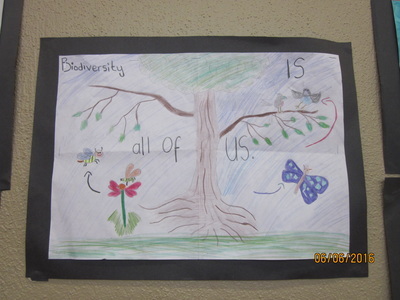 A wildflower meadow planted under the direction of Dale Treadwell, a recent lecturer who visited our school and conducted a workshop on biodiversity. 3. 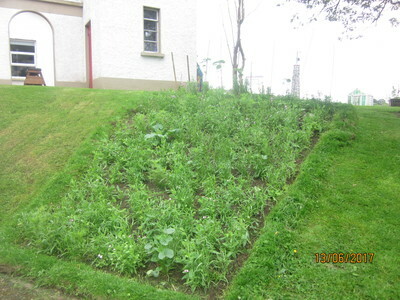 Raised beds planted with plants donated by Silverhill Garden Centre, Emyvale. 6. School wall plastered and painted. 8. Can recycling bin near carpark. 9. 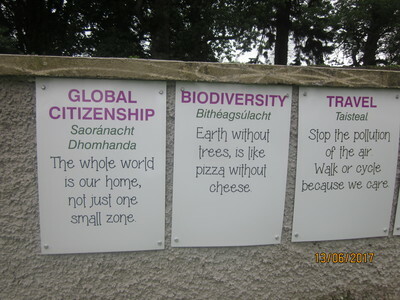 Wall Plaques depicting winning Green slogans. We wish our village much success in this competition and hope all the hard work pays off. We also wish success to the other eight countries involved : Austria, Belgium, Czech Republic, Germany, Hungary, Italy, Netherlands and Slovenia. 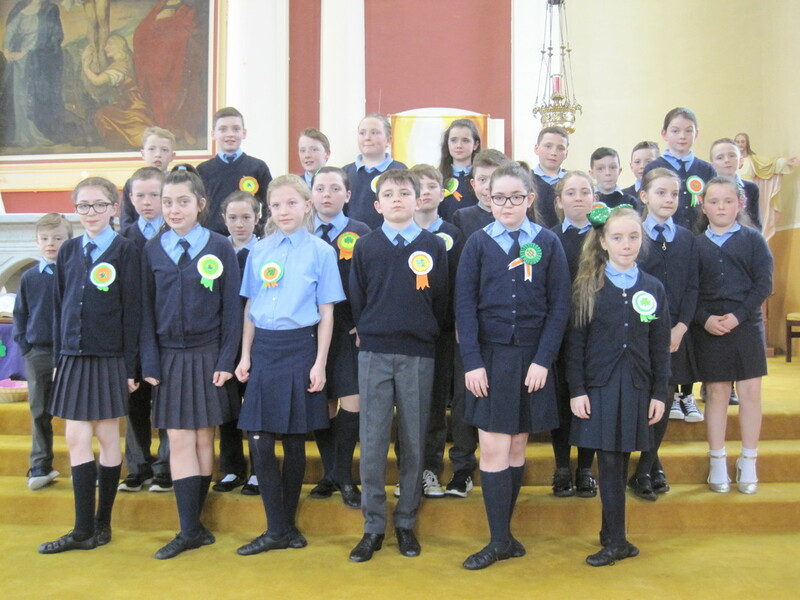 We wish to congratulate the boys and girls of sixth class who made their confirmation on May 6th. We hope they will enjoy the fruits of the Holy Spirit as they mature and progress through their teenage years. They are to be commended on their scrap books which they compiled for their confirmation under the guidance of their class teacher Mr. Macklin. 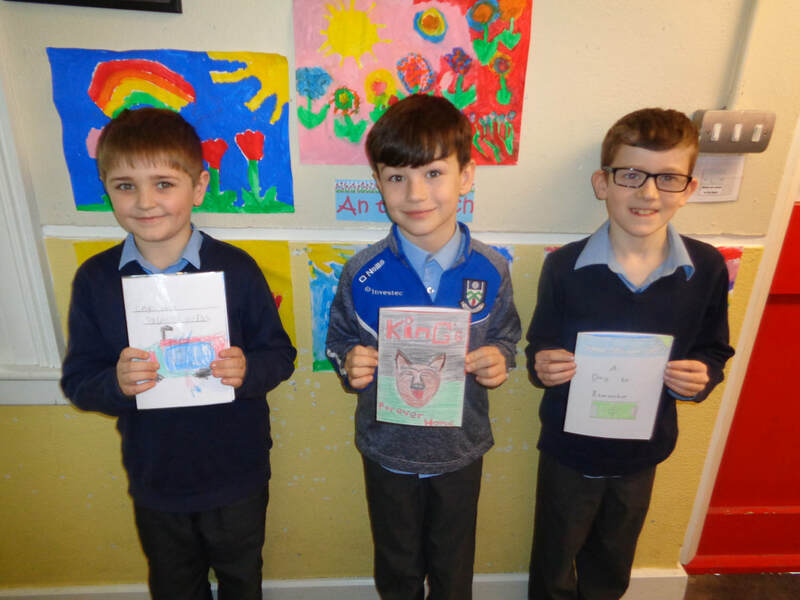 Congratulations to the winners of the Publish-a-Poem Competition. 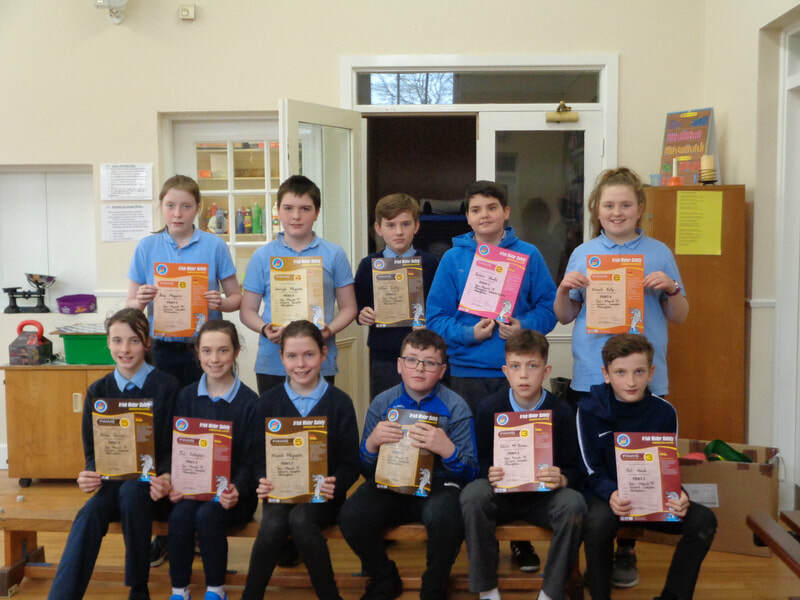 ​Highly Commended: Ethan Cunningham, Maebh Mc Nally, Kayla Molloy, Katie Treanor, Conor Balmer, Callum Duffy, Honor Colleran, Maria De Lea, Seán Mc Connon, Jay Kavanagh, Darragh Clerkin. 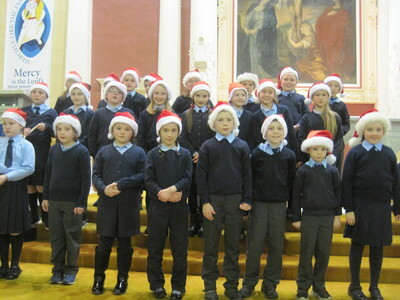 The children from St. Mary's and Billis N.S. 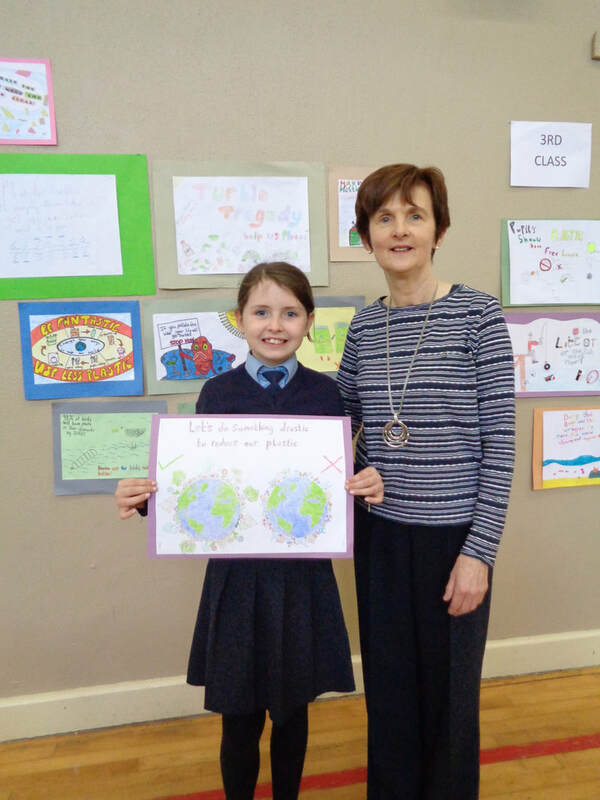 took part in the Tidy Towns Poster Competition. 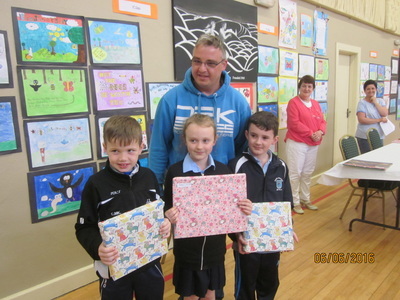 Well done to the boys and girs who received prizes. 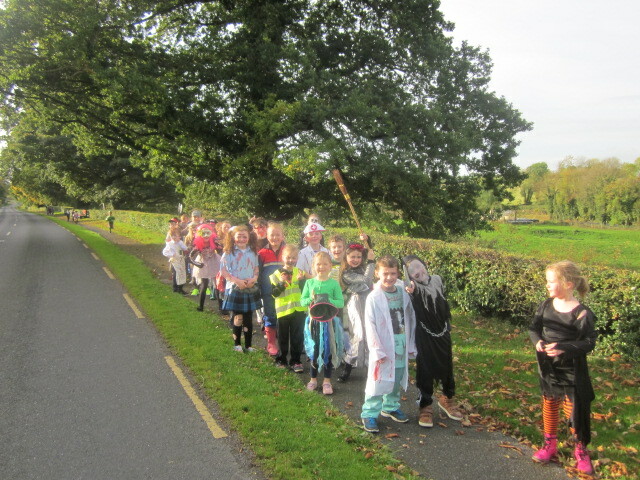 This years theme was 'Birds as Pllinators'. 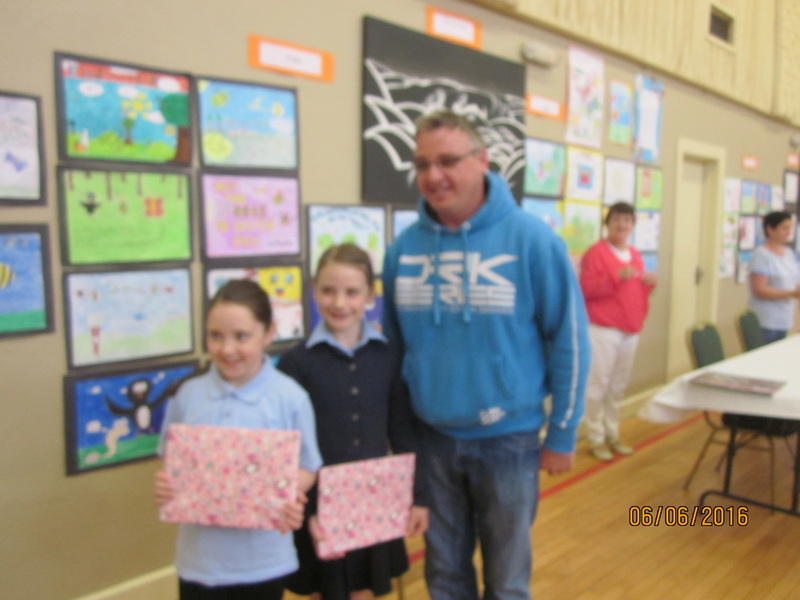 The standard of entries was exceptional. Emyvale G.A.A. 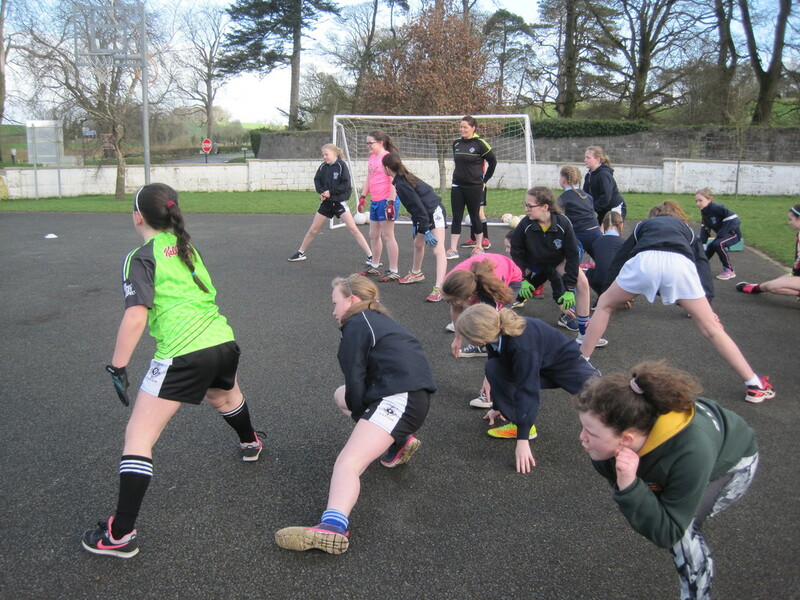 facilitated a very memorable training session for girls from Third to Sixth Classes in St. Mary's N.S. on Monday 20th March. 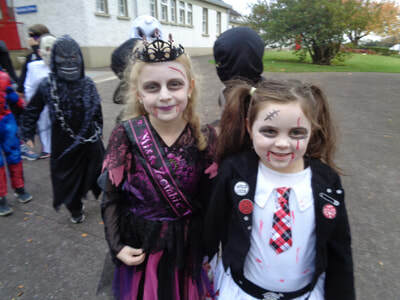 Órla O'Brien and Caitríona McKenna (past pupil). 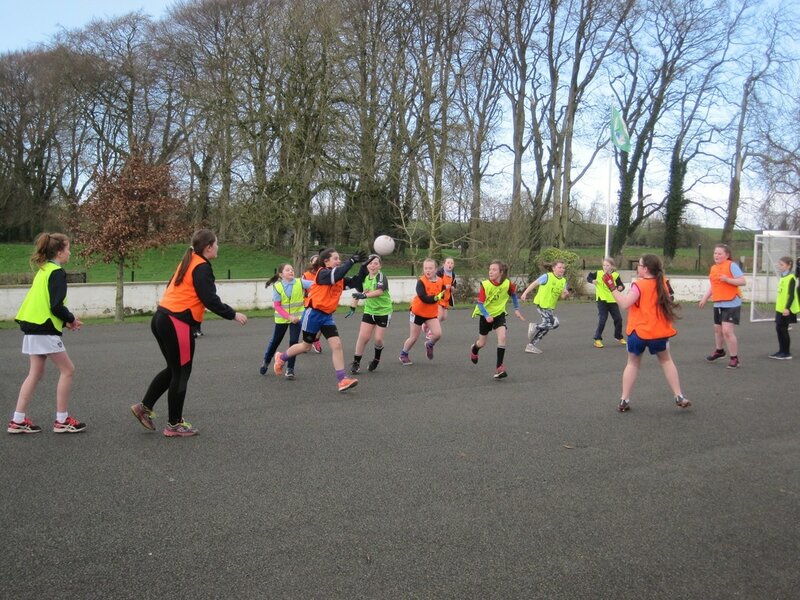 It was a fun-filled, energetic and most enjoyable training session. 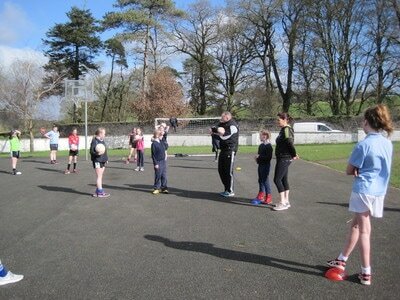 Paddy is a terrific motivator and the ladies are wonderful role models for our girls. 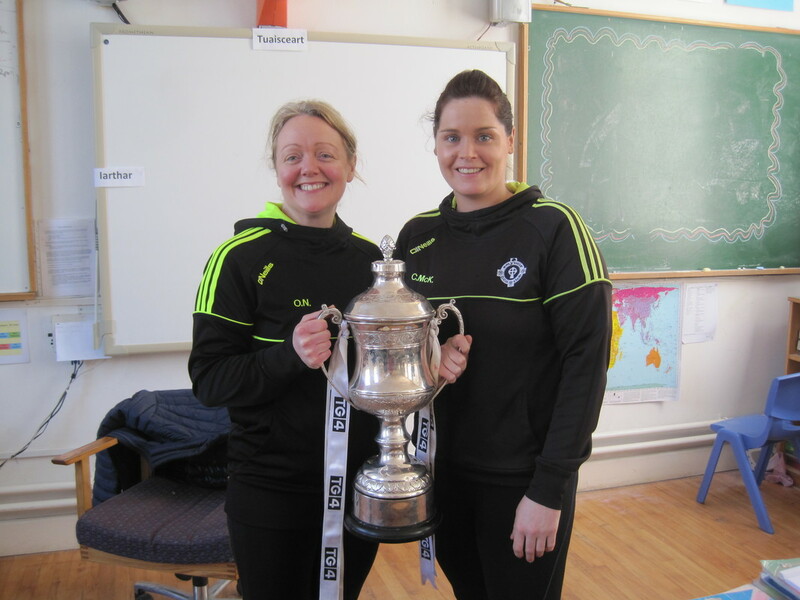 Órla and Caitríona proudly display the Ulster Cup. 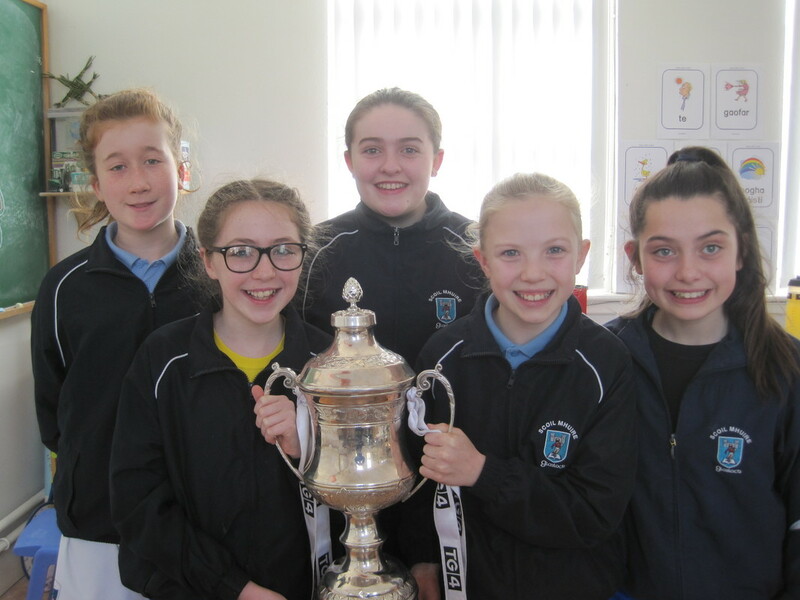 Pupils queued up to have their photo taken with the impressive silverware. Hopefully one day, they'll play for the club and earn it themselves. 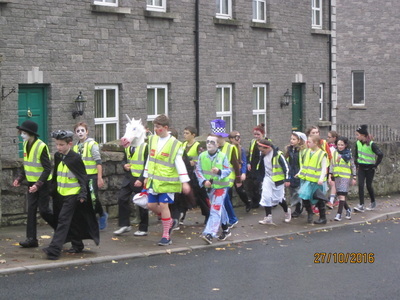 Chuaigh na páistí seo ar Aifreann i nGlasloch ar a deich a chlog. Bhí said ag seinm, ag canadh agus ag damhsa! 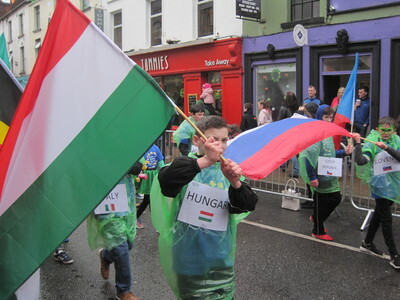 Ghlac páistí eile páirt sa pharáid i Muineachán ar a trí a chlog. Bíodh is go raibh an aimsir go dona, bhain said taitneamh as an ócáid spéisialta agus an lá saor ón scoil. 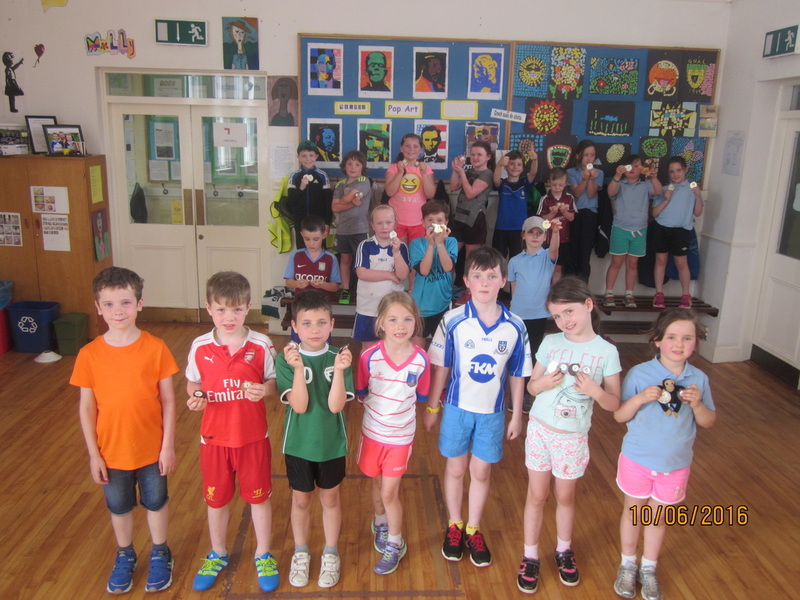 Well done to the boys and girls in 5th and 6th class on their wonderful success on winning the mixed Basketball Tournament. 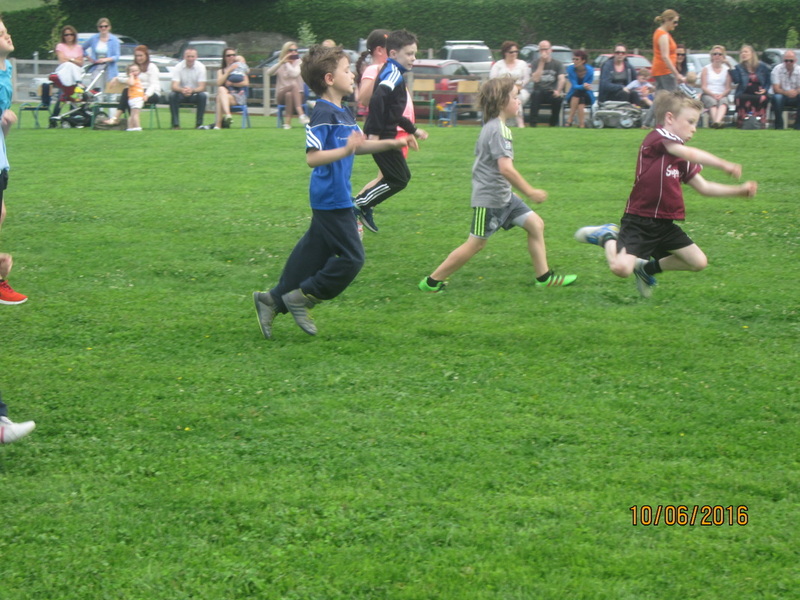 It was a very exciting competition with Glaslough beating Oram in the semi-final before getting the better of Edenmore in a very closely fought Final. James Sweeney was the star marksman for Glaslough but it was a wonderful team performance. 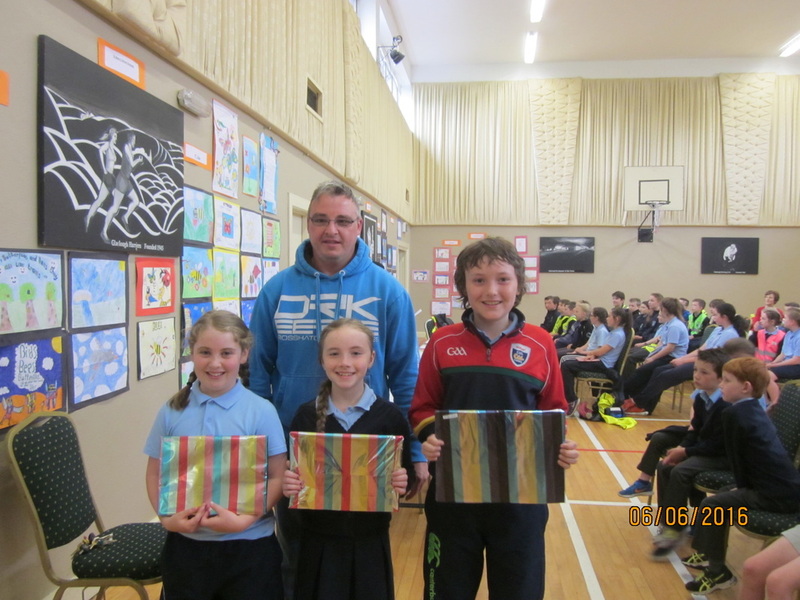 Tommy O Connor presented the Black Water Steelers Trophy to the winners. 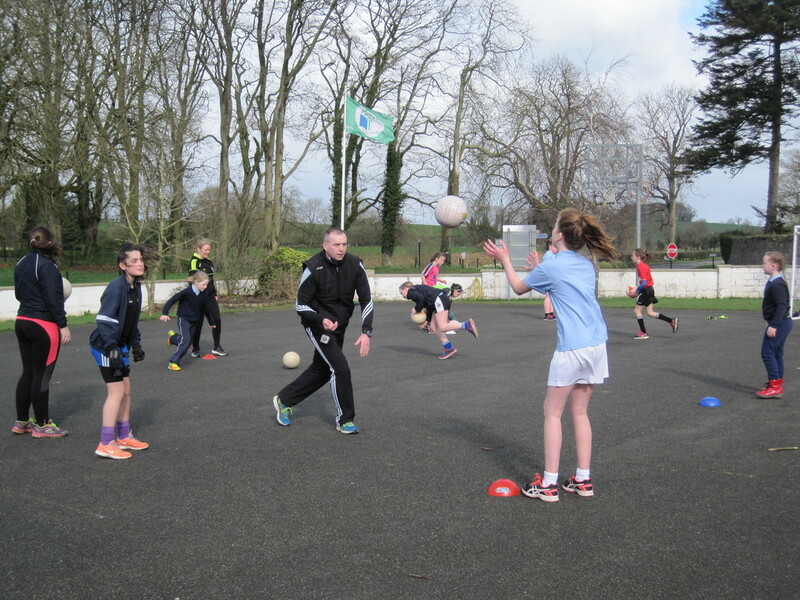 A big thank you to Aoife McAdam and Enda O’Brien, the organisers of the tournament. No excuses! No Complaining! 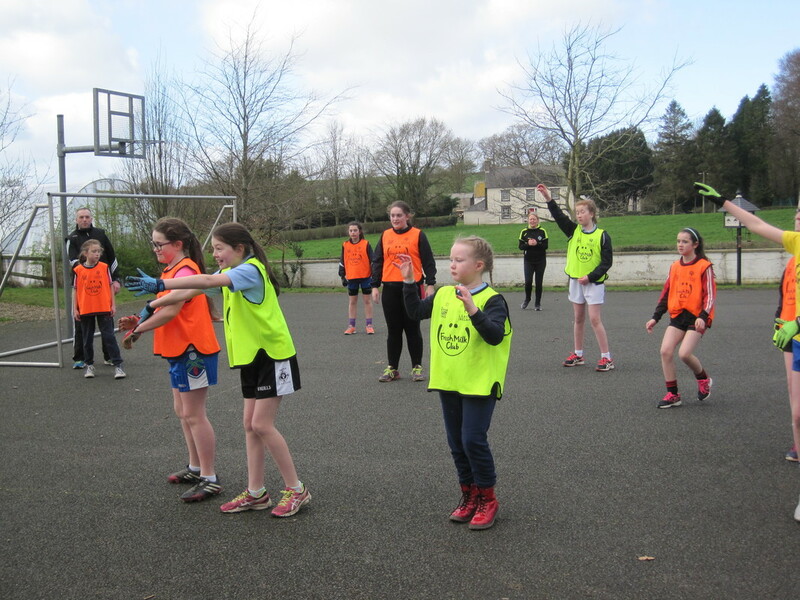 Pack the runners and get out and get fit! 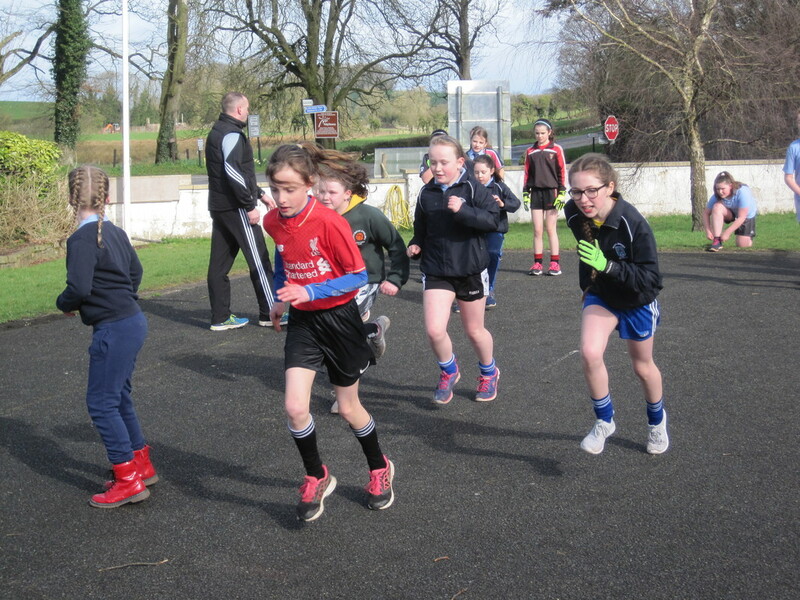 All children are invited to join in training for the Cross Country Running Competition which will take in March .We will take ten minutes per day to train and all that is required from each pupil is a willing attitude and a desire to improve on their personal fitness. IS FÉIDIR LINN! 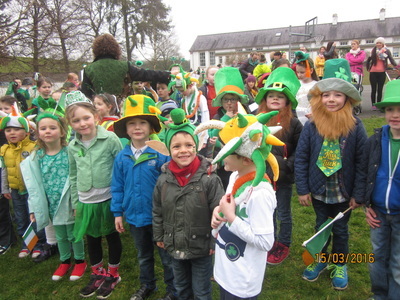 IS FÉIDIR LINN! 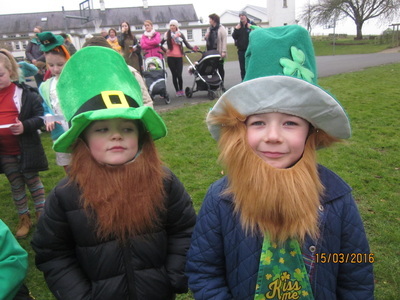 IS FÉIDIR LINN! ​Update on Cross Country Competition. 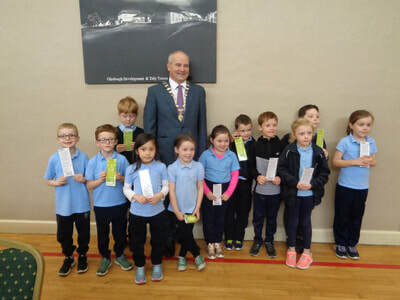 ​Children from first class up to sixth class entered this competition which took place at Corracrin School in March.Although the sun did shine the ground conditions were not as favourable. 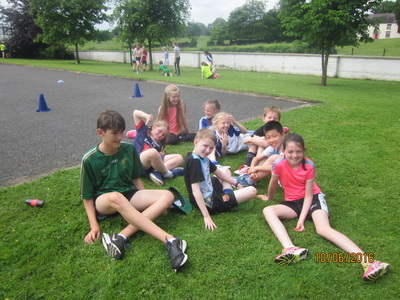 However the children did their school proud and the boys team achieved second place whilst the girls team came third. Congratulations to all who trained hard. 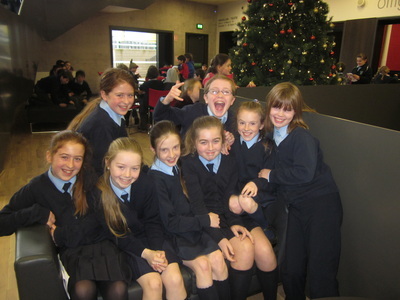 Our new debate team did us proud. Congratulations to Leah Treanor, Jamie Rushe and Maeve Mc Nally for their victory in defending the motion "Primary Age Pupils Do Not Need Mobile Phones". 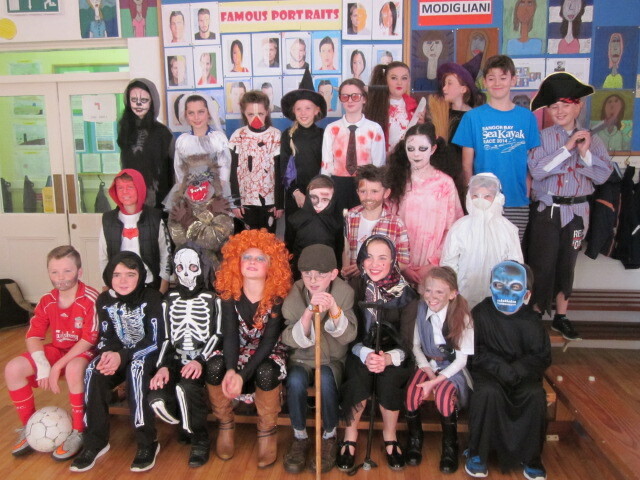 A lot of research was carried out by all the pupils of fifth and sixth classes and this enabled the success of team. 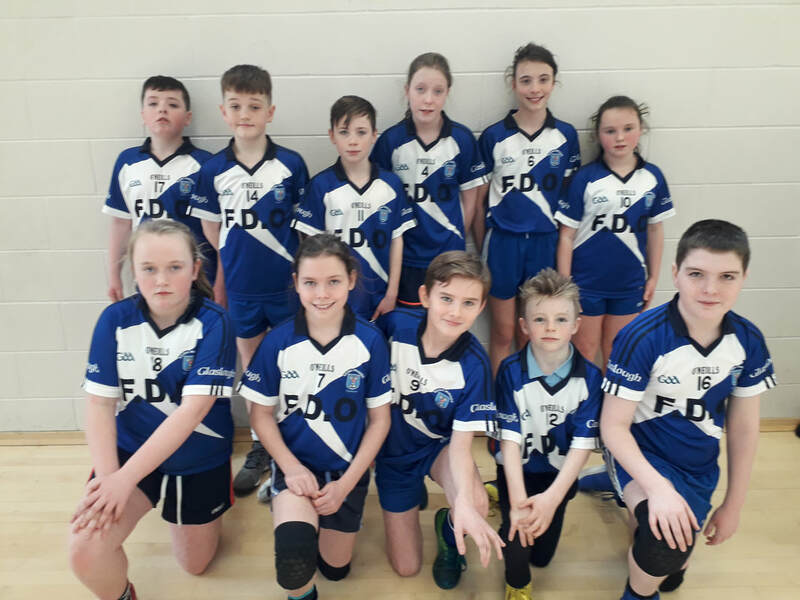 A special word of thanks to the Principal Mr Macklin who has set the standard in this competition and who spent many additional school hours tutoring the team. 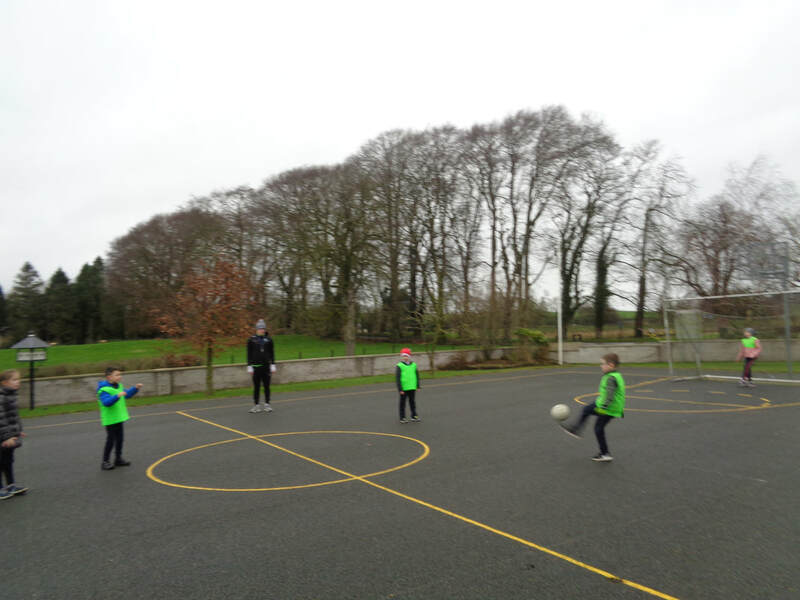 The staff and children extend our gratitude to St Mary's Boys School, Monaghan Town for being such worthy opponents and it was most strange to see an additional thirty two boys playing football in the school grounds in advance of the debate. 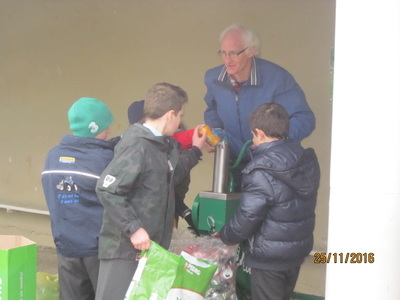 Refreshments were provided by the Parents Association and we thank them for always being there and ready to assist. 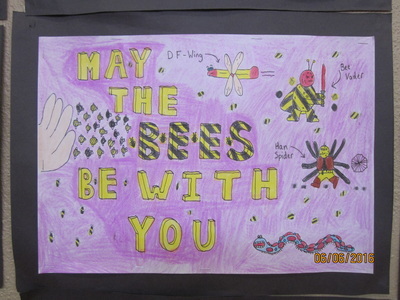 It is much appreciated by the Staff and Pupils. 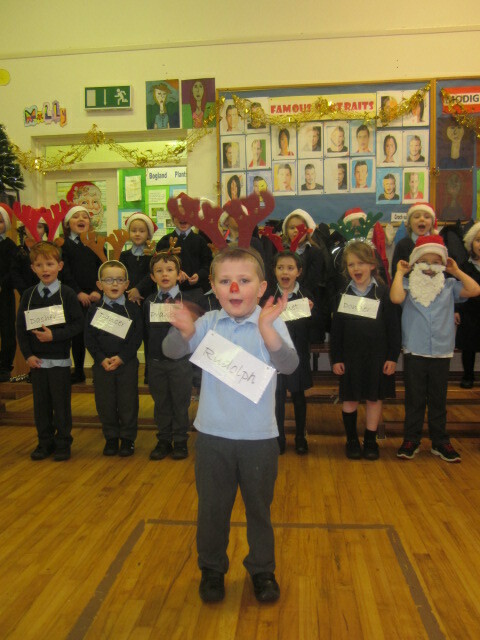 What a wonderful performance by the children and staff of our school. The church was packed with very proud parents and grandparents and from their expressions all seemed to cherish the magic of the night. 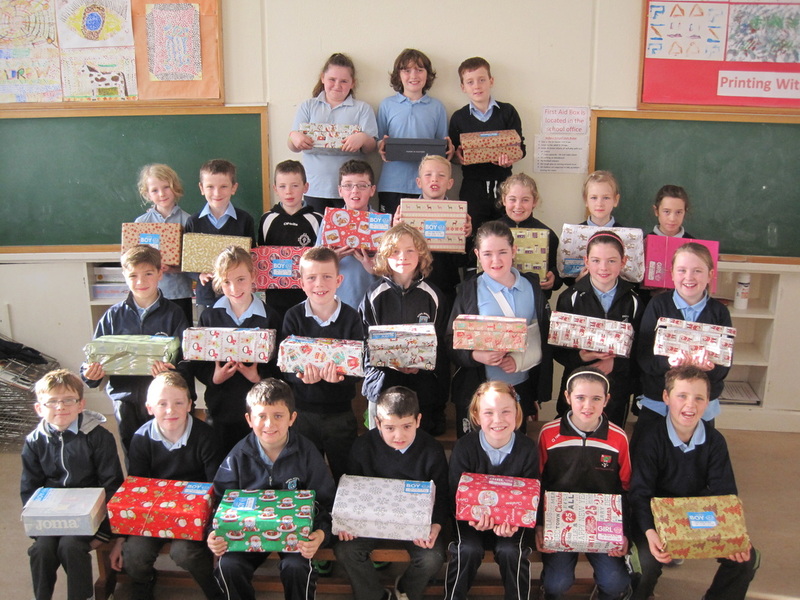 We are most grateful to Fr.Hubert and Patricia Mc Gonnell in their support of the service. Finally a sum of seven hundred and fourteen euro was raised for our school funds and we extend our gratitude for this generosity. ​P.E. 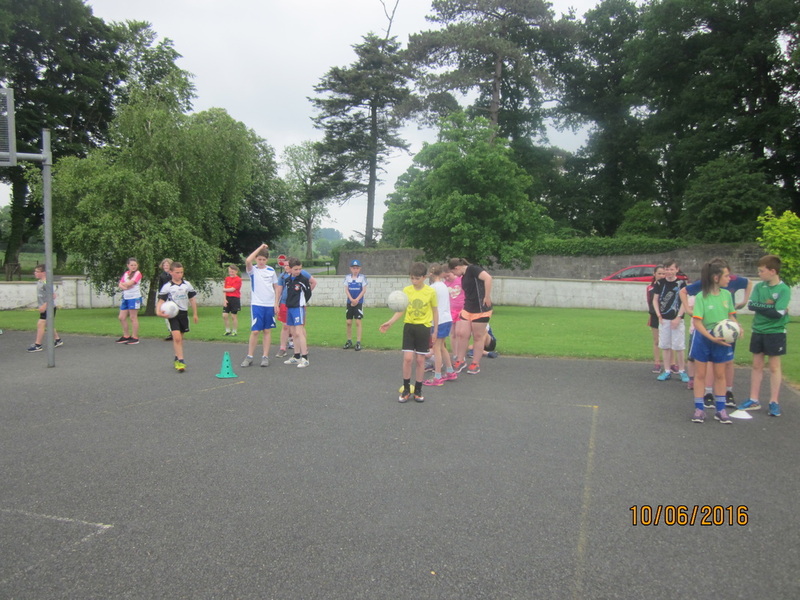 Instruction from Expert Coaches. We extend our thanks to the GAA for allowing coach Rory Beggan to visit our school for a period of eight weeks and for sharing his knowledge and skills with our children. 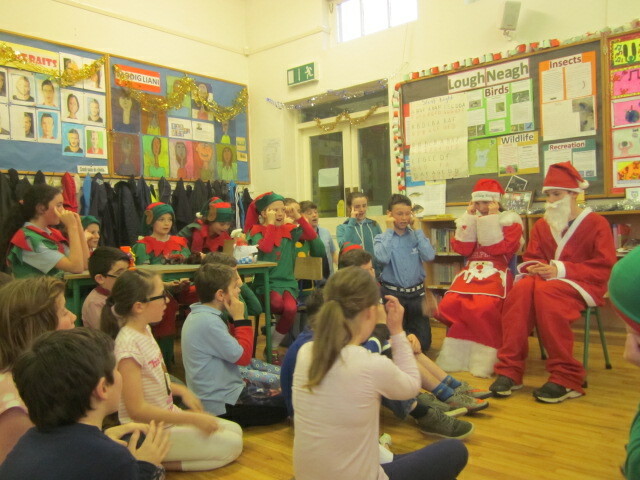 He was most patient and encouraging with the children and he is welcome to return any time. Thank you Rory! 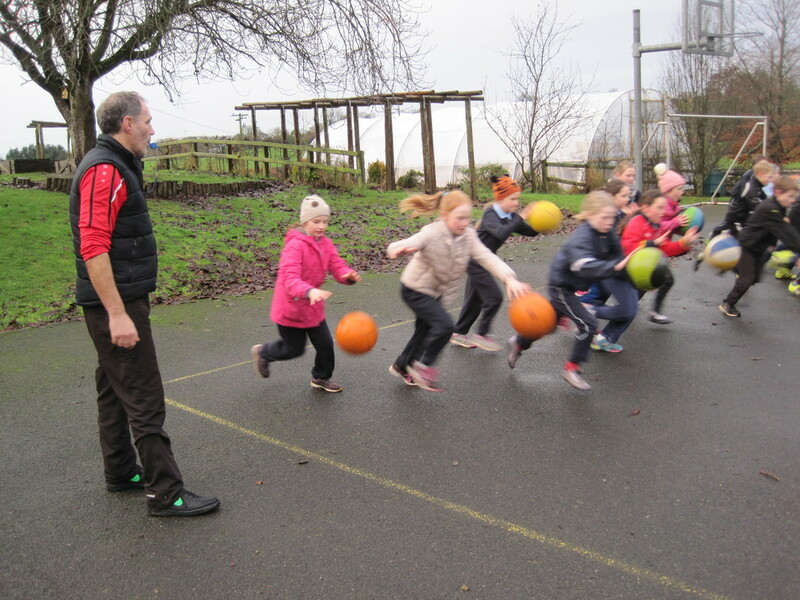 Our appreciation is also extended to a super basketball coach Enda O' Brien who visited our school to help the children in this area of physical education. 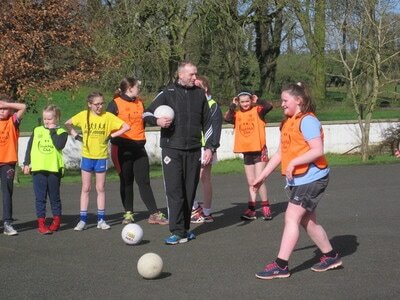 Enda is a great communicator and coach and all the children love his lessons as is evident from the above picture. 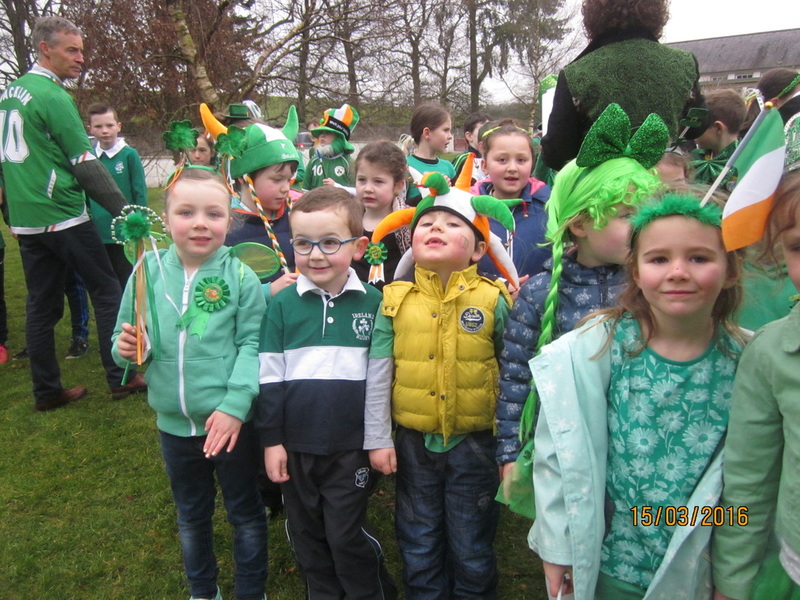 Go raibh míle maith agat ó Scoil Mhuire. Congratulations to Kayla (6th class), Aoibhe (5th class), Niamh (4th class) and Tom (1st class) winners of the Credit Union Art Competition 'Happiness Is ....'. 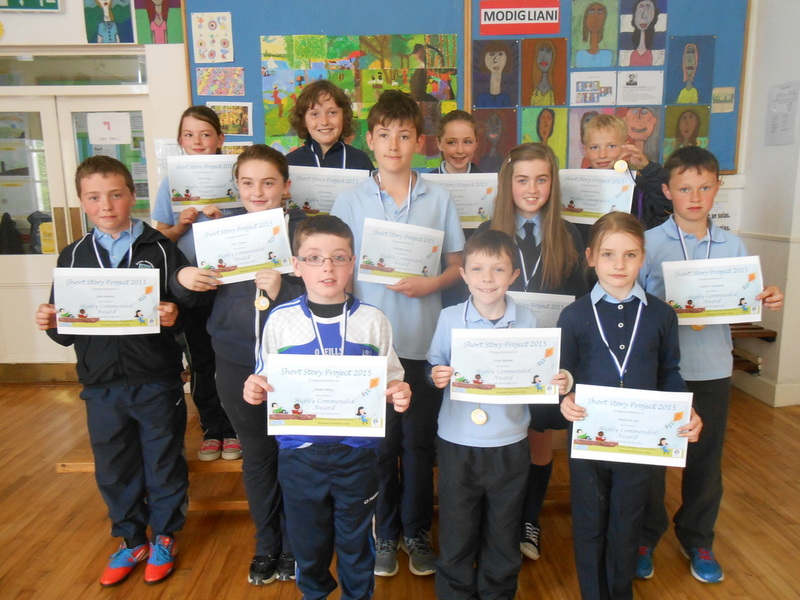 ​​Monaghan Mental Health Association Essay/Poetry Competition 2016. Congratulations to Harvey (6th), Ethan (6th), Freney (5th), David (5th), Callum (4th) and Michael (4th). 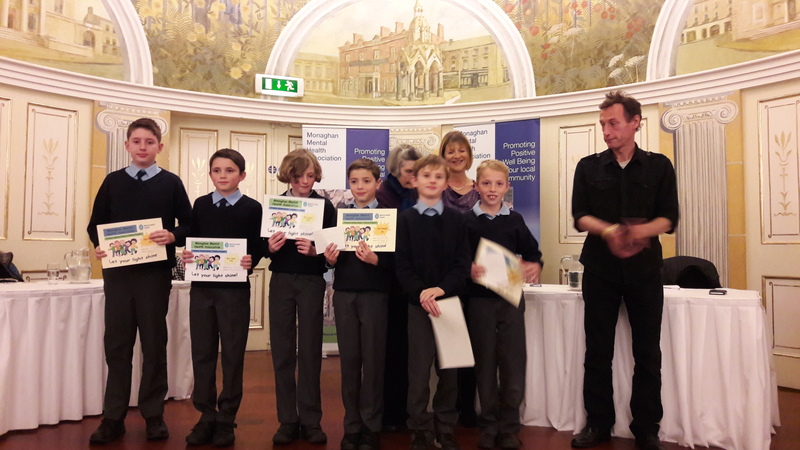 The awards Ceremony took place in the Westernra Hotel on Wednesday 23rd November. ​Eco Eye Camera Crew visited St. Mary's N.S. 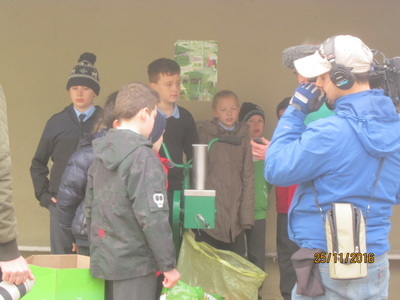 On Friday 25th November Duncan Stewart from the RTE programme "Eco Eye" arrived at our school with his camera crew to meet the pupils and teachers to talk about our Green School Programme and to investigate how the school children and the local community contribute in a positive way to the environment. Eco Eye is a presenter-led advocacy documentary series that makes an economic case for solving environmental issues. It airs every Tuesday at 7pm. Our school and community were featured on this programme in February 2017 and it was wonderful to watch the staff and pupils showcase their progress in protecting our environment. Míle buíochas do Bn ui Dhúlainn agus an Priomhoíde Maiclín for speaking to camera on our behalf.They made it look easy! 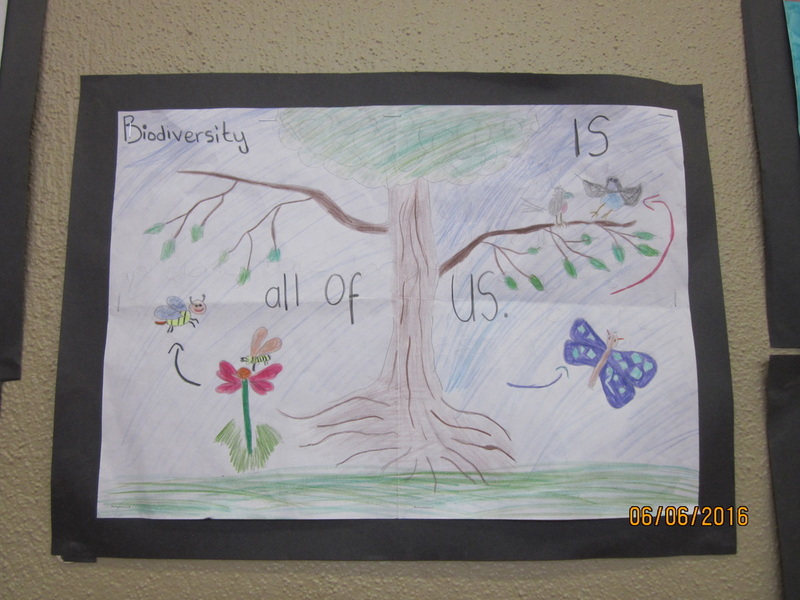 Slogan Competition for Theme of Global Citizenship. 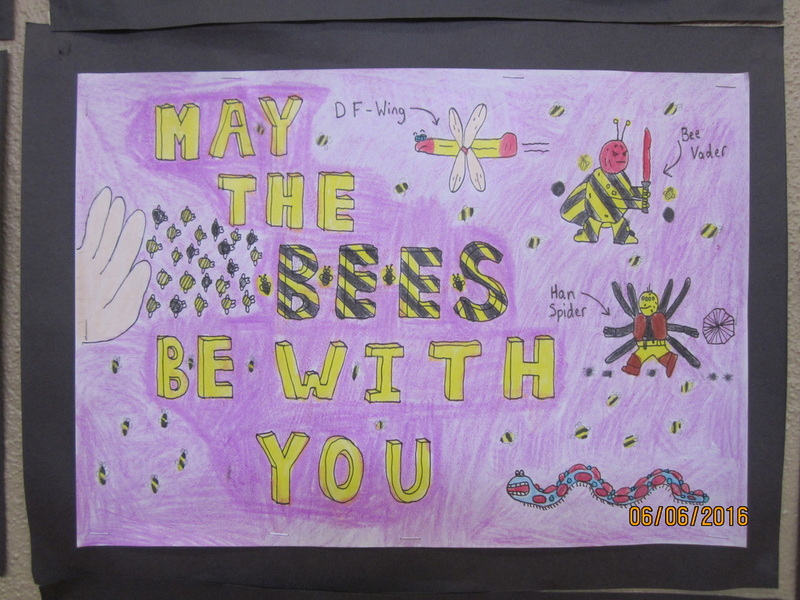 The winner of this competition came from Rang a haon and we extend our delight and congratulations to Matthew Mohan on his witty and fitting slogan. We ask all children to learn it by heart and better still implement it in reality. "The Whole World is our Home, not just one Small Zone". ​​Monaghan Library need our Support! 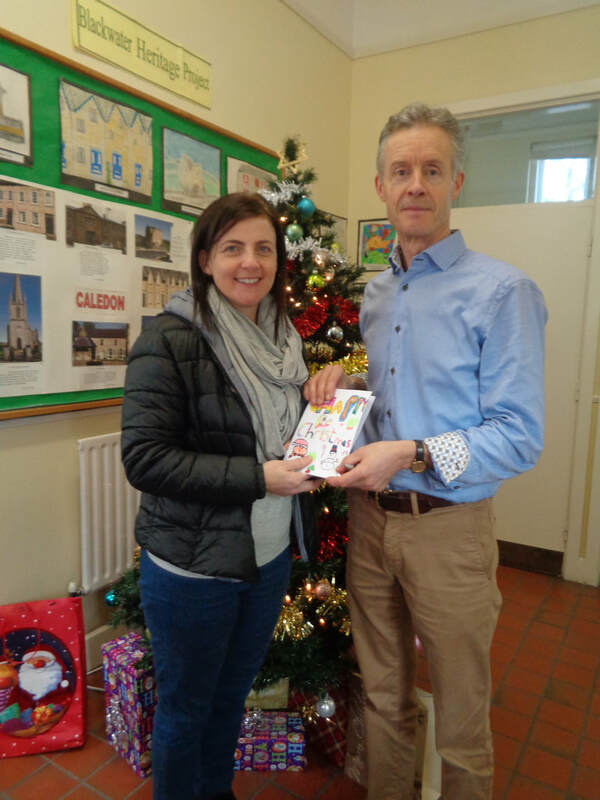 On Monday 7th November we had a visit from representatives of Monaghan Library who are encouraging as many children as possible to join up and use this free and well-resourced facility. All one has to do is pop in with your parent to become a member. Our heartfelt thanks to all the pupils and parents for their generosity in responding to the shoe box appeal again this year. These boxes, loving filled with a wonderful array of clothes, cosmetics, toys and stationery, demonstrate St. Mary's solidarity with the world's poorest children. ​They also fulfil, in a very practical and child-friendly way, many of the aims of the Green Schools Global Citizenshiop theme. On Friday 28th October the children set of on their Halloween Fancy Dress Sponsored Walk to raise funds for the school. 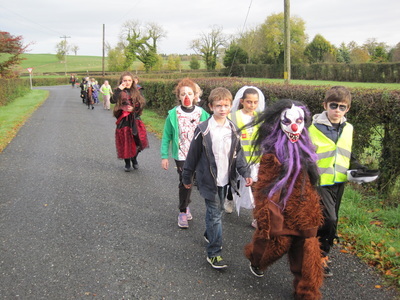 The senior children completed Hoey's Trail of the Village and the junior children walked to the village .The children are to be commended for their scary costumes and a fun time was had by all. 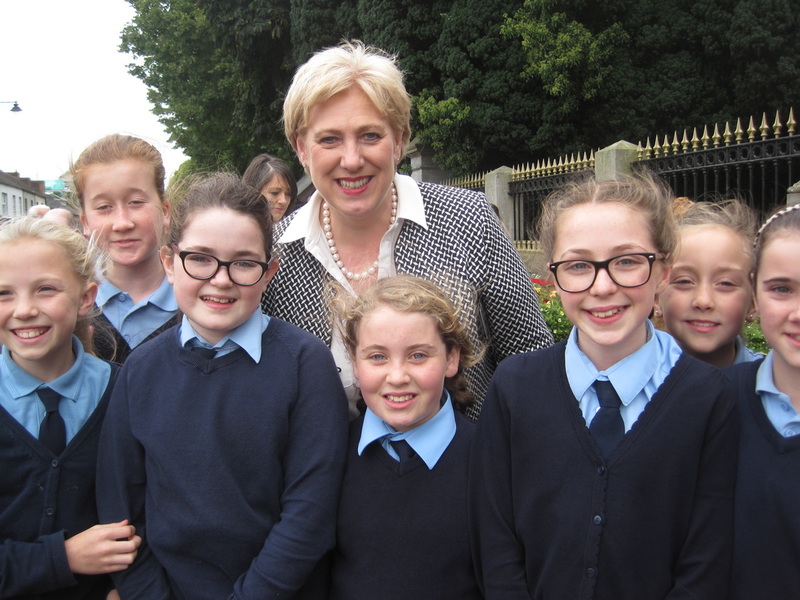 Government Minister for Arts, Heritage, regional, Rural and Gaeltacht Affairs, Heather Humphries was delighted to be serenaded by the pupils of St. Mary's N.S. 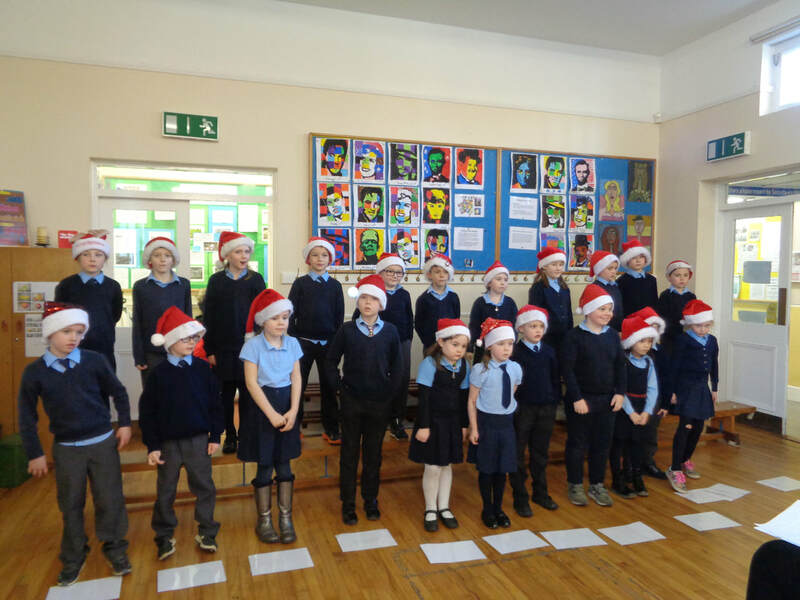 on Friday 23rd September as they proudly sang Beautiful Glaslough. 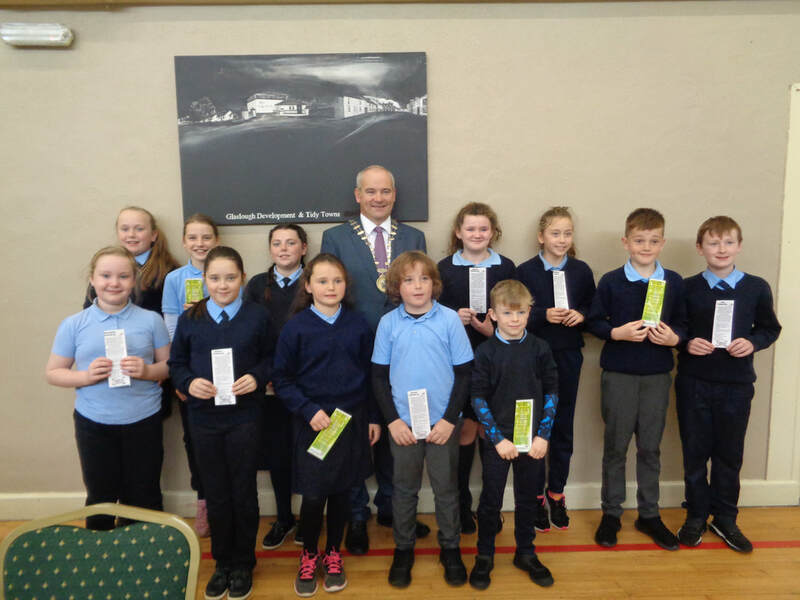 The occasion was the launch of the Glaslough Village Heritage Trail App which the Minister described as a new and innovative way for visitors to explore the village. Indeed this App entitled One Village, Two Voices will serve as a wonderful educational resource for the pupils in discovering their local history. It provides background information and stories for ten designated stops beginning in the Diamond and ending in the Castle grounds. The 2km trail lasts one hour and is available to down free. To conclude our school year we hosted an awards ceremony on Monday afternoon. 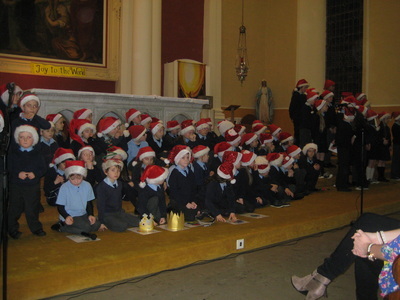 A large attendance of parents, grandparents and past pupils were there to celebrate with us. 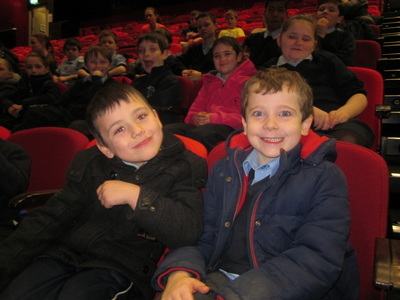 Our appreciation is due to Mr, Macklin and Mrs Gorman who organised this event. 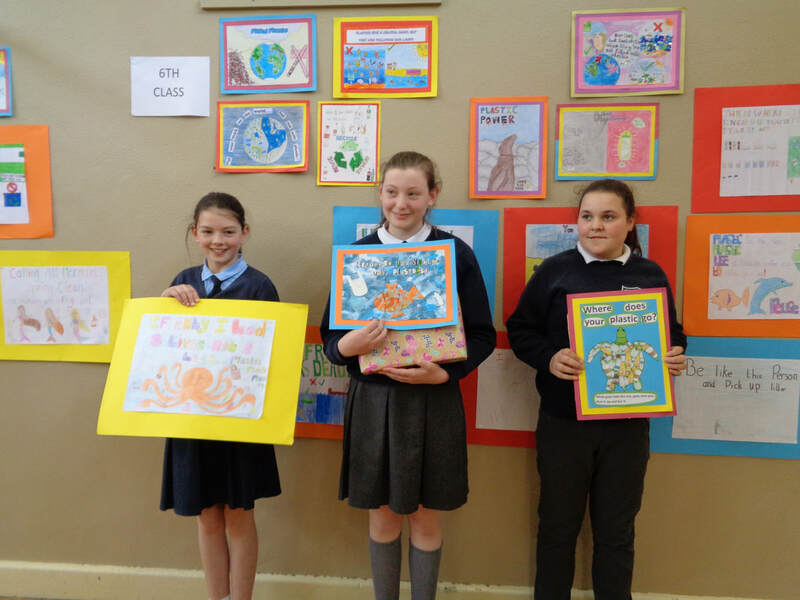 Each child who is moving to secondary school in September wrote a speech about their school highlights. 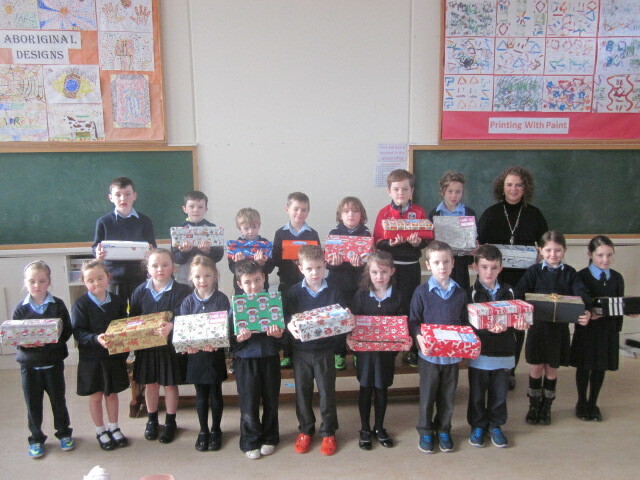 It was so moving to hear their thoughts and witness the confidence of their delivery. 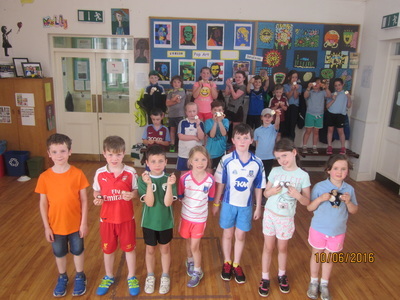 The afternoon concluded with the awarding of trophies and certificates by the Principal to children who achieved excellence in the various curricular and sporting events. 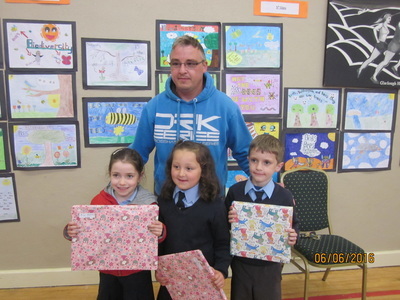 The Principal and Staff wish the departing children every success in the future. We remember them with fondness. 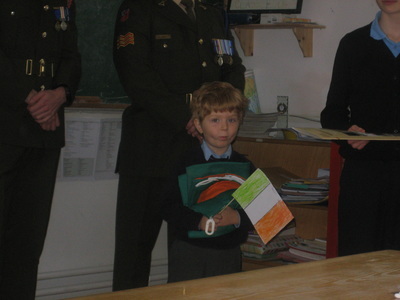 Matthew Curley Excellence in English. Excellence in Sports. 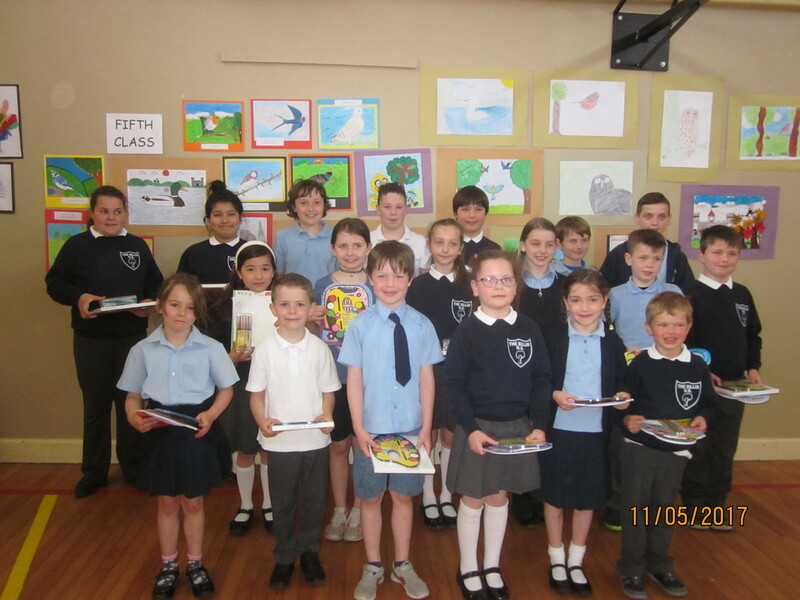 Eva Cos received an award for Excellence in Art. Excellence in Public Speaking. Awareness Award. Sports Boy of the Year was awarded to Pauric Mc Quaid. He received his trophy from last year's winner Chanon Khaongam. 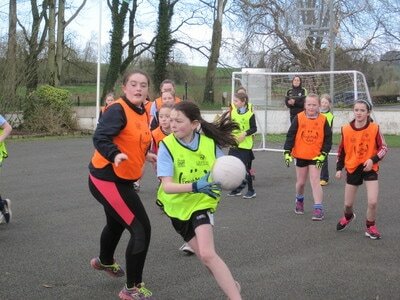 Sports Girl of the Year was awarded to Bríd Mc Nally. 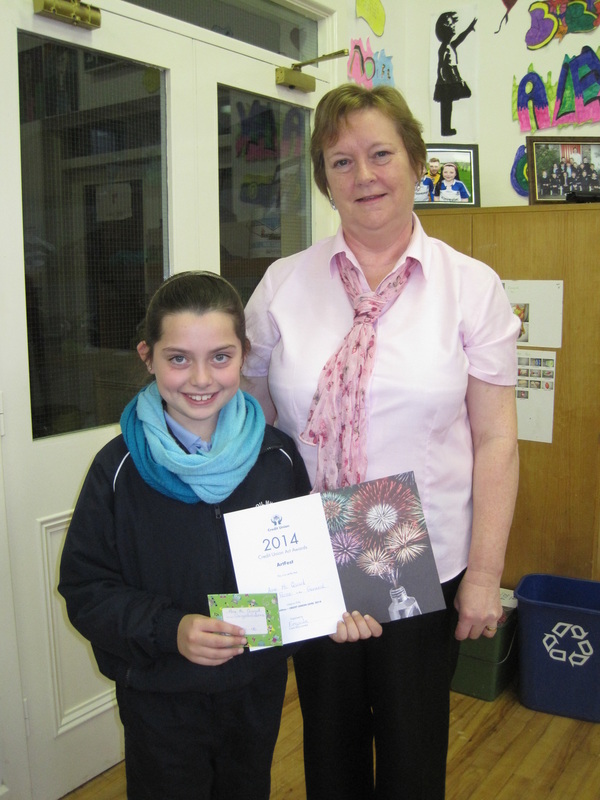 She received her trophy from Aoibhe Treanor,who represented Molly Roberts, last year's winner. 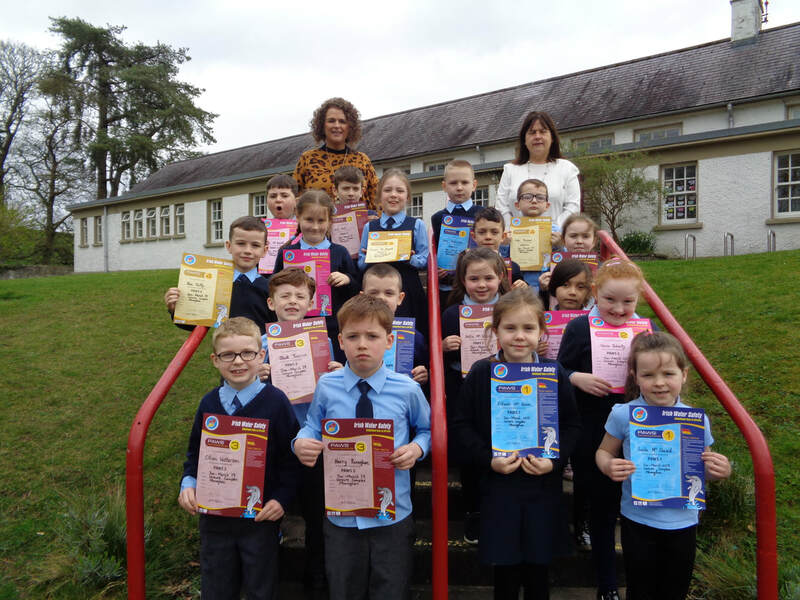 The above children were commended for their school 100 % Attendance at school for 2015 -2016.
attendance. They missed just one day in the whole year. Top marks to these children. Pre-School Supervision Committe Receive our Thanks. We say goodbye to Mrs Mc Kenna. 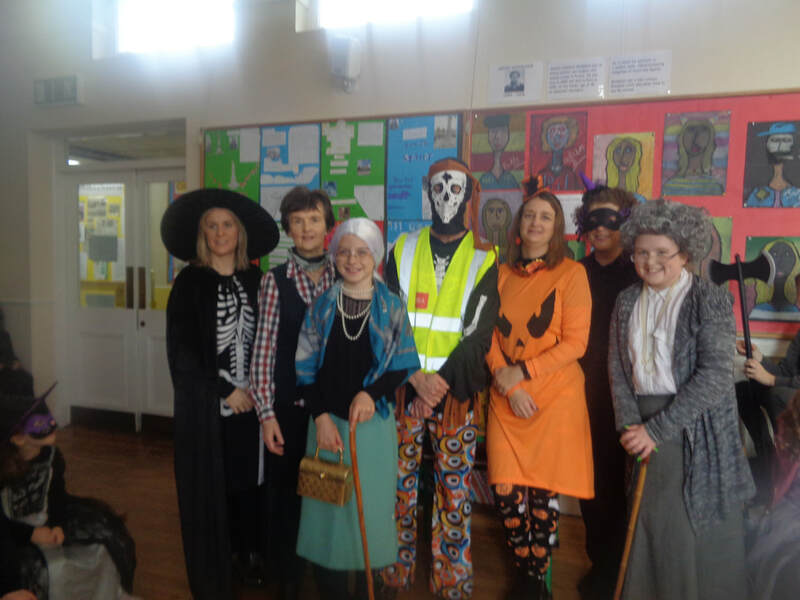 Absent from photo: Trudie Duffy, Claire Cunningham, She has worked as our Resource Teacher. Paddy Kelly, Leonia Kelly, Sharon Farmerand Alison Dickson. We thank her for her hard work and enthusiasm. What a day to remember! 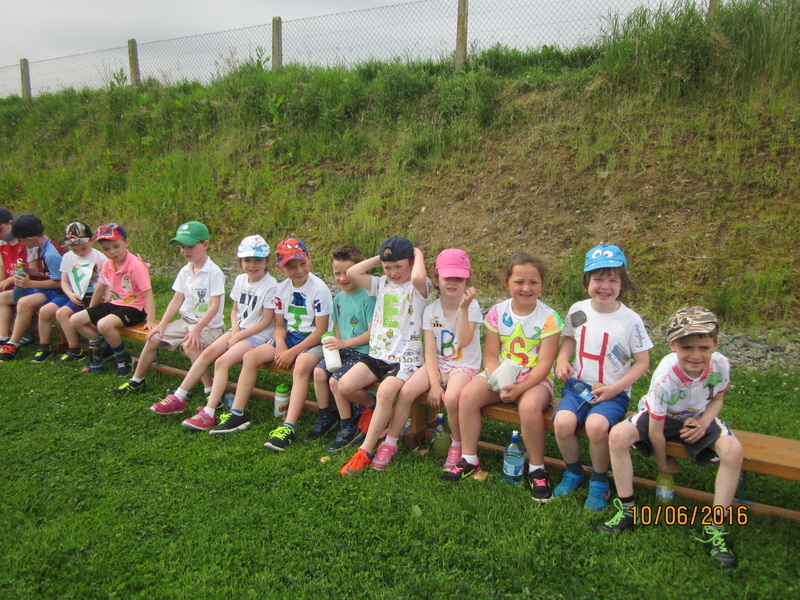 Sports Day was a huge success and enjoyed by all. 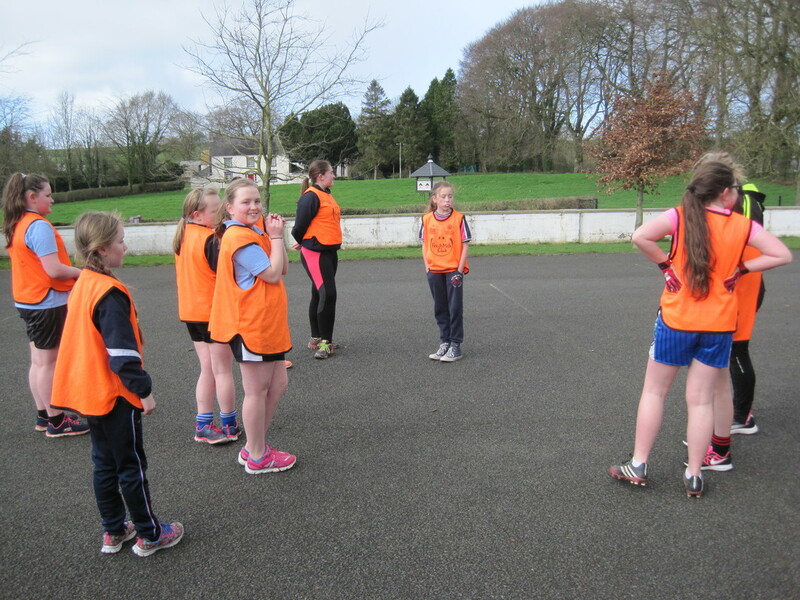 All students engaged fully in the many sporting activities i.e. 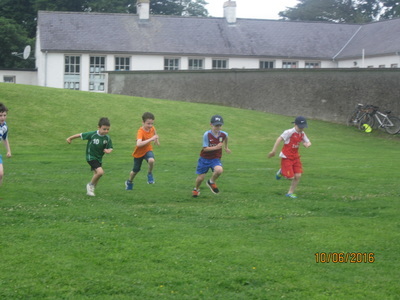 running races, sack races, potato and spoon races, hat and flag races, relay races, bunny hop races and the senior children also competed in a fast, then slow bicycle race. 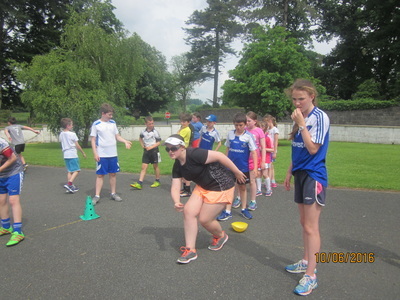 Team games were organised for the senior children and the aim was to encourage a team spirit and co-operation whilst having fun and completing the many tasks. The junior children enjoyed a 'Fairy Treasure Hunt' in the afternoon. 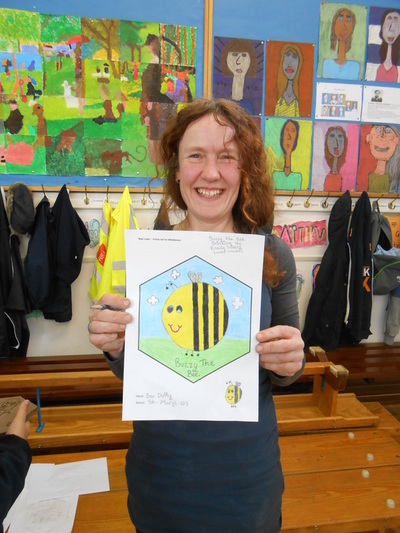 Thanks must go to Mrs Dowling who co-ordinated the day and always to a high standard. We wish to acknowledge the contribution of the many parents who donated delicious treats.It is the tradition to offer all the adults who come to watch the races a cuppa and some tray bakes and they are always enjoyed! 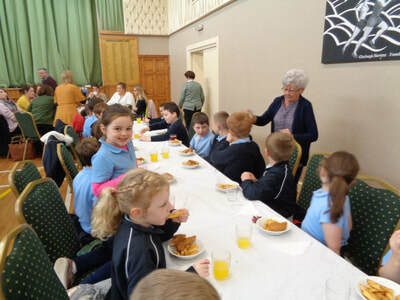 The children were spoiled this year as not only did they get a bun or two on the day but also got to enjoy an extra treat from the remaining selection the following school day. Nothing was wasted! ​It was a wonderful carefree day and beautiful memories were made. 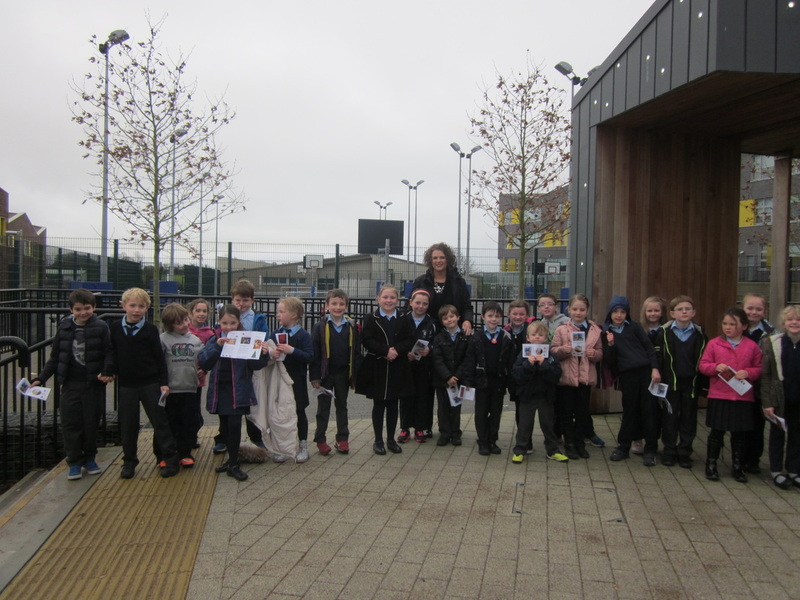 The children collected their prizes from the Glaslough Tidy Town Committee. 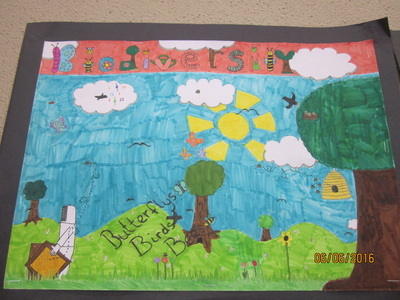 Each children was afforded the opportunity to design a poster and display their artistic talents.The theme selected was ' B is for Biodiversity, Bees, Birds & Butterflies'. We acknowledge the work of this committee and we appreciate the links between them and our school. St Mary’s Glaslough Reach the Regional Finals of Irish Aid Awards. IRISH AID is Ireland’s official Programme of overseas developmental assistance (managed by the Department of Foreign affairs and Trade). Most Aid involves supporting long-term development in 9 key partner countries to tackle hunger, poverty, inequality and human rights. The UN agreed GLOBAL Goals for Sustainable Development with 193 countries in Sep 2015 to create a better future for all by 2030. 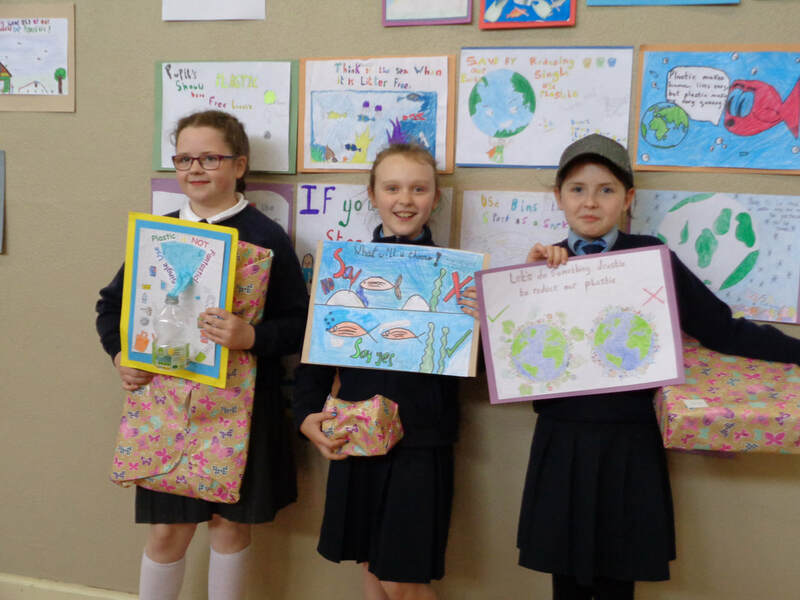 Our project focused on Climate Change and how the work we are doing in our Green-Schools programme can help people in Developing Countries. Part of our project involved work with Seamus Collins from Trocaire, fundraising and taking part in the CONCERN Debating competition which focused on Global issues. This is also part of our 6TH GREENFLAG GLOBAL CITIZENSHIP Programme. For more information please check : One WORLD ONE FUTURE - Irish Aid Awards (www.irishaidawards.ie). 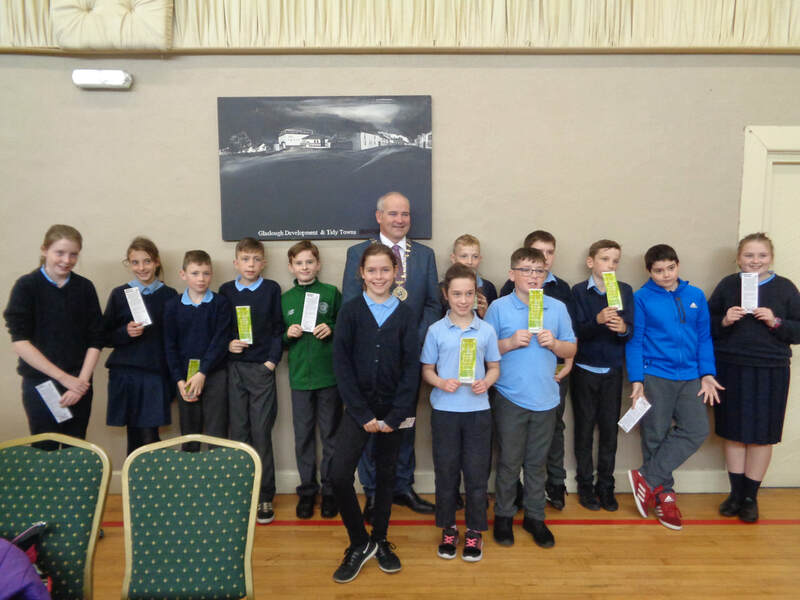 We would also like to congratulate our neighbouring school in Corracrin who reached the National Finals in the same competition – a wonderful achievement. 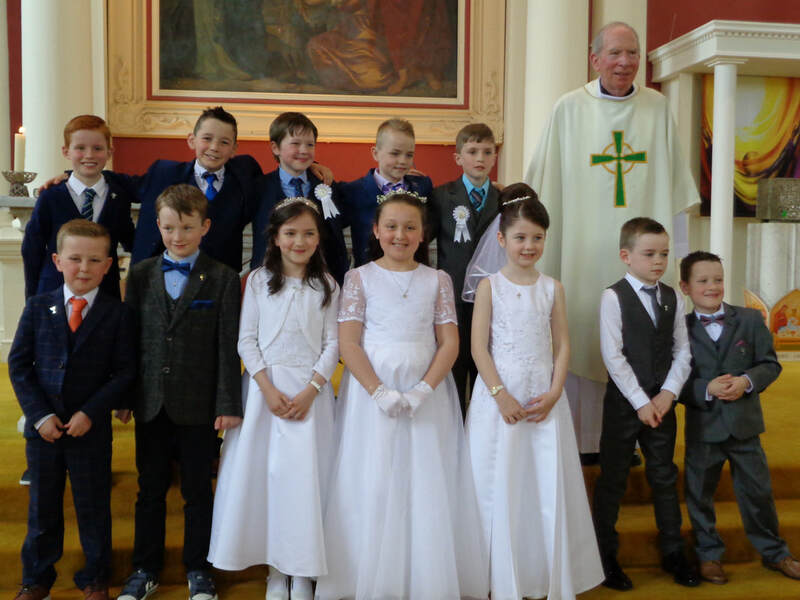 The children in second class received the Body of Christ for the first time in Glennan Church on May 6th. The church was beautifully decorated with their art work and it added to the occasion. 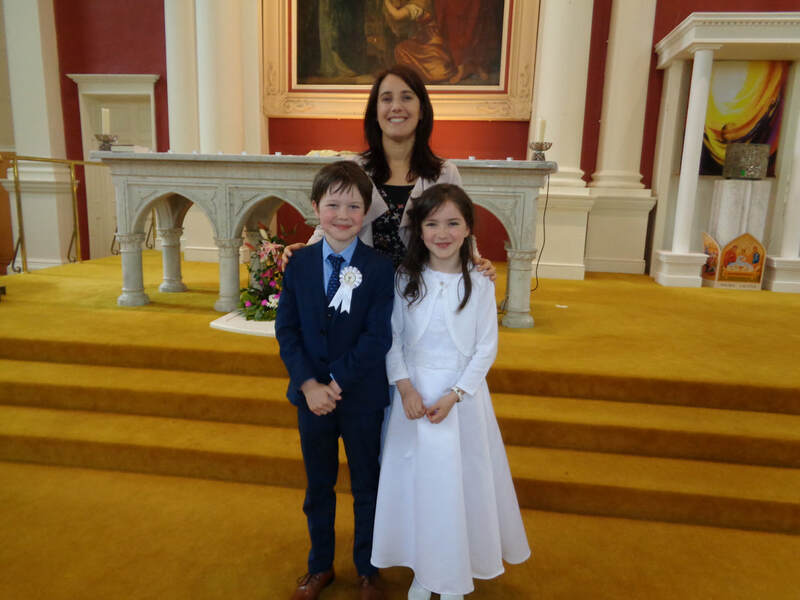 We thank their teacher Mrs Sheridan Cassidy for all her hard work in preparing the children for this sacrament. We also acknowledge the support of our Parish Priest, Rev Fr. 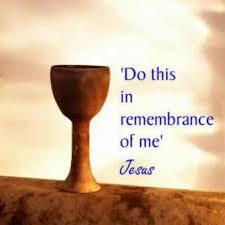 Hubert, who worked so hard to make the mass so meaningful to the children. 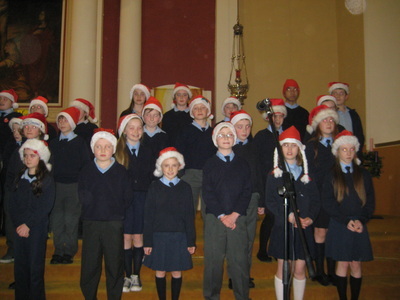 ​Our thanks to Glennan Choir under the direction of Patricia Mc Gonnell for making our ceremony so lovely! 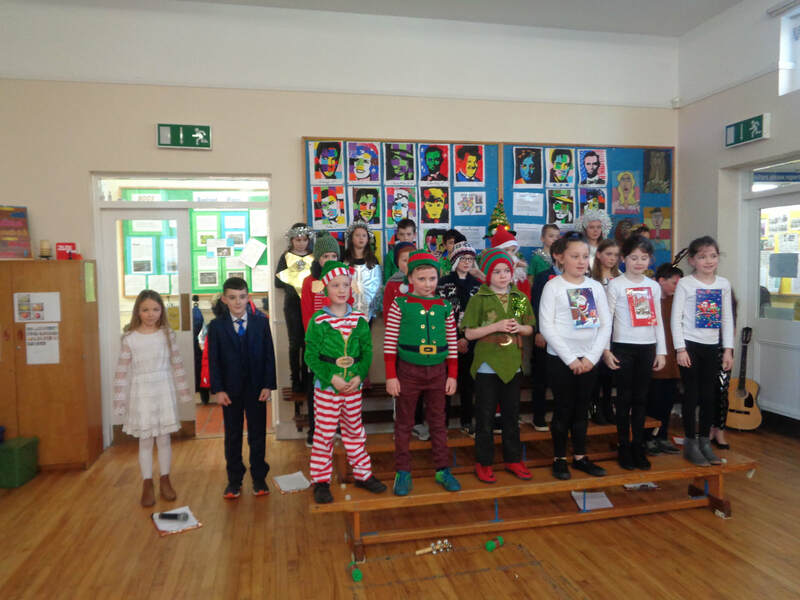 ​We also extend our thanks to Louise,Jamie, Ben, Morgan and Callum Duffy, Packie Mc Ghee, Maebh and Michael McNally and Hannah Finn for their beautiful rendition of Inishfree. 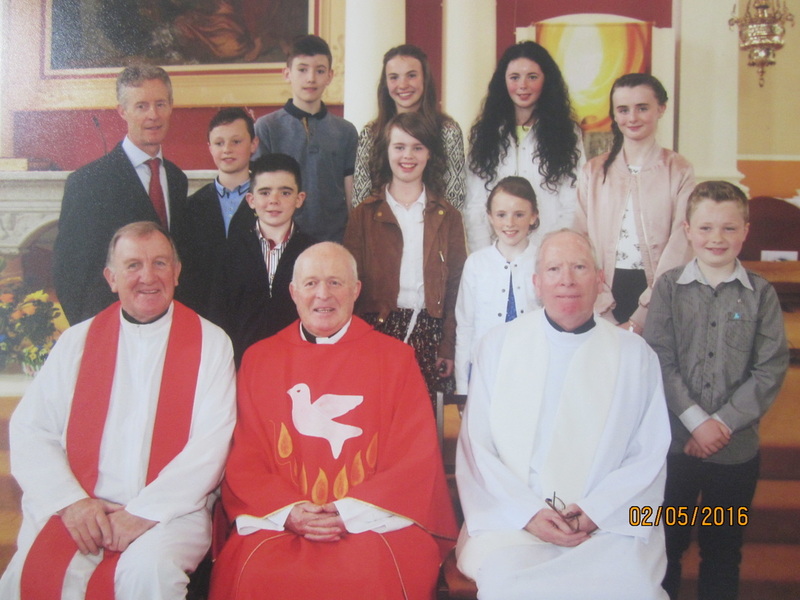 Congratulation to the pupils of 6th Class who recently made their Confirmation. The mass was celebrated by Rev Fr Laurence Duffy, Rev Fr Hubert and Rev Fr Mc Quaid. 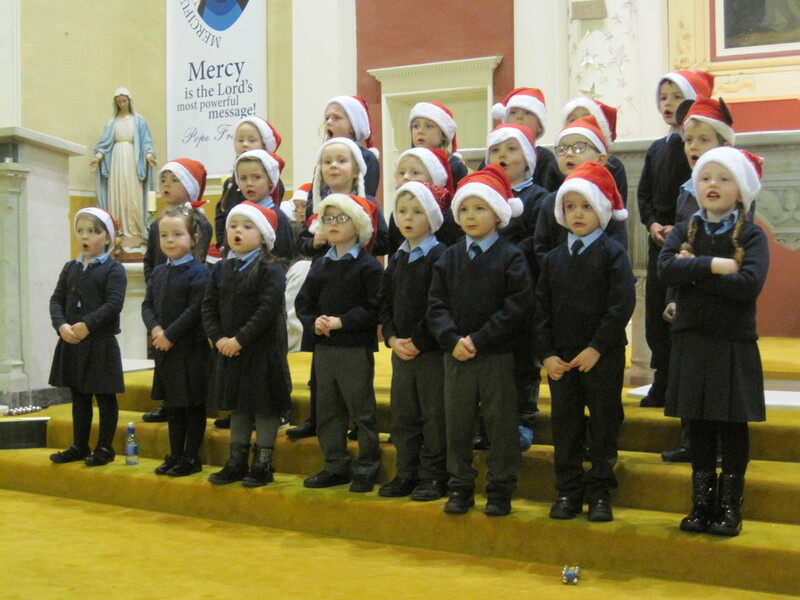 May the Holy Spirit help the children to make sound and wise decisions in the years ahead. Our thanks to Mr. Macklin for preparing the children for this special occasion. ​St. Mary's N.S. Glaslough - Regional Debate Champions! 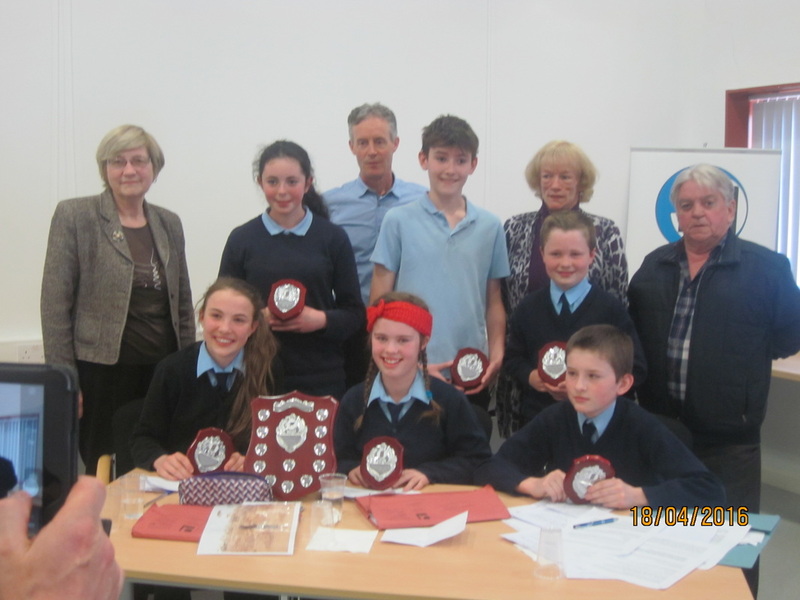 ​On Tuesday 19th April at Monaghan Edcuation Centre the debating team from Glaslough won the Regional Debating Final. 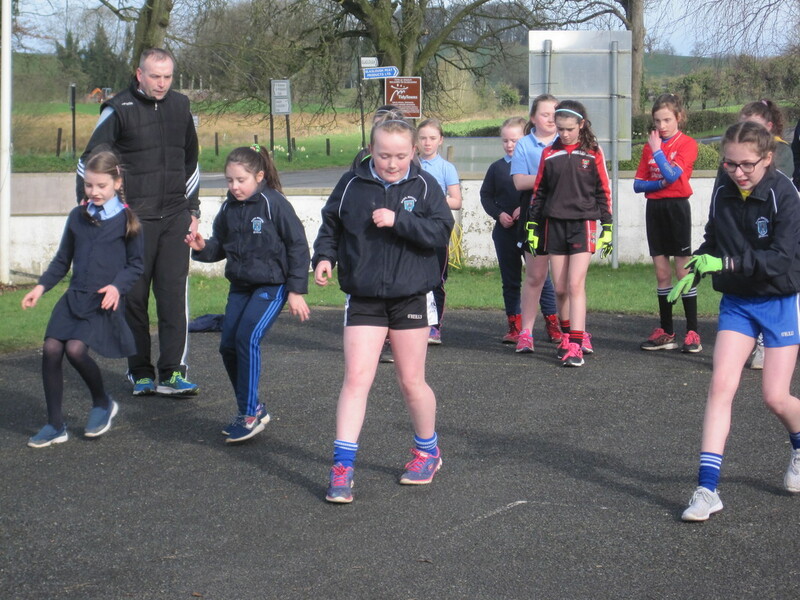 The debate was between the County Monaghan winners (Glaslough) v The Co Cavan winners (Castletara). 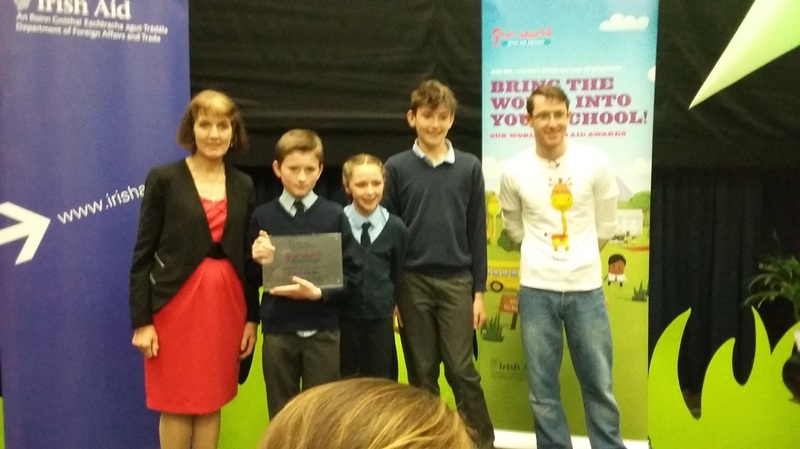 The team members from our school were Brid McNally, Ben Duffy, Molly Sheridan, Pauric McQuaid, Lucy Duffy and Matthew Curley. The motion for the final was 'Conserving Water is not an important issue for Ireland’. 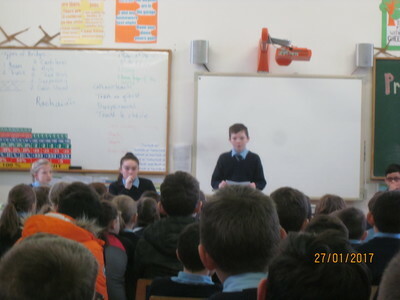 Glaslough were proposing the motion and Castletara, the Cavan winners,were opposing. It was a very close encounter with Glaslough Team achieving the winning verdict of the adjudicators at the finish. 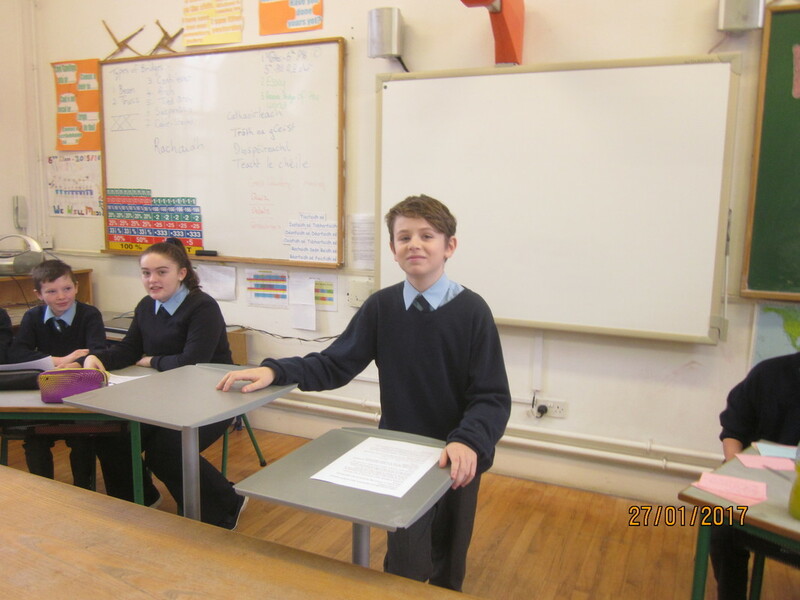 All team members from the Glaslough team took part in the debate at some point during the competition and out school principal Mr Macklin informed us that all class members got involved in helping the team to prepare for all debates. 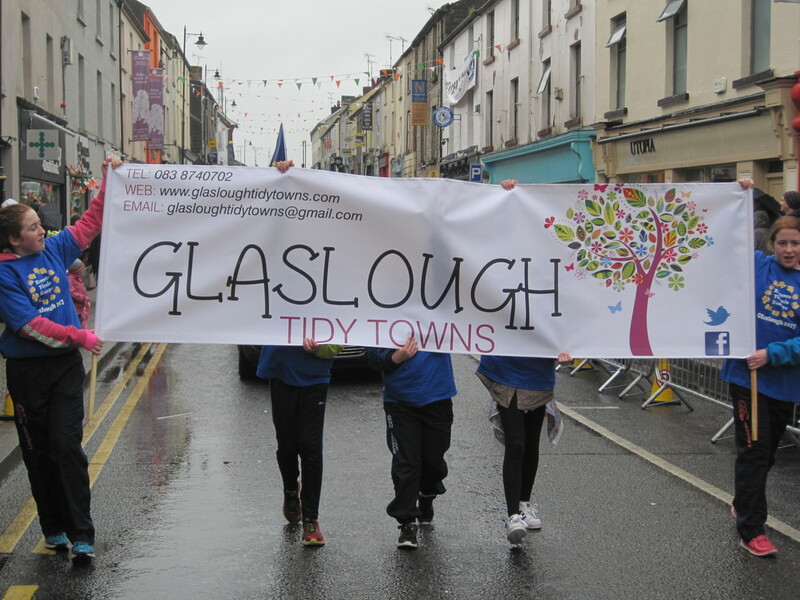 We wish to congratulate Mrs Ann Mc Ghee on her appointment to the position of Lady Mayoress of Glaslough. A splendid night of fun and entertainment was enjoyed by all who attended the finale of this competition in Wrights Bar on Friday April 8th.We thank the master of ceremonies Pat Deery for his entertaining performance on the night. 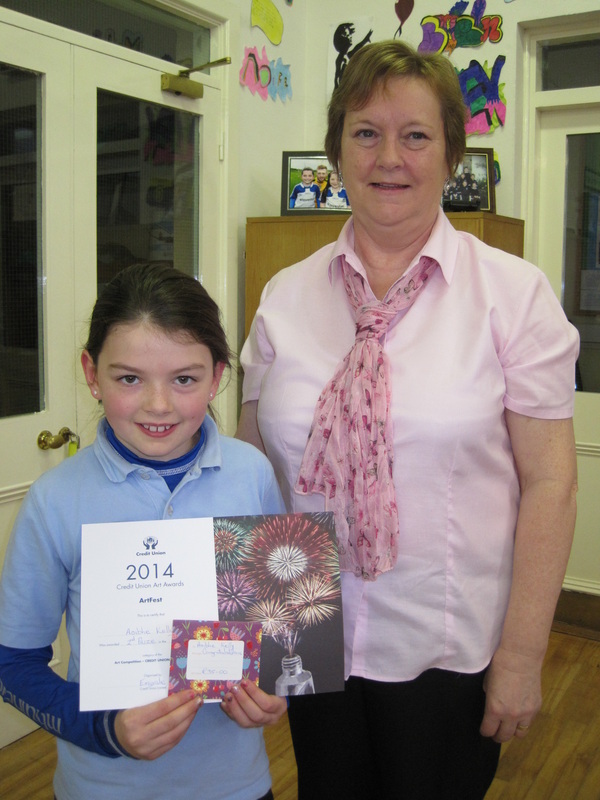 Whilst the award went to Ann, who achieved the highest votes, the Board of Management of St.Mary's N.S. would like to thank all of the remaining candidates who took part - Gertie Mc Nally, James Kavanagh, Gary Woods and Fiona Molloy. 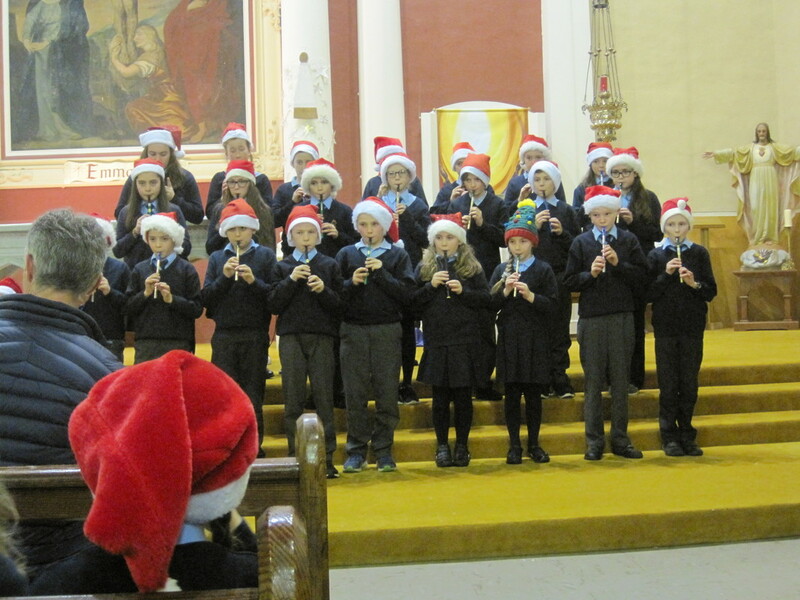 The Board are also indebted to all those who worked so hard to make the finale night such a success - the band who donated their time without charge, the many generous people who donated spot prizes, the families who made the sandwiches and to Wrights Bar for the facilities. Thanks also to all the families who attended the occasion. The money collected will be put to good use by our Principal and top of the list would seem to be new computers. 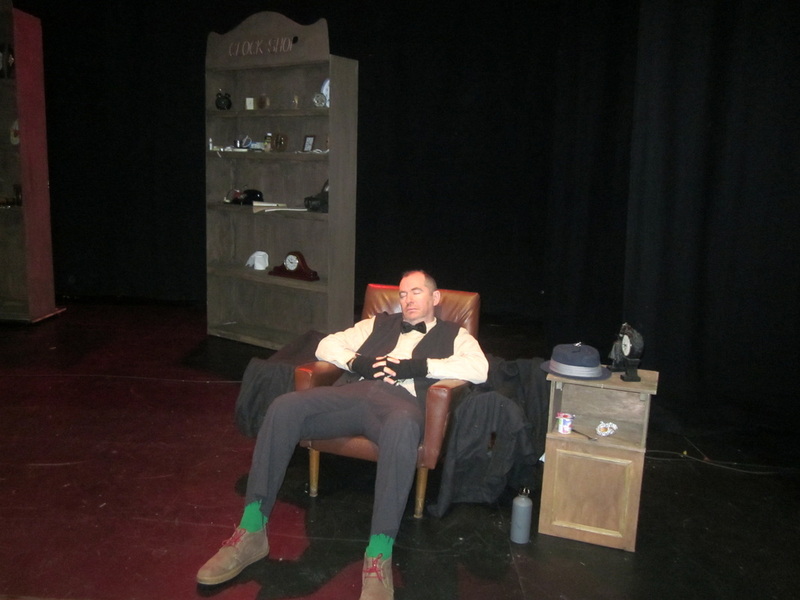 Our thanks again to all who made the night a success. 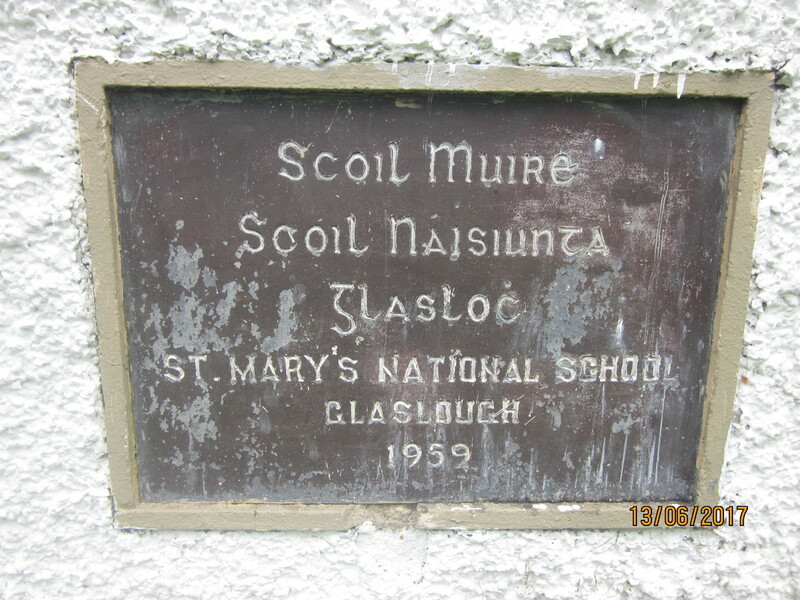 ﻿﻿﻿﻿﻿﻿﻿﻿﻿St.Mary's N.S. Glaslough commemorated the centenary of the 1916 Rising. 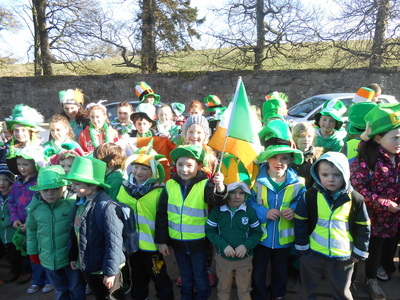 The children dressed for the occasion in a sea of green, white and gold and they assembled at the Community Centre and walked proudly to school showcasing their costumes to the locals and to all passing commuters. 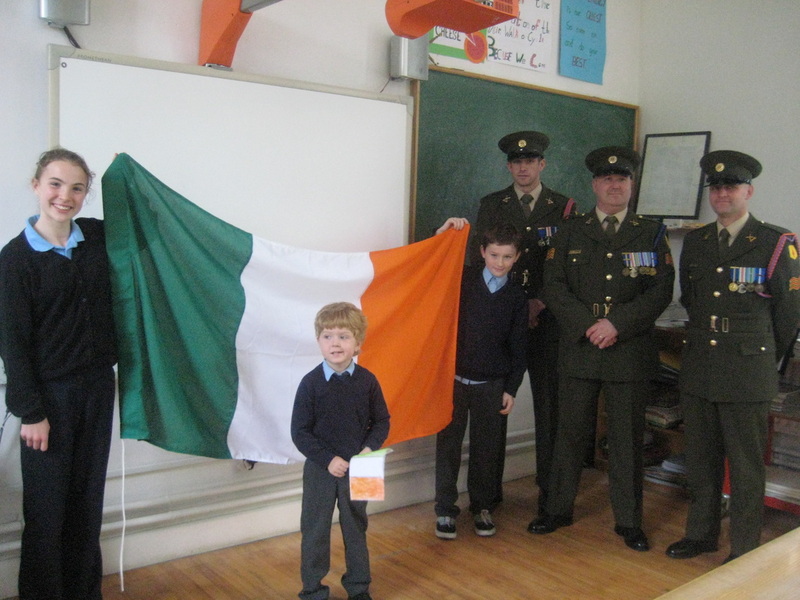 We were honoured to welcome back Sergeant Gallagher, dad to Zoe, who hoisted out national flag. The Infant classes marked the occasion by making their own national flag and were most proud to wave them during the ceremony. 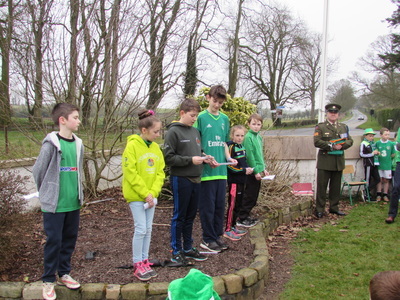 Mrs Cassidy's class called out the names of the seven signatories to the proclamation and they sang the song "Grace" made famous by Joseph Mary Plunkett's marriage to Grace Gifford in Kilmainham Gaol on May 4th,1916.Our senior children in Mrs Dowling's class informed us of the background to our national flag. We learned that the flag was inspired by the French flag and the idea for our flag was taken to Ireland by a revolutionary named Francis Meagher from Co.Waterford. 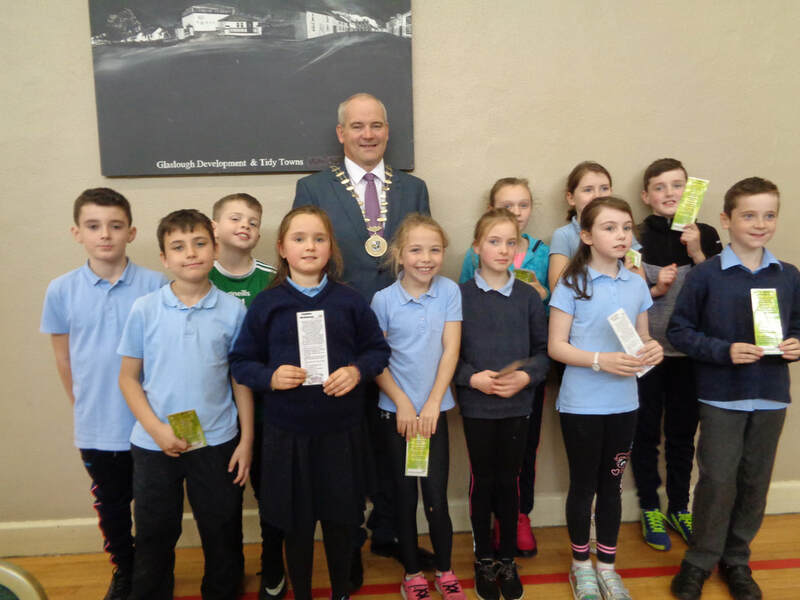 Mr Macklin's class read our new proclamation written by our children. It was a rather special occasion and we will keep alive the memory of this special day well into the future. 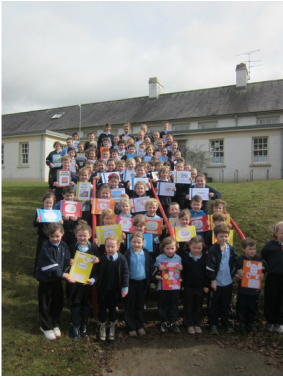 Please enjoy reading the Proclamations for the Future written by each class grouping. 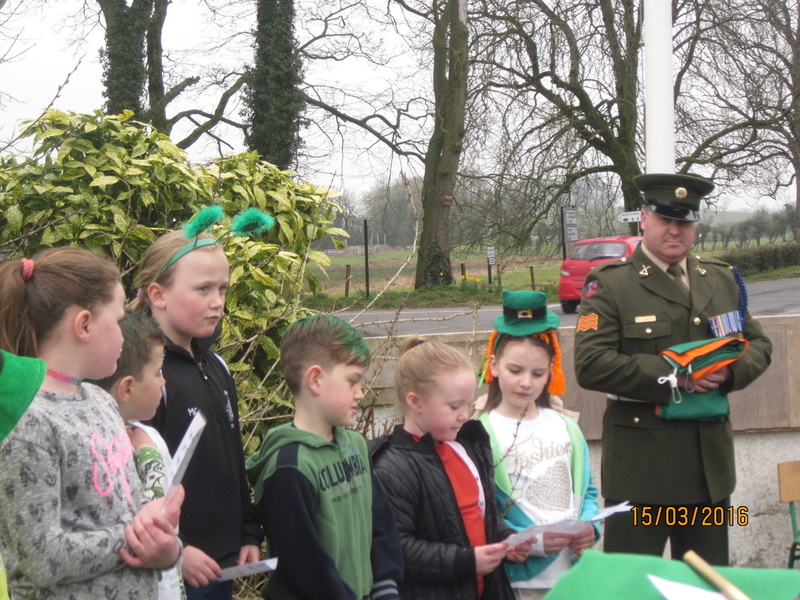 The children expressed their hopes and aspirations for our country going forward. May those who lead and each and every one of us, strive to achieve for future generations, what was written by the children of Glaslough. Our Proclamations for the Future. 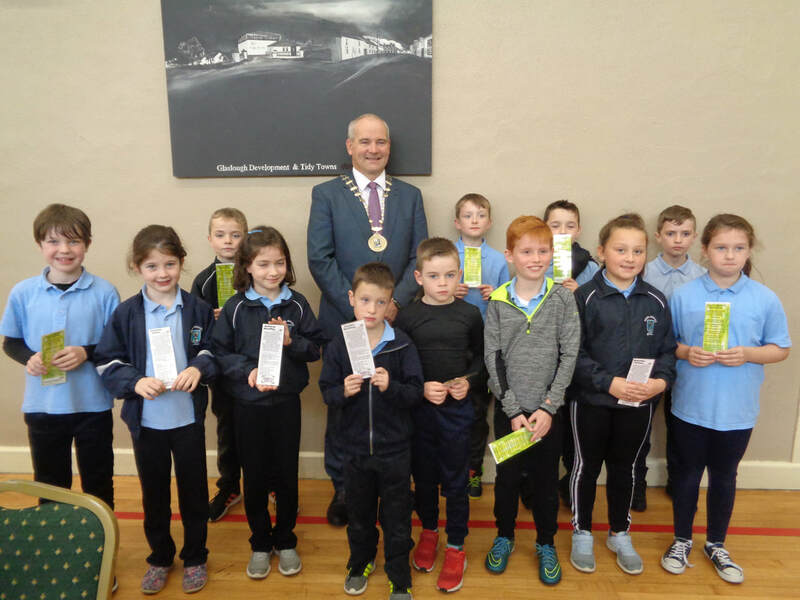 The pupils in Rang 1 & 2 in St. Mary's National School, Glaslough, wish to write a new proclamation for our country. Our country is very special to us and there are many wishes we have for it in 2016. 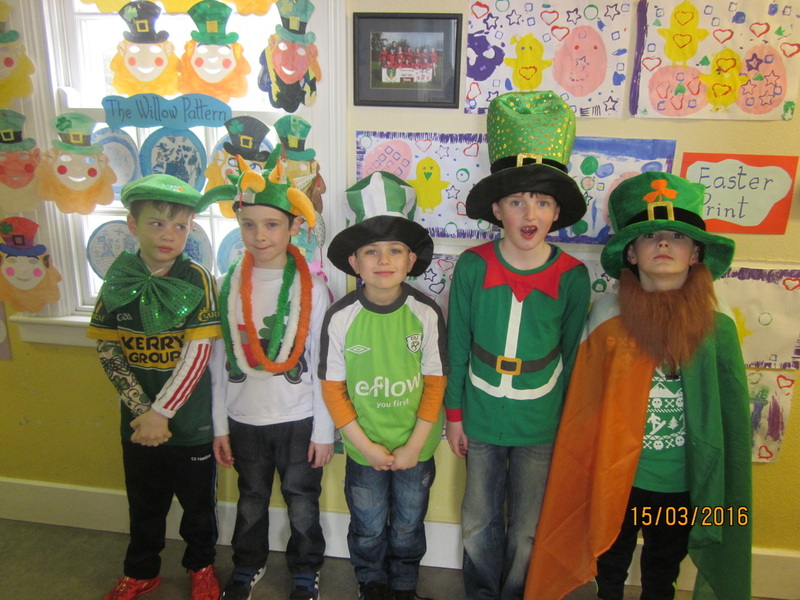 All of us would like Ireland to be friendly and peaceful. We want everyone to believe in God and love their faith. We wish that all the poor have a home. We should have good working hospitals and definitely well-resourced schools. We wish for our country to be friendly to all other countries and for the world to be a peaceful place. We would also like everyone to have a job. 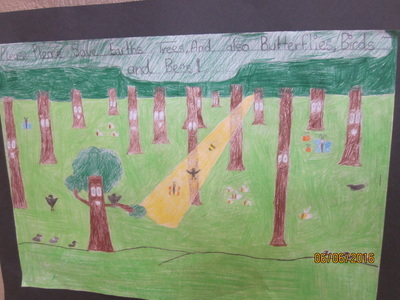 A clean environment would be lovely for us to live and play in. We wish we could live in a drug free world. We would like to travel safely our our roads. We, the pupils in Third and Fourth Classes in St.Mary's N.S. 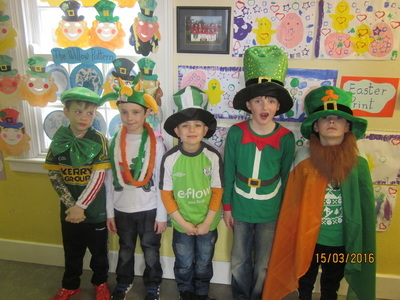 are proud citizens of Ireland. We are grateful for our lush green and scenic country, our fresh, nutritious food, our comfortable homes, our unique culture and heritage and the many educational opportunities we are privileged to enjoy. 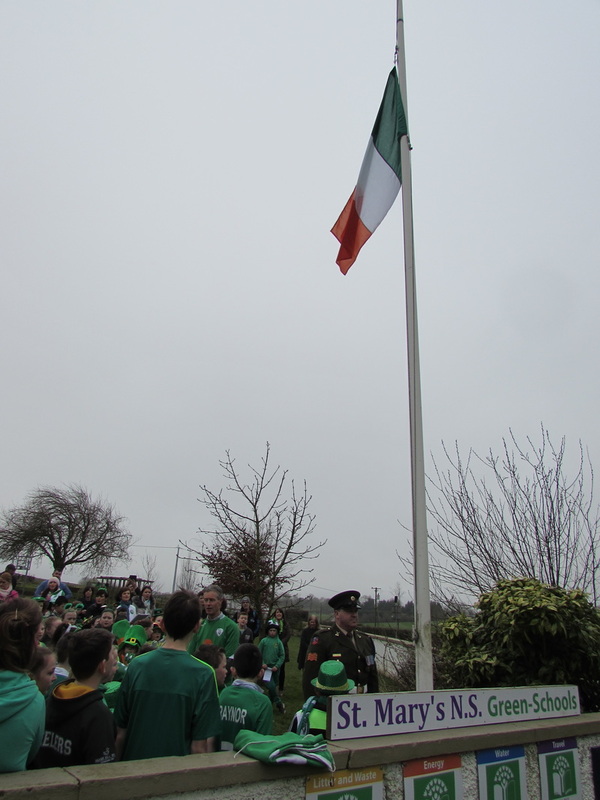 We admire the men and women of 1916 who dedicated their lives to the cause of Irish freedom and independence. Many of their hopes and dreams have ensured a better life for us today. Thanks to their sacrifices, we are a sovereign nation in charge of our own destiny and capable of participating in international affairs. 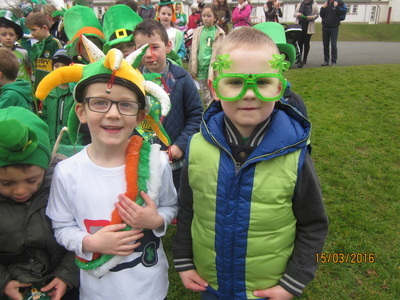 A century after the Easter Rising, our country still faces challenges which include the poor and homeless among us, the inefficiency of our healthcare system, the lack of employment for our young people and white collar crime. Once again, we need leaders with vision and idealism to work for the benefit of all our people especially the youth, the elderly and those with disabilities. We, the citizens also have a part to play in promoting harmony, prosperity and justice on our island. We need to take greater responsibility for: promoting peace in our hearts and homes, maintaining our physical and mental health and well - being, caring for the needs of others and protecting the environment by reducing our carbon emissions. Let us continue to be a warm and welcoming country by extending a céad míle fáilte to visitors, tourists and refugees who come to our shores. Let us value our past achievements, heroism and traditions as we move to a more inclusive and pluralist society imbued with the motto ar scáth a chéile a mhairimid. 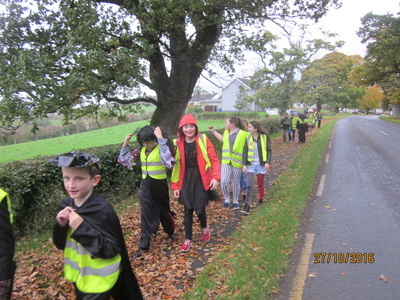 Go dtuga Dia cabhair and misneach dúinn ár ndicheall a dhéanamh i gcónaí. We, the children of 5th and 6th classes in St. Mary's National School, Glaslough, are proud of our country, our unique history and our culture. We know we have rights but with those rights come responsibilities. 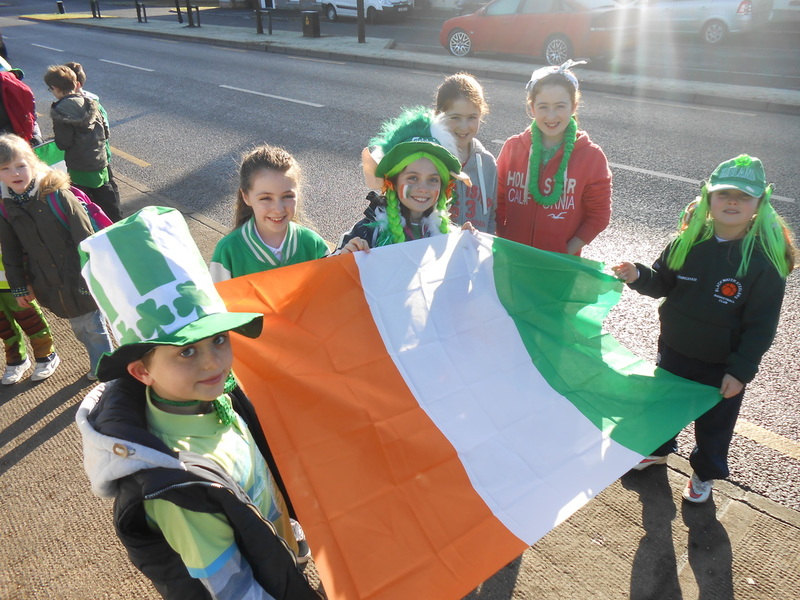 Our vision for our country in 2016 is an Ireland which will play its part in the world and lead by example. We all must start by acting responsibly in our own community , by doing our small part. We wish for a world where everyone has a home,food and water, fresh air, a good health and education system and someone who cares about them. We hope for a world where we are all equal, where everyone is nice to everyone else, a peaceful world. 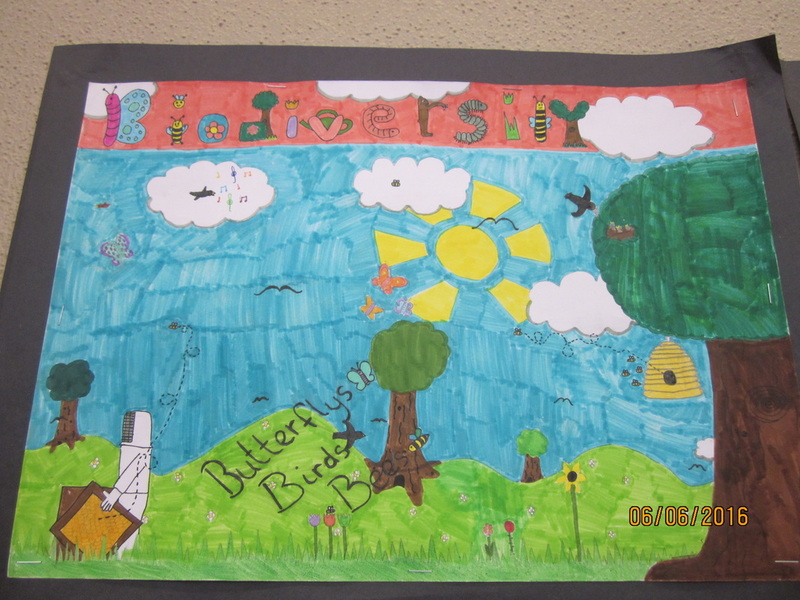 Our vision is that future Governments make the right decisions for our world. We can have a world where our environment is litter free, where we can slow down climate change so future generations can live in this beautiful place we call earth. 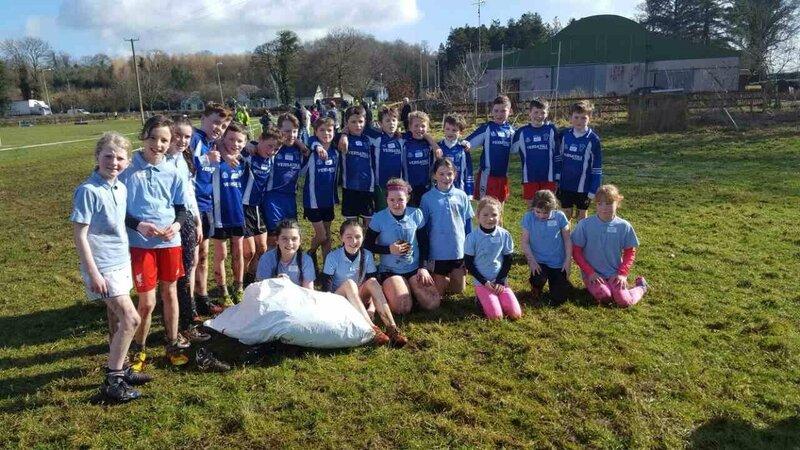 Congratulations to our Cross Country runners who won both Girls and Boys County titles. 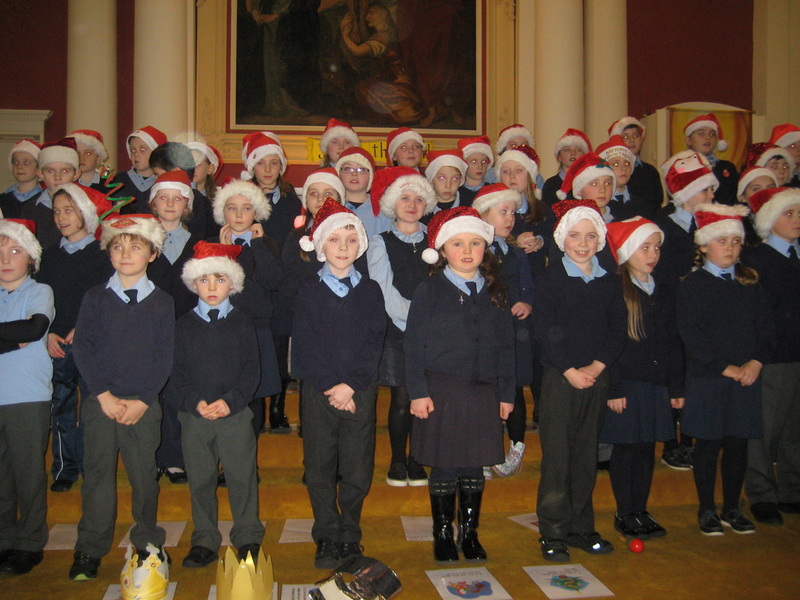 Children from classes 1st - 6th represented the school. All pupils have been involved in training since early February - our own version of Operation Transformation ! It was so worth it. 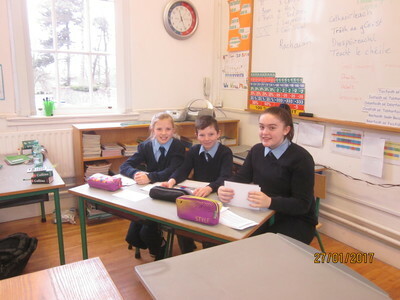 The Cavan Monaghan Regional Debate Semi-Final took place in St. Mary's N.S. on Wednesday 17th Feb. The Motion was 'Climate Change Can't Be Stopped'. Urbleshanny were proposing and Glaslough opposing the motion. ​This was a very challenging topic for the pupils on both sides but they all spoke very confidently and convincingly. A large crowd attended and you could hear a pin drop during the speeches. 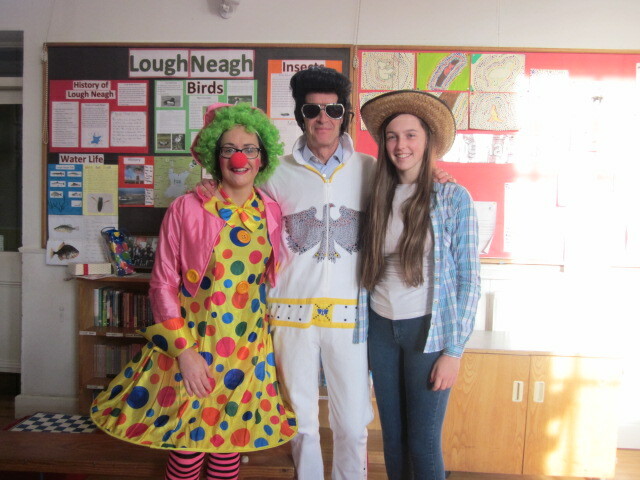 The members of the winning Glaslough Team were Brid McNally (Captain), Molly Sheridan (Second Speaker) and Ben Duffy (3rd speaker). 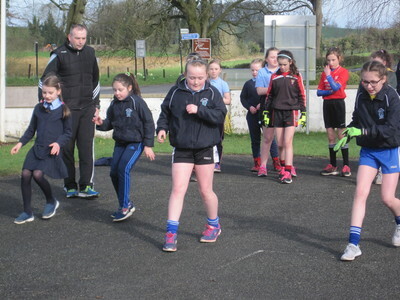 The chairperson was Pauric McQuaid who kept both teams ‘in order’. 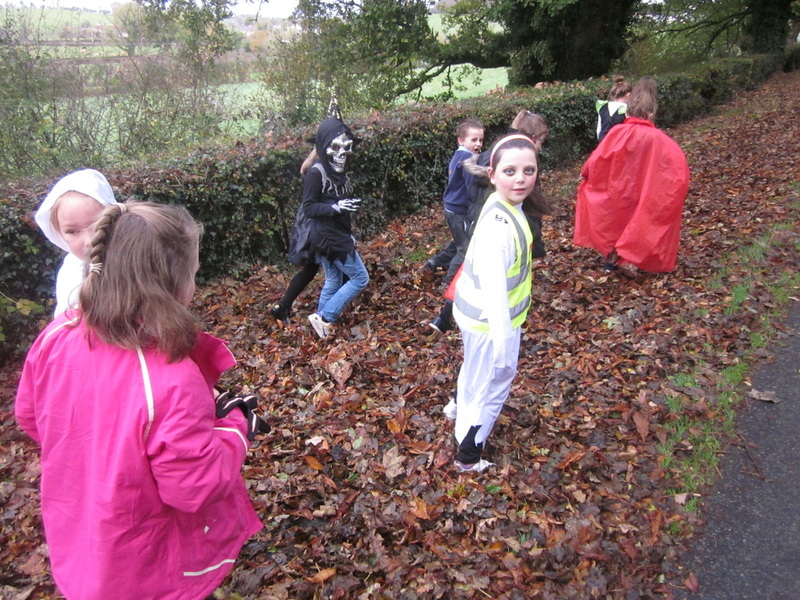 Other Team members were Matthew Curley and Lucy Duffy. Glaslough are looking forward to the final which will be held in April. 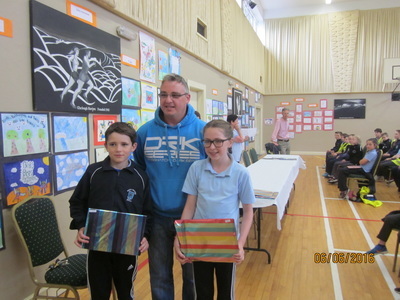 Many thanks to adjudicators Pat Deery, Seamus McDermot and Siobhan McCormack. 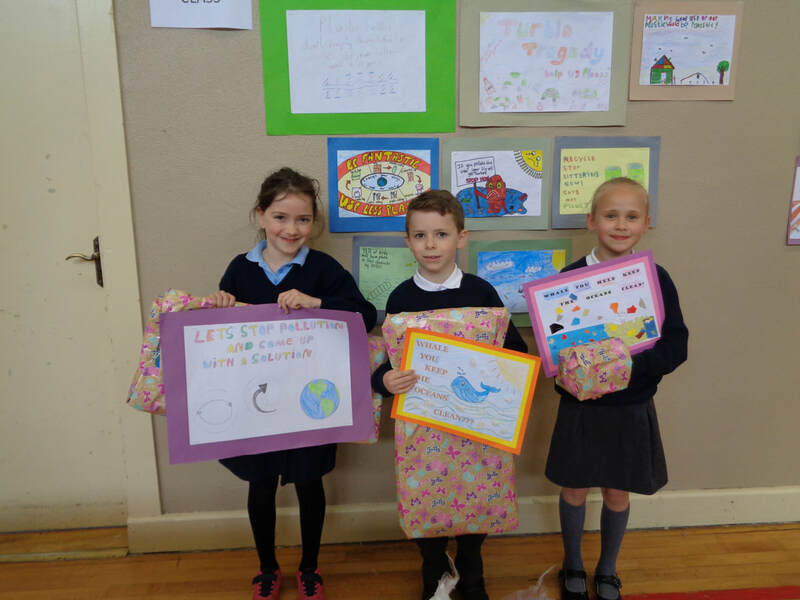 Taking part in this project will give our pupils a better understanding of the lives of children and their families in developing countries. 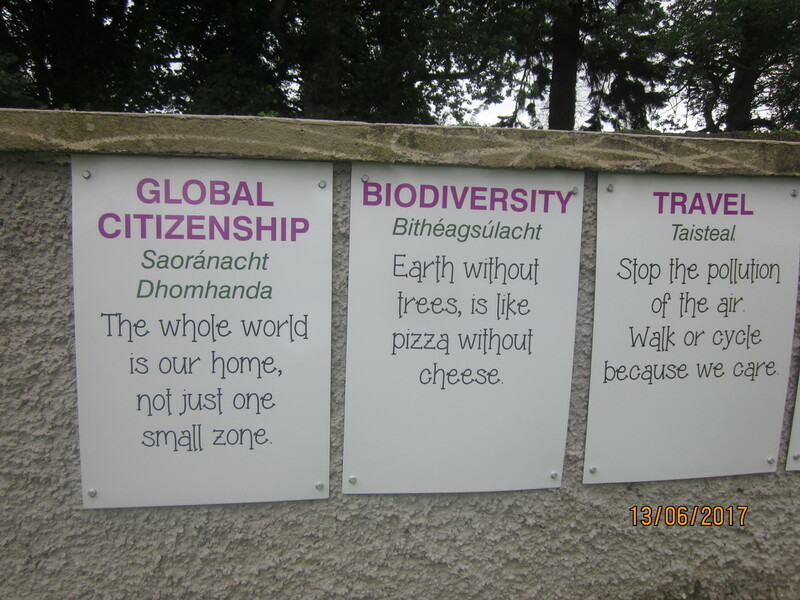 It's also part of our 6th Green Flag - Global Citizenship Programme. What a wonderful performance from each class at the Christmas Show. The talent in our school is just amazing. 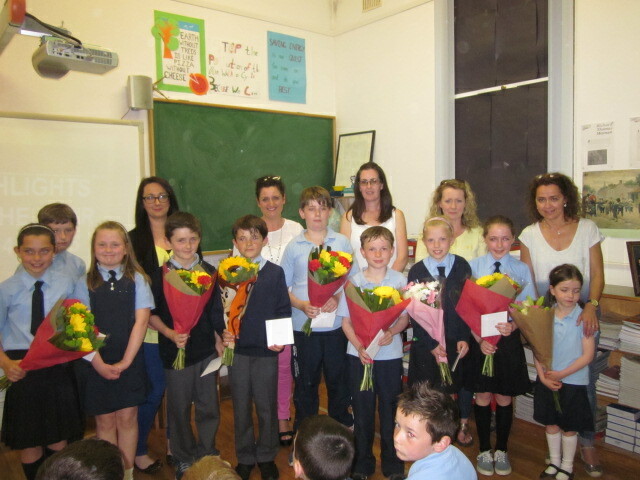 We thank the teachers for their hard work in directing the children and helping them to achieve their potential. 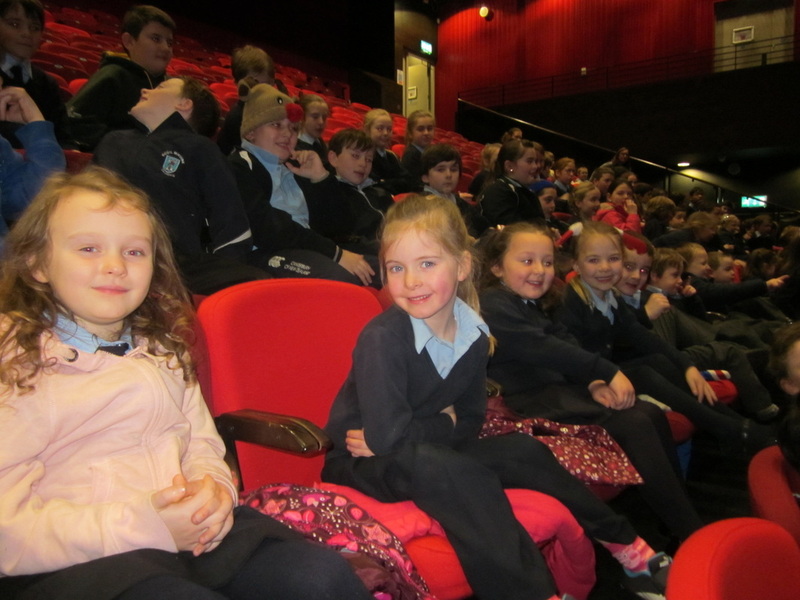 A huge turn out of parents, grandparents and past pupils turned out to watch the performances. 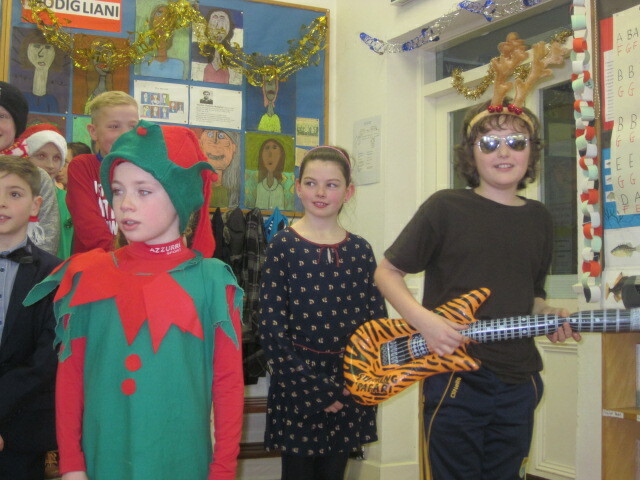 A raffle in aid of school funds was held and we thank all who donated prizes and also those who purchased tickets. 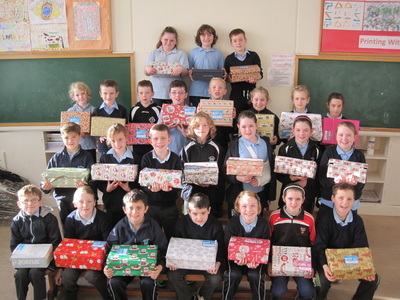 The theme chosen for 2015 was Love Your Neighbour. 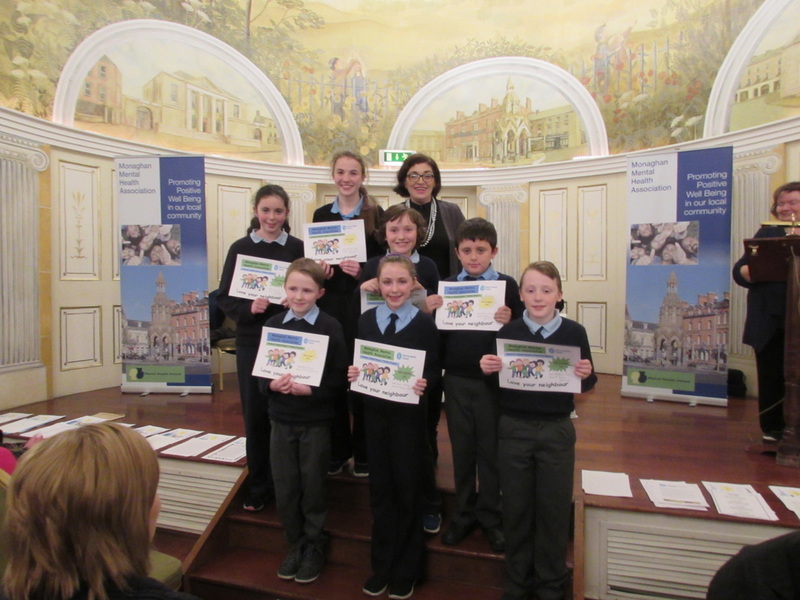 The Presentation Ceremony took place in the Westenra Hotel on Wednesday 18th November. 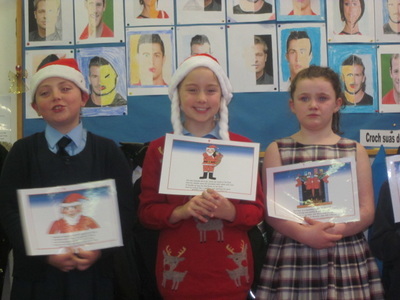 The children received certificates and money prizes in recognition of their efforts. 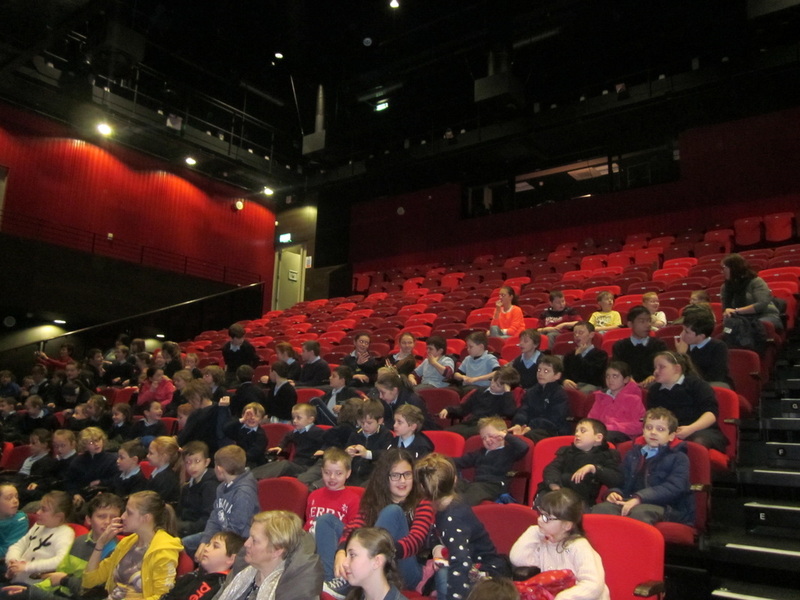 The merit winners also did themselves proud by confidently reading aloud their scripts to the large audience. 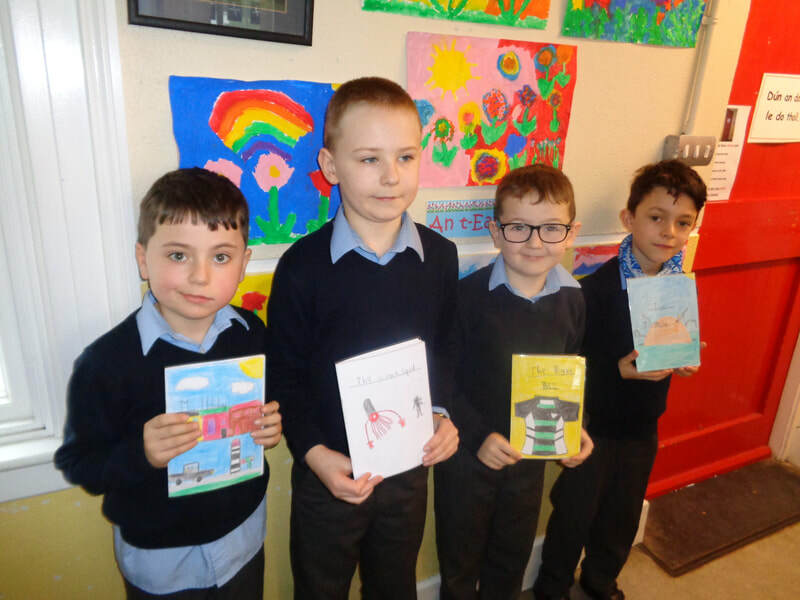 Well done to all the children who participated in this competition as some outstanding poems didn’t make the shortlist on this occasion. 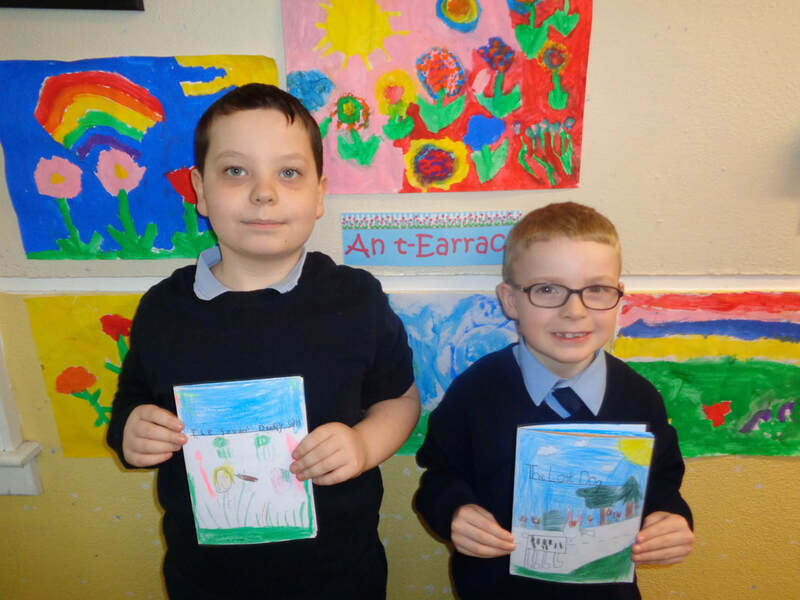 'Congratulations to Kayla Molloy (5th class) and Finn Curley (Senior Infants), winners of the Credit Union Art Competition. 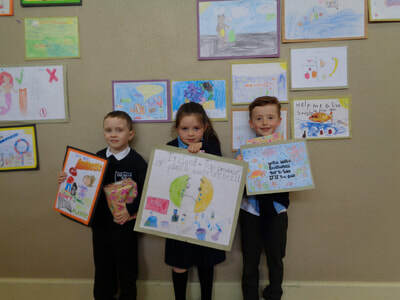 The children were asked to depict their idea of happiness. 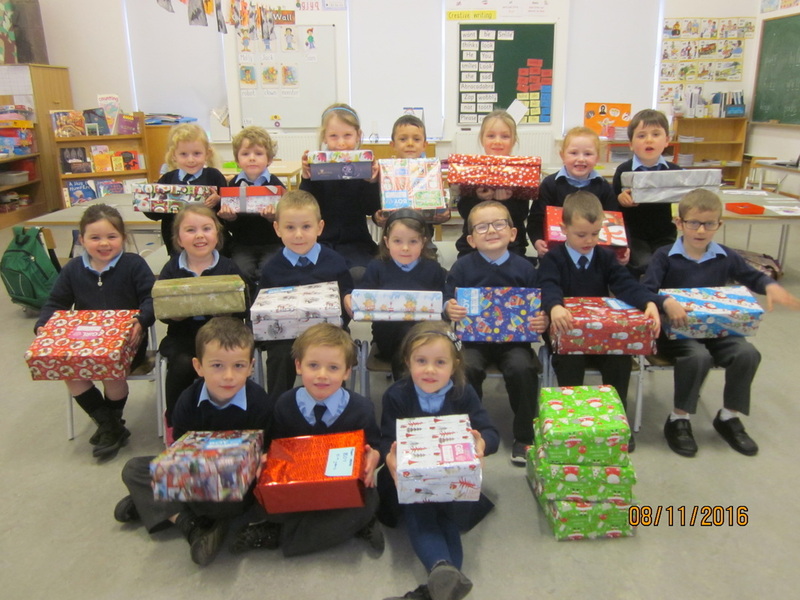 As part of our new theme "Global Citizenship" of the Green Schools the children in our school participated in the Christmas Shoe Box Appeal. 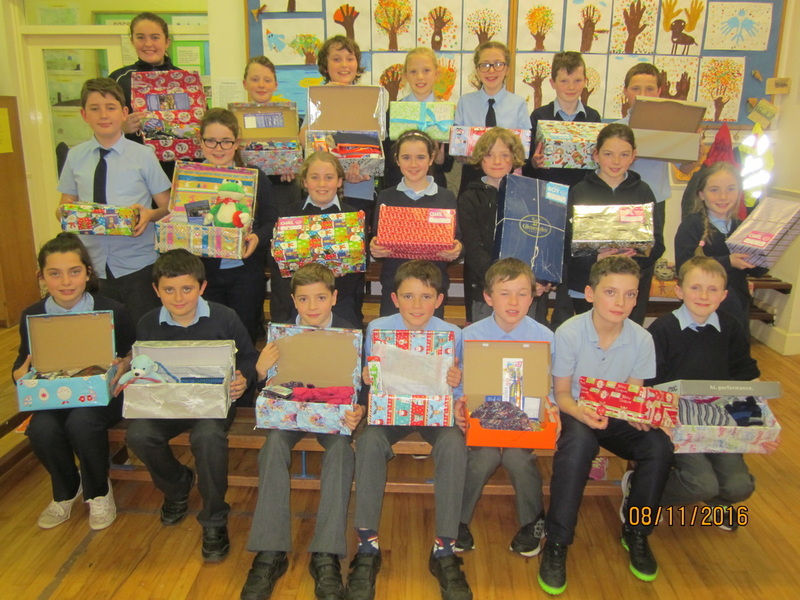 Our students were tasked with filling a shoe box full of useful items for children who are less well off in other countries. There was a great up take of this appeal and we say thank you to all who participated. 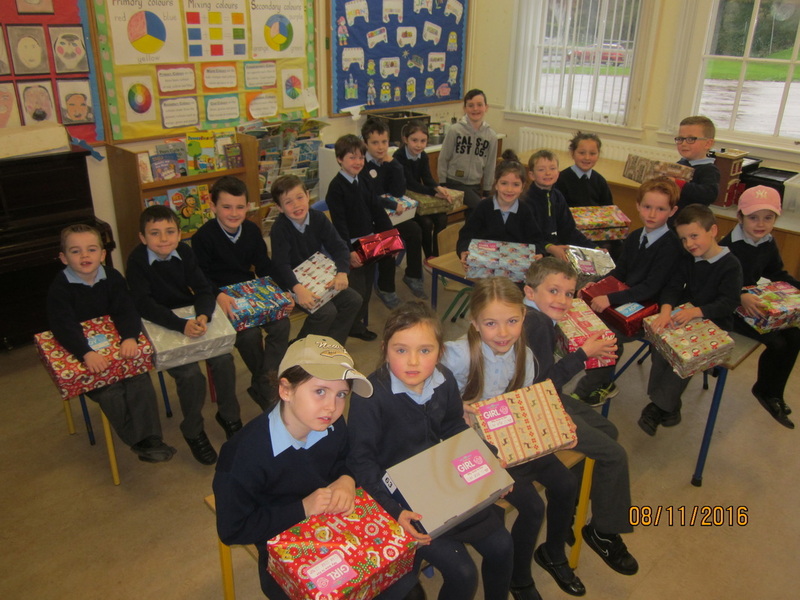 We feel our children benefited as much as the children who will receive these gifts. Another double clear round for Caoimhe Treanor (6th class) who represented our school in the School's Show Jumping Competition. 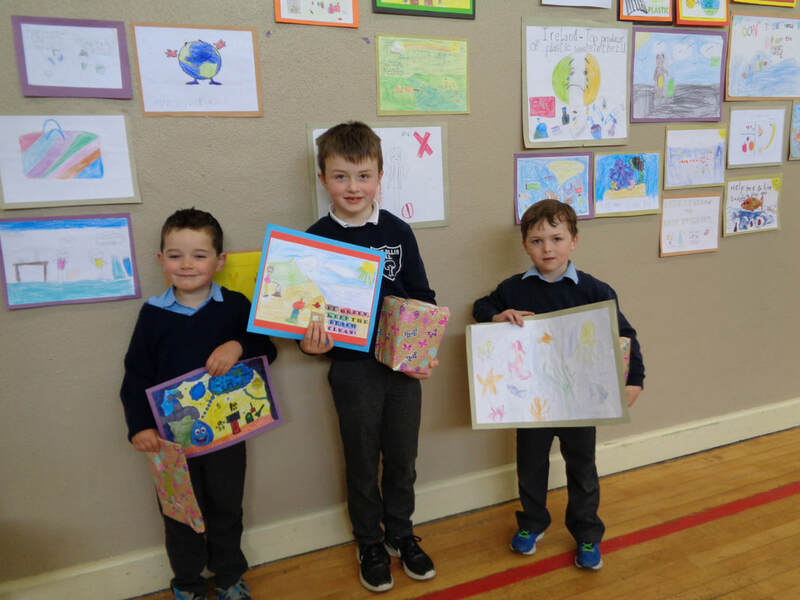 The National Flags for Primary Schools project was launched on 14th September this year as part of the Ireland 2016 State Commemorative Programme. 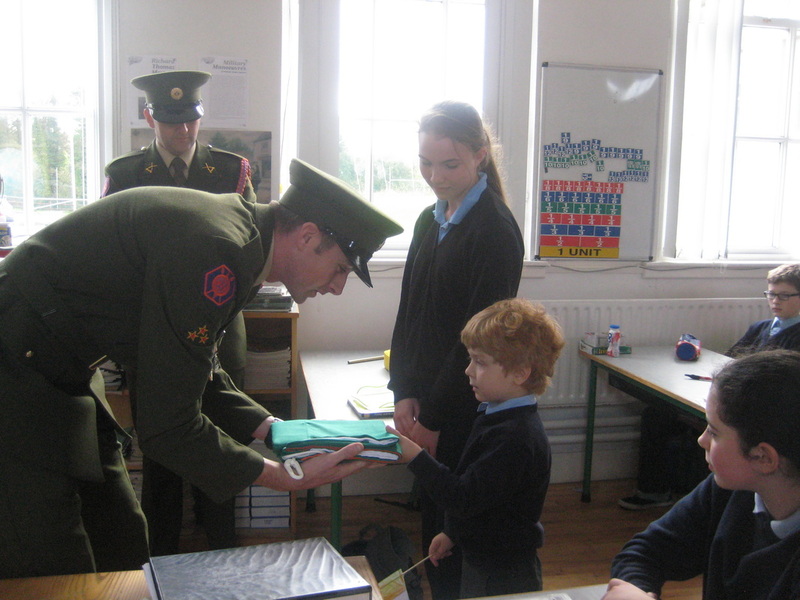 In order to commemorate the centenary of the 1916 Rising and to celebrate 100 years since the Proclamation of the Irish Republic, the government has tasked Óglaigh na hÉireann with delivering a National Flag and a copy of the Proclamation to every Primary School in the country. On Friday November 6th Glaslough N.S. 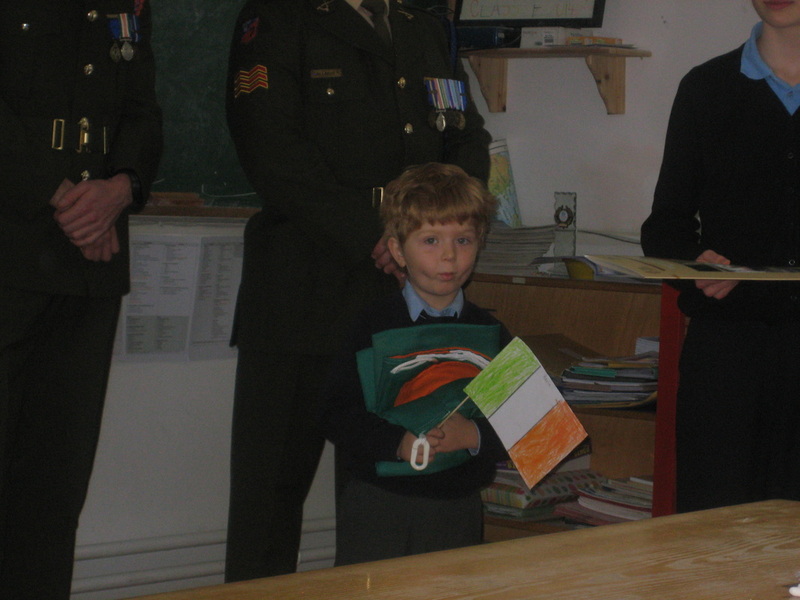 was presented with the National Flag and a copy of the 1916 Proclamation. 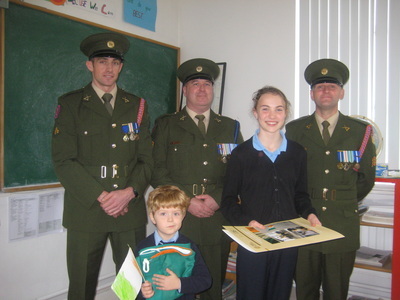 Brid McNally, our eldest pupil and Kevin McKenna, our youngest pupil, accepted these gifts on behalf of our school.The children were instructed about how the National Flag should be cared for and the protocol that surrounds this vibrant symbol of our nation.Our thanks to Sergeant Duffy, Sergeant Gallagher and Private Flannery who so kindly gave of their time and patiently answered the many questions from our students about their army life . 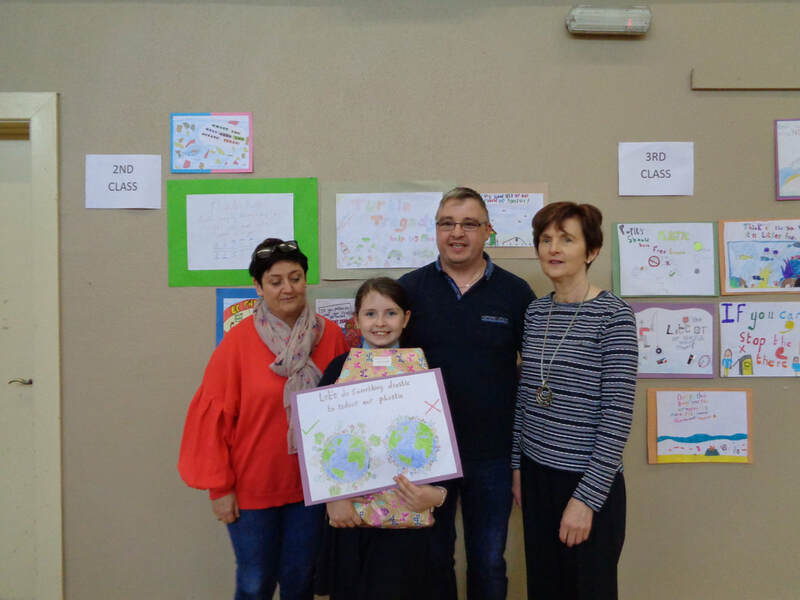 It was rather a special occasion for a student in third class, Zoe Gallagher, as she is the daughter of Sergeant Noel Gallagher. The occasion ended with the junior section of the school singing 'Ireland's Call' and the entire school singing 'Amhran na bhFiann'. 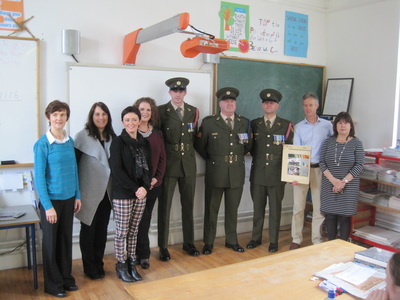 History was made in our school this week! 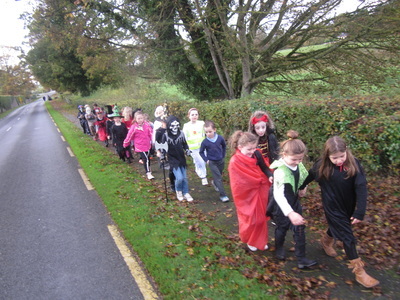 On Friday 23rd October all the children set out on their sponsored walk dressed in Halloween fancy dress. 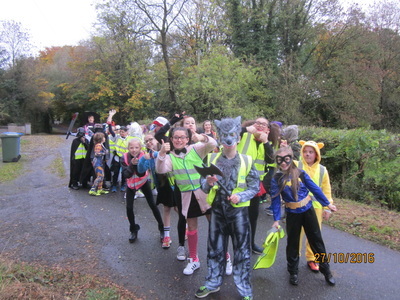 ​Our sincere thanks to everyone who kindly donated to our sponsored walk. 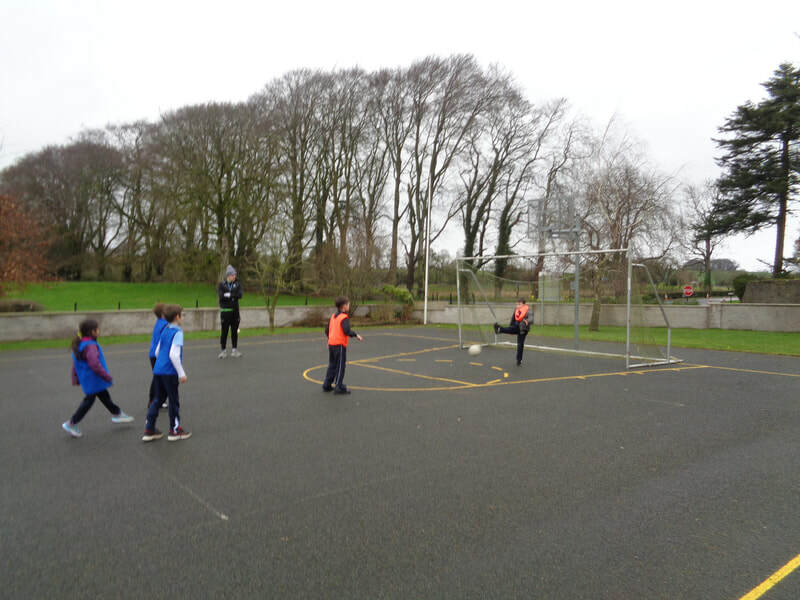 Our boys took part in the Cumann na mBunscoil GAA Football League / Blitz last Thursday. We came up against teams from Tydavnet N.S, Threemilwhouse N.S, Magherarney N.S and Killeevan N.S. Fantastic team performances saw us earn 2 wins, a draw and 1 loss. 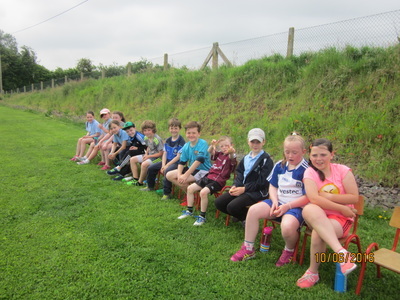 An all round great team spectacle and our players of the tournament for the day were Matthew Curley in goals and Caolán Mc Kenna outfield. 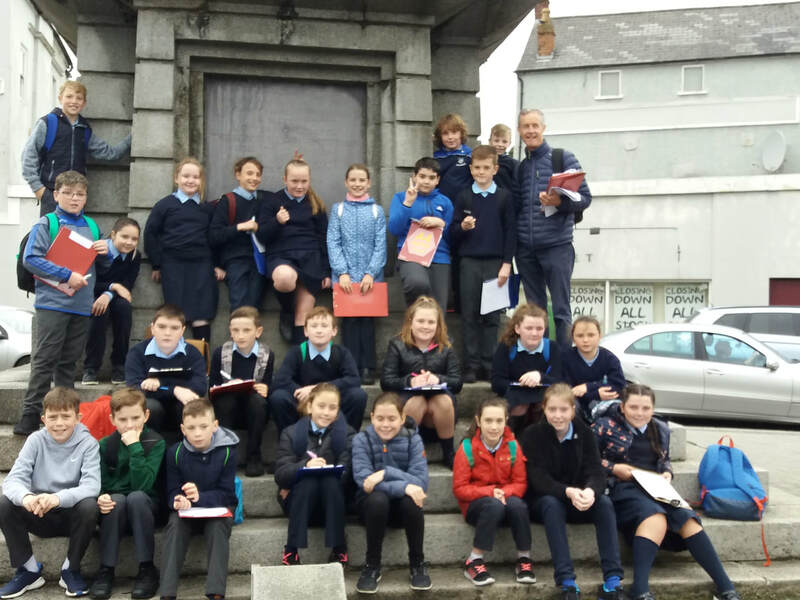 Blackwater Regional Partnership invited 5th & 6th class to the launch of the new sculpture erected just outside Middletown on the Monaghan Road. 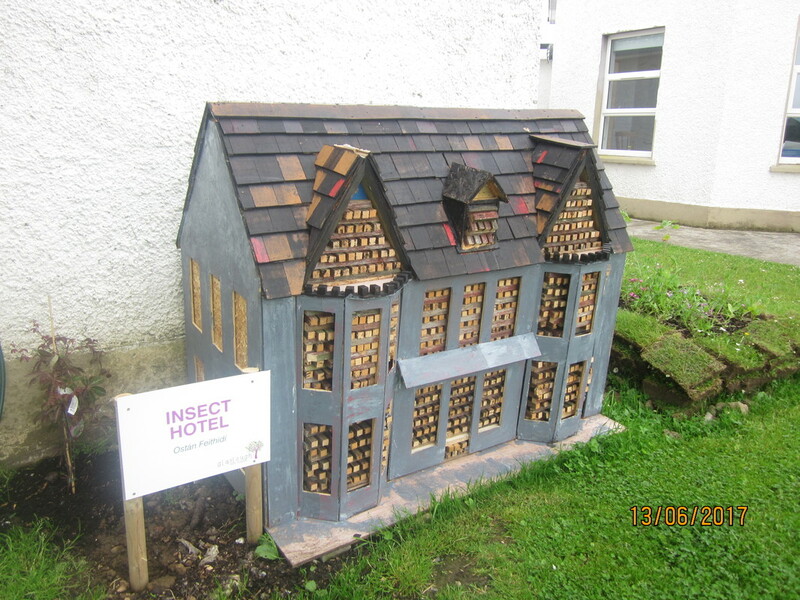 Last year, as part of this project, our children were involved in creating a 'Bee-Line Sculpture' which this new piece of art displays. The sculpture celebrates the heritage that unites the community of Middletown and surrounding communities. Follow the link for more exciting news . . . 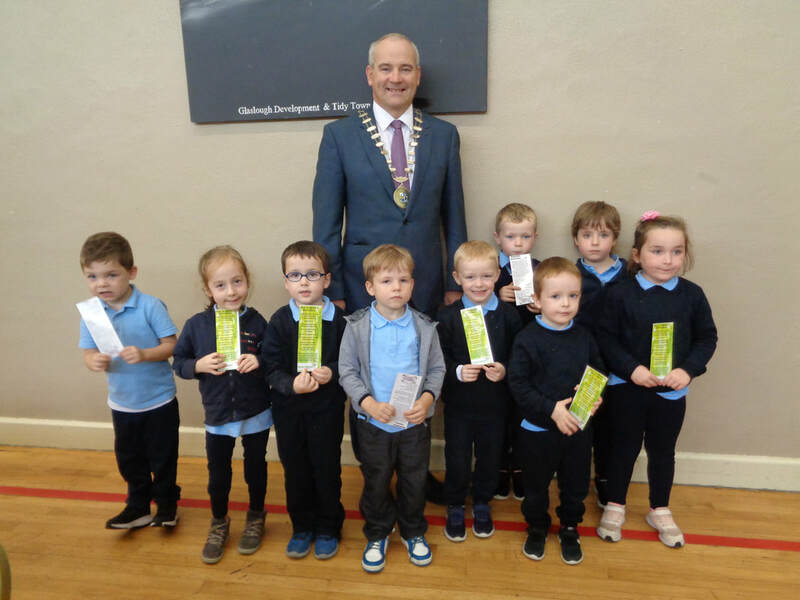 Pre-School Supervision Committee Receive our Thanks. 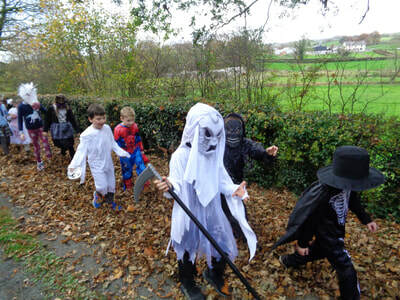 We wish to express our gratitude to the group of parents, who without payment, supervise the children from 8.30 - 9.20 each morning.Their kindness allows other parents to meet their work commitments. Mr Macklin has requested that more parents,if possible, join the supervision rota. The aim would be to recruit ten or more parents which would mean that each would be called upon to supervise just one morning per fortnight. Your support would be appreciated. 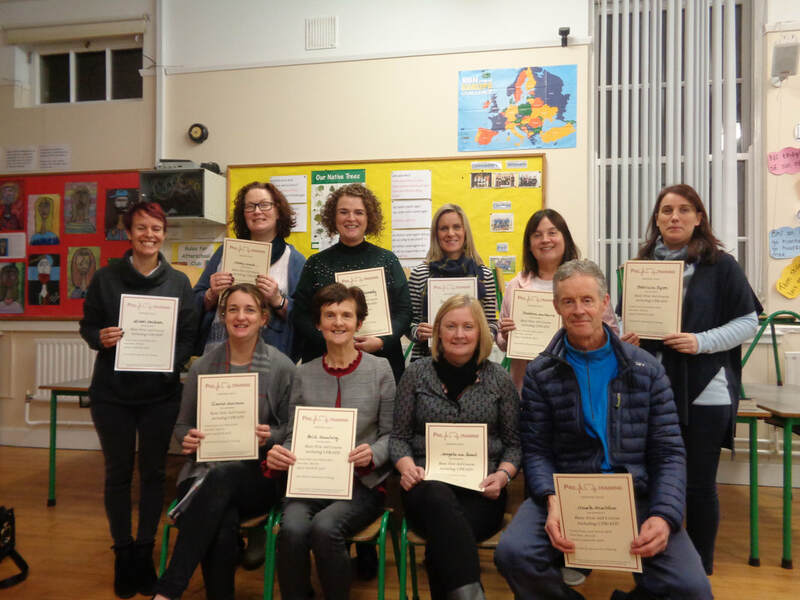 Supervision Committee for 2014 -2015 : Nikita Treanor, Claire Cunningham, Fiona Molloy, Patricia Murphy Thom, Trudie Duffy, Louise Duffy and Leonie Kelly. 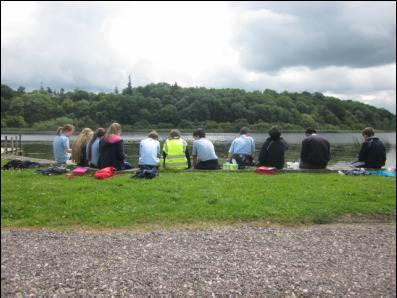 The Final Outing of our Year: A Picnic at Castle Leslie. 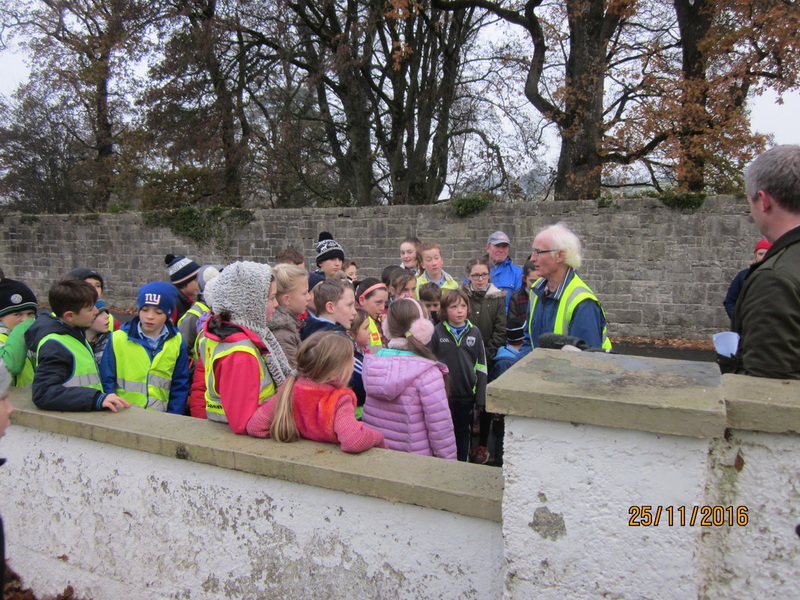 The children wish to extend their thanks to Sammy Leslie for allowing access to the Castle Grounds and to Fiona Molloy for the idea! 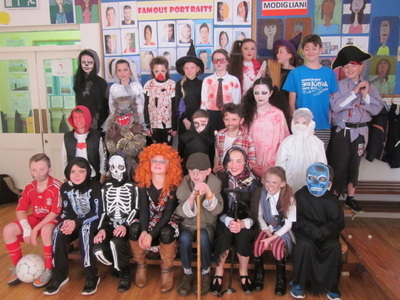 This year Monaghan Education Centre organised a Short Story Competition for First to Sixth Classes. They attended an Award Ceremony in the Four Seasons Hotel on Monday 15th June. 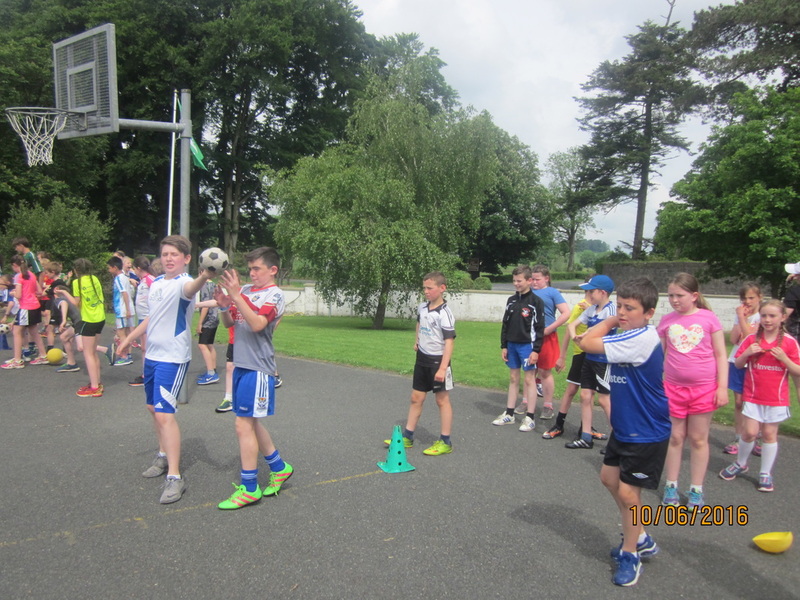 The celebrity guest was Conor McManus, Monaghan G.A.A. star County player. 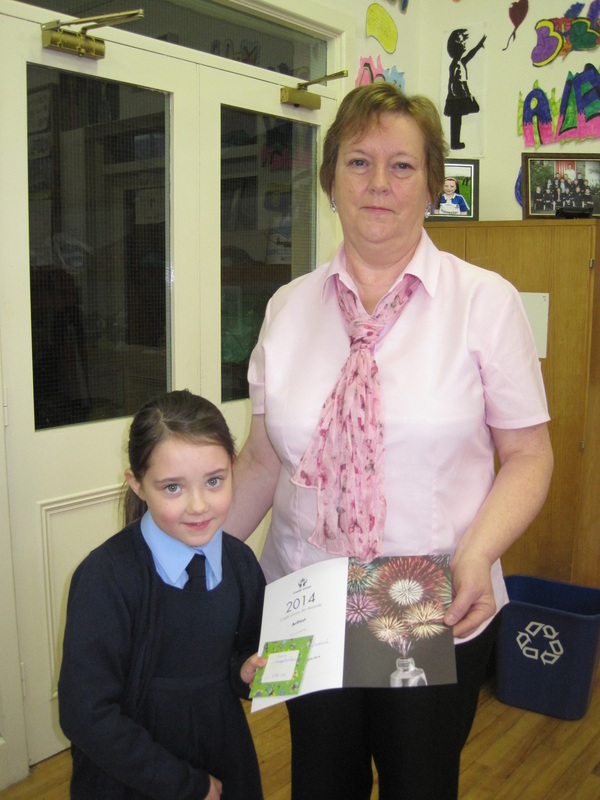 Each pupil received a medal, certificate and a copy of the book Once Upon a Time, containing all the winning entries. These pupils pictured above, are proudly displaying their medals and certificates. 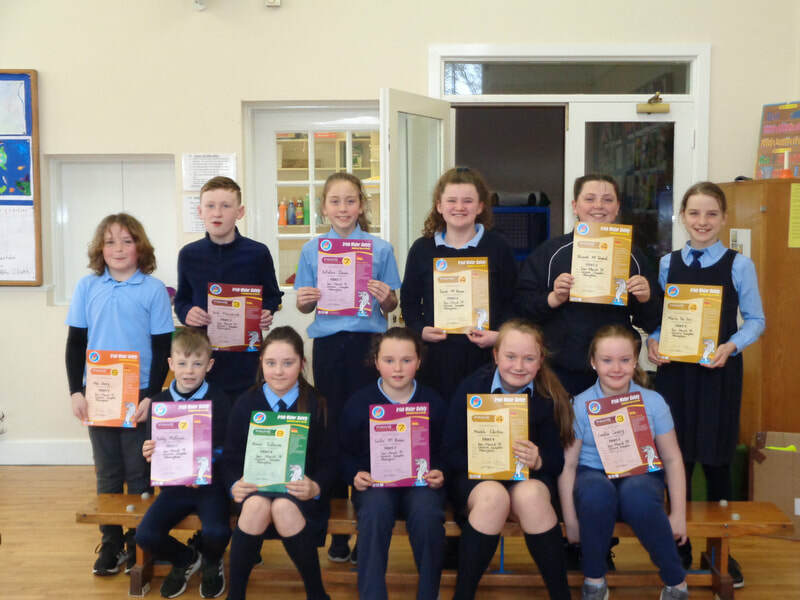 Congratulations to all the pupils in each class who participated in the Short Story Competition and also wrote such wonderful stories. Happy holidays and keep reading during the Summer! 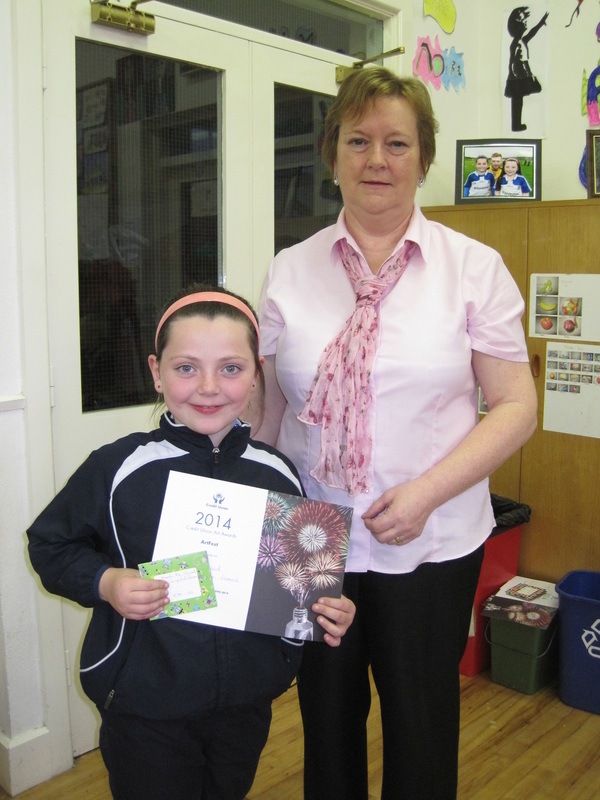 Honor Colleran receives a medal from her Class Teacher Mrs Sheridan-Cassidy and Sports Co-ordinator Mrs Dowling. 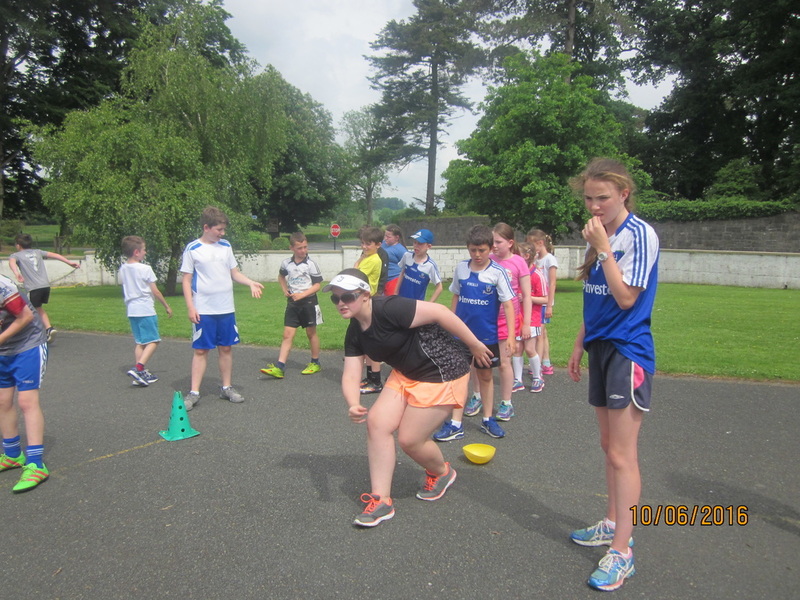 She proved to be a winning helper on Sports Day. 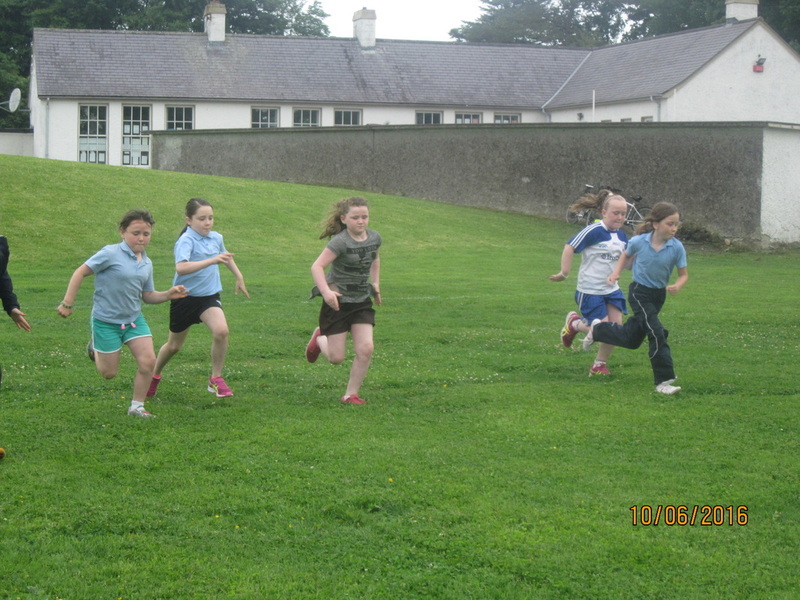 The pupils enjoyed a most active and enjoyable sports day on Tuesday 16th June. They participated in a wide variety of races and team building games which left them tired but delighted with their achievements. Our thanks to the Parents who donated refreshments, indeed we were spoiled as the selection of food ranged from jam and cream scones to mouth watering melon. The younger children were presented with their medals on the day and all went home with a smile on their faces. 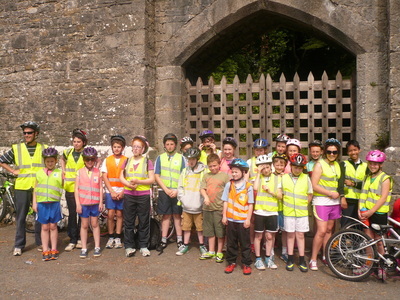 Our annual 4 Village Cycle took place on Tuesday 9th June. 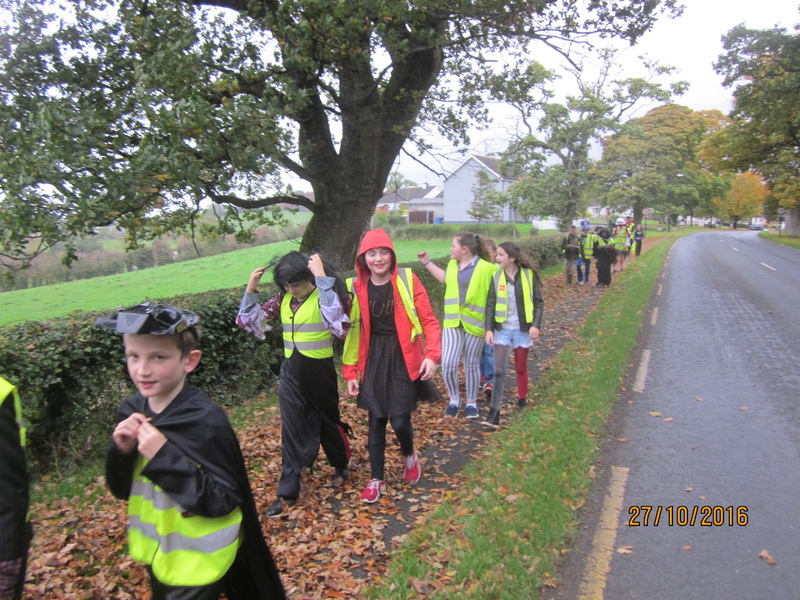 We set off at 9.30am on our 23km trip and made our way around Middletown, Tynan, Caledon and Glaslough with a few stops along the way. 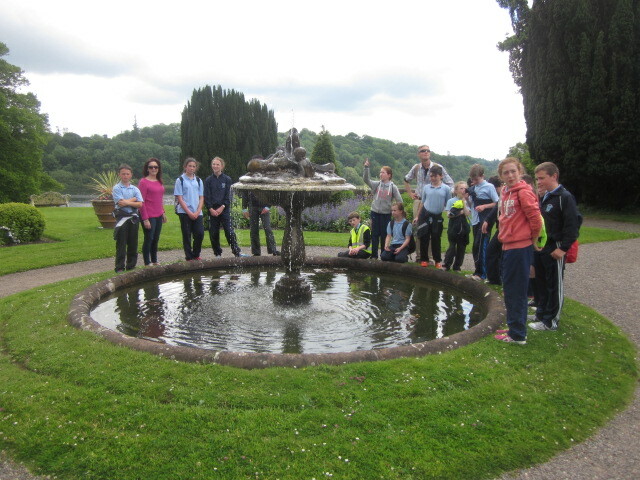 5th & 6th Class School Tour took them to A.W.O.L Outdoor Adventure Centre. We took part in various fun and exciting activities as well as team building exercises. 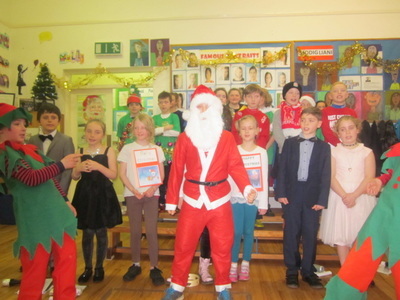 A fantastic day was enjoyed by all! 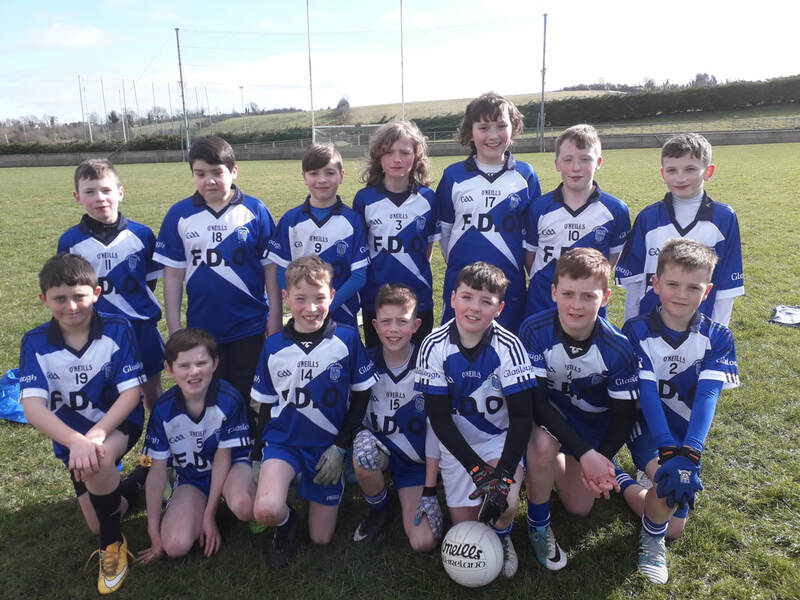 It was 3rd time lucky for St. Mary's as they were crowned County Champions last Tuesday after a nail biting contest against Corcreagh N.S, Shercock. 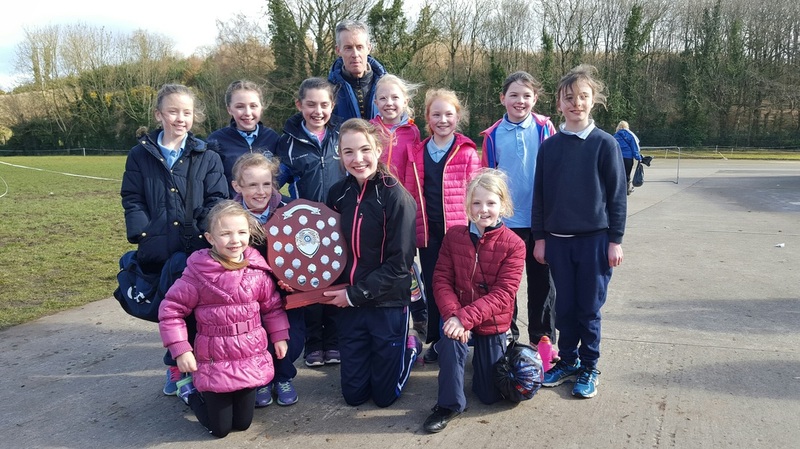 The young athletes from St. Mary's shone bright again this year in Clones as we were awarded overall Track & Field winners for small schools in both boy and girl categories. 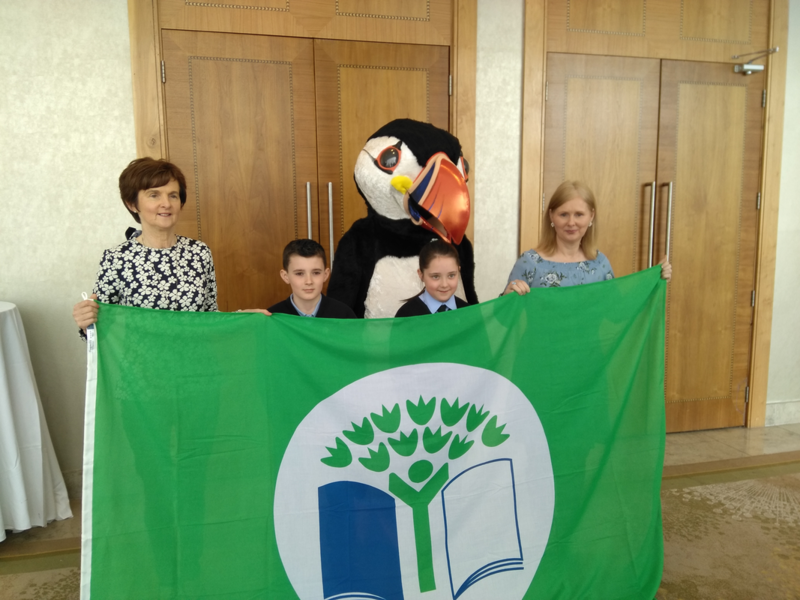 On Wednesday 20th May three members of the Green Schools Committee, Eva Molloy (6th Class),Caolán Mckenna (5th Class) and Niall Corrigan (4th class) accompanied Mrs Dowling to the Helix DCU to receive our Fifth Green Flag. 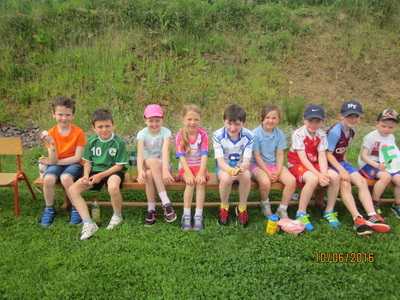 Click on the link below to read Niall Corrigan's report of the day. 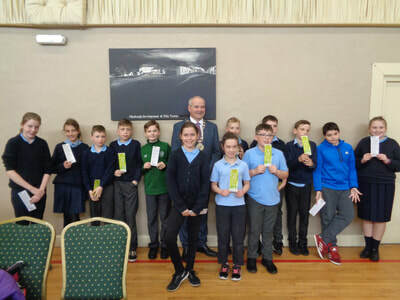 Congratulations to our Chess team who were crowned County Champions after a tough mental battle against our close neighbours, Garron N.S Tyholland. 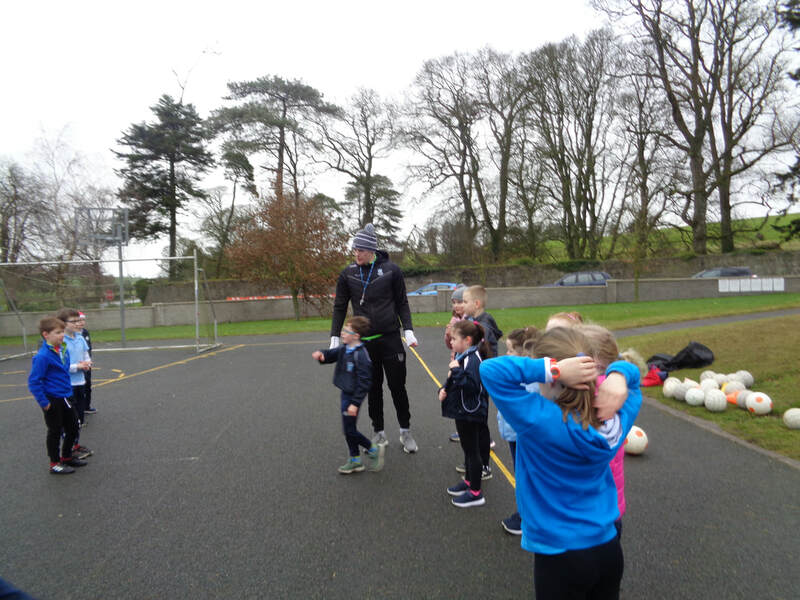 A big thank you to Raymond Aughey for sharing his expertise with the team and treating them to a celebratory Mc Donalds afterwards. Another successful year of Homework Club has come to an end. 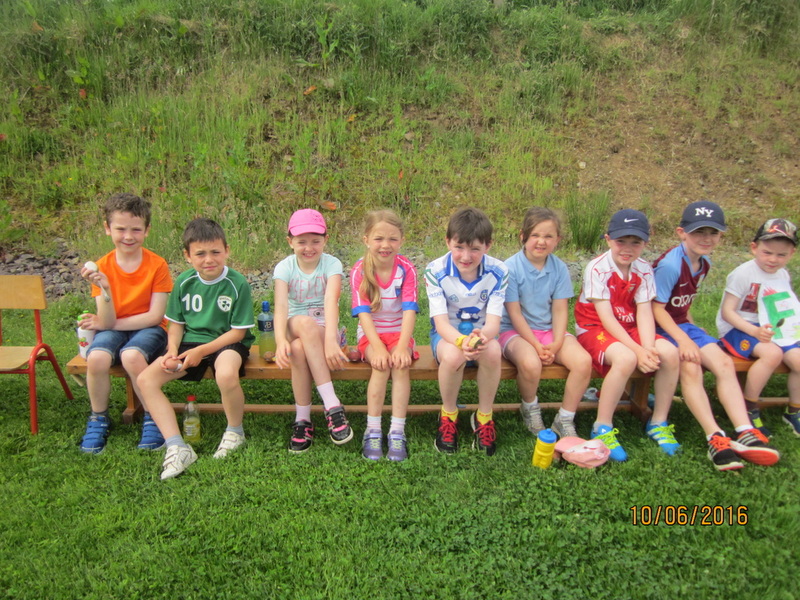 Miss Treanor and Paula organised a BBQ for the children on their last day. 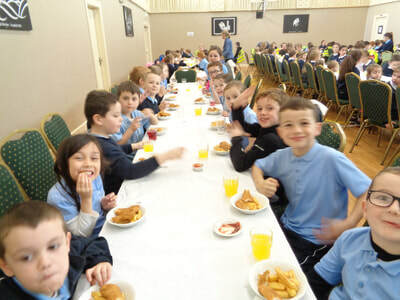 For more pictures of them enjoying their delicious burgers and sausages click on the link below. which was organised by Monaghan Library. 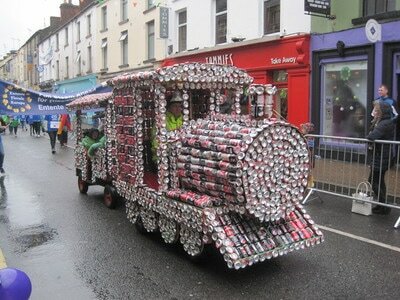 There was a very high standard of entries in this year’s competition which focussed on the theme of 'Throw Away Litter'. 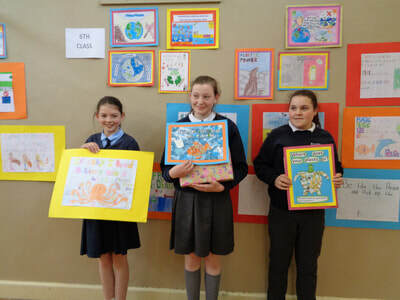 Congratulations to all the pupils who participated and designed such clever and colourful posters. 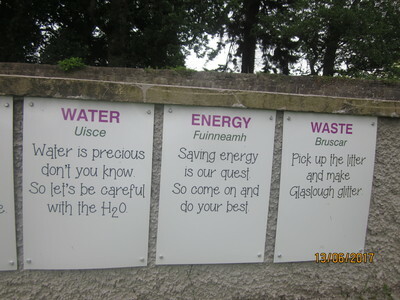 We really hope your slogans discourage motorists and passengers from littering our beautiful village. We held a GAA Skills Competition last Thursday for 4th class boys, organised by Monaghan GAA Development . 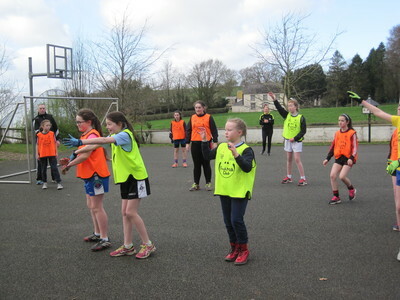 Various skills such as picking the ball up with your toe, soloing, fist passing, target shooting and point scoring were practiced and points were given for each skill completed successfully. 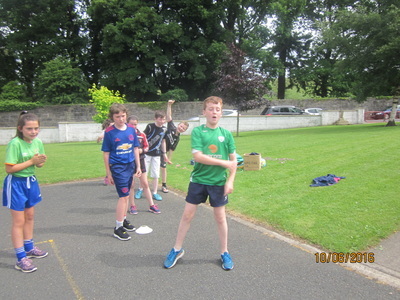 Two boys with the most points at the end were then selected. Congratulations to James Sweeney and Harvey Colleran who now go on to represent us in the County Skills Competition coming up soon. 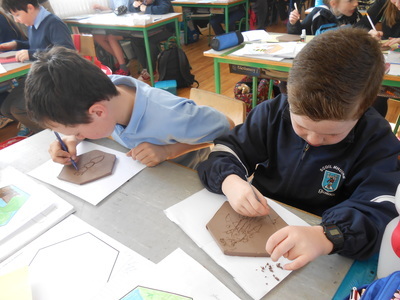 Pupils from 4th to 6th class took part in a project for a new sculpture for Middletown entitled 'Bee Lines'. Our In School Soccer Tournament is well underway with girls and boys mixed teams from 1st - 6th Class taking part. 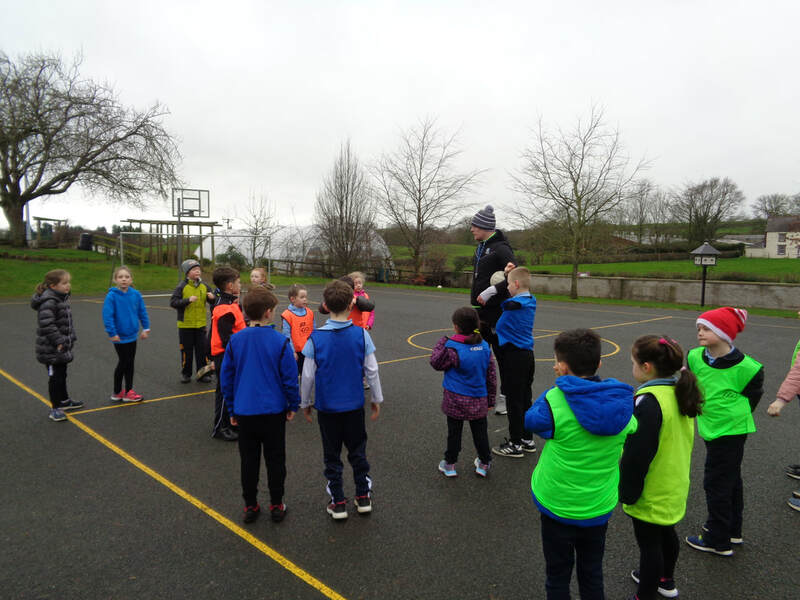 This is a great opportunity for the children to mix together, show off their skills and the younger kids relish playing against the older classes. On Friday 13th March, pupils, parents and staff dressed in forty shades of green for the annual walk to school in honour of St. Patrick, our Patron Saint. 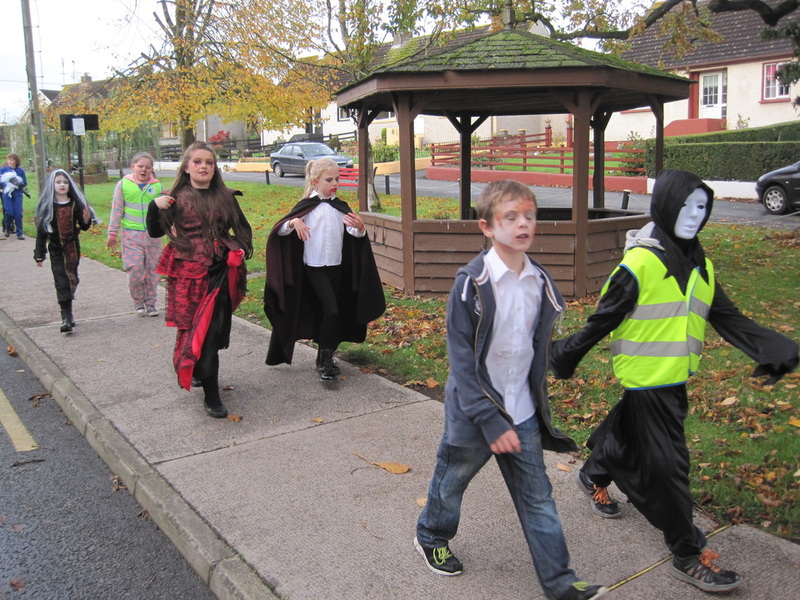 They walked the kilometre from the Oakland Centre to the school where they received seasonal treats and refreshments from the Parents Association. 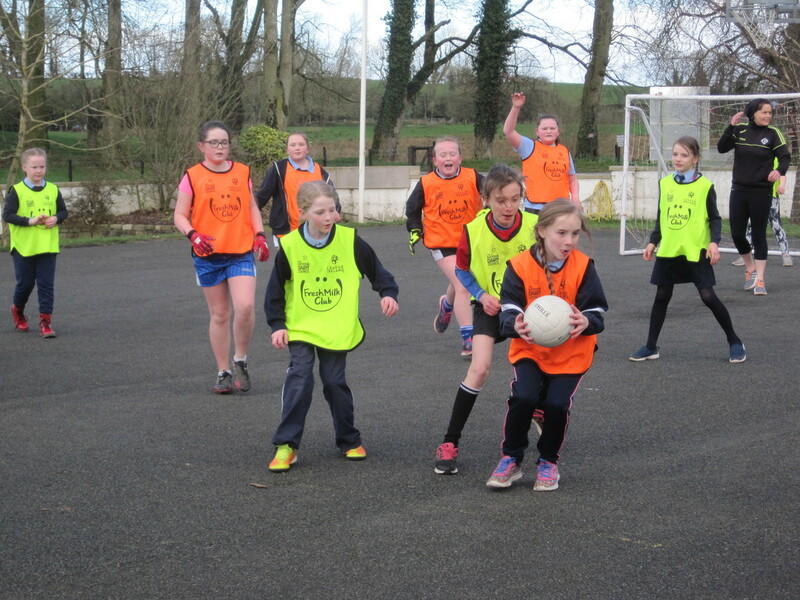 Bhí an lá go haoibhinn agus na héadaí go léir thar bharr. 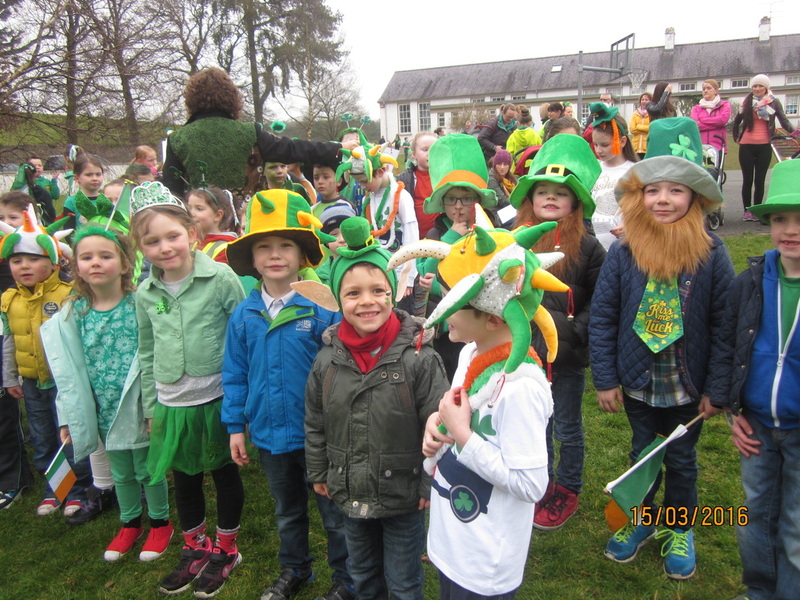 Dá bhrí sin, bhain gach duine, idir óg is aósta, an-thaitneamh as an ócáid bhliantúil seo. Well done to the boys and girls from first to sixth class who completed eight weeks of swimming lessons and who received certificates after assessment by their instructors. Cross Country County Finals took place on Wednesday 11th March in Corracrin N.S at 11am. 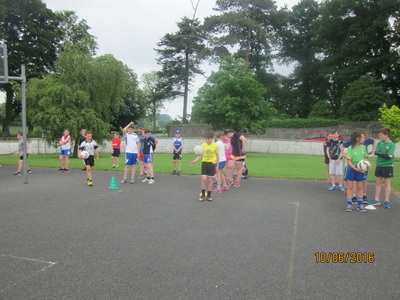 Over the last few weeks our boys and girls have been training hard everyday before lunchtime and the fitness levels are at an all time high. 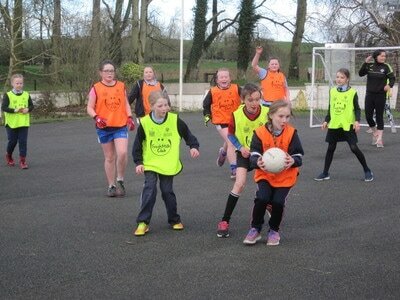 12 boys and 12 girls were selected for each team to represent S.t Mary's on the day. 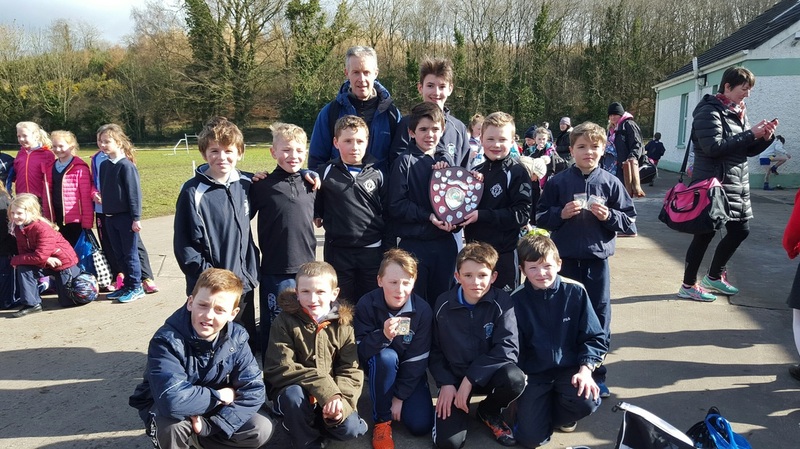 Glaslough N.S make it 3 - in - a - row! On Monday 9th February, fifth and sixth class took part in the Féile Dramaíocht in the Garage Theatre. Their play is a comedy called OPERATION ATHRÚ V An Chlann is Tápúla in Eireann (Operation Transformation v Ireland's Fittest Family). 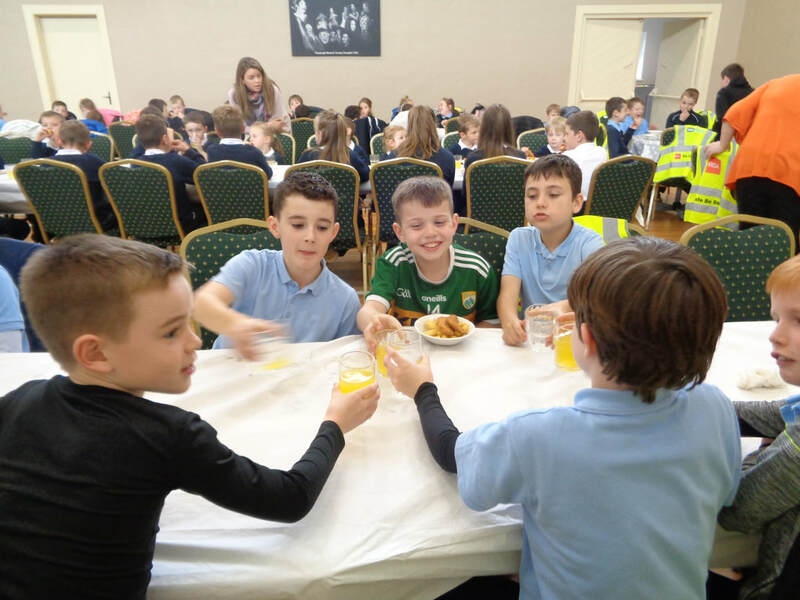 Cumann na mBunscol Table Quiz County Final will take place in the Hillgrove Hotel this Wednesday 25th February at 7pm sharp. 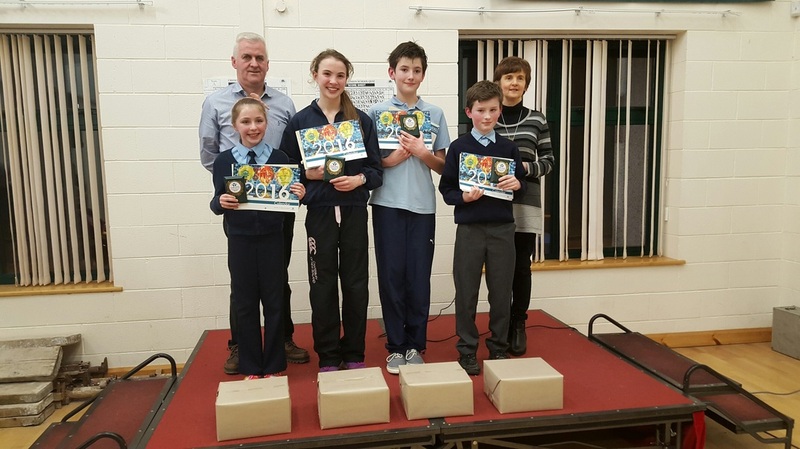 Credit Union Quiz takes place on Friday 30th January at 7p.m in Blackwater Valley Learning Centre, Ballyosion. 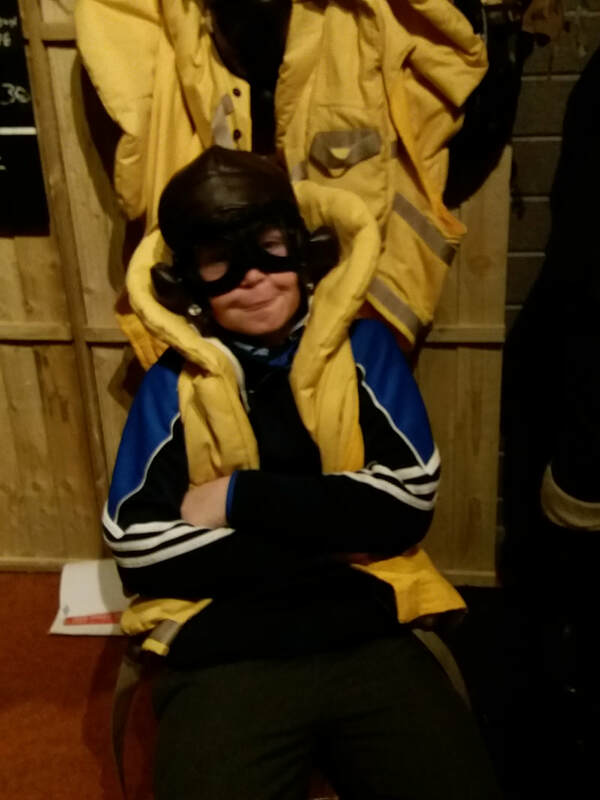 Bhí brat bán sneachta ar an talamh ar an Déardaoin, 29ú Eanáir. 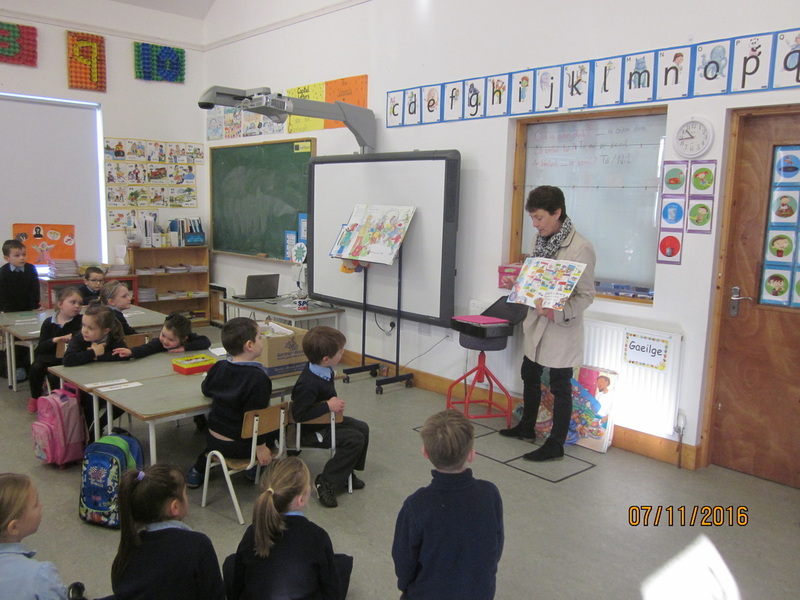 Chuaigh ranganna a hAon go dtí a Sé amach sa chúirt cispheile ar a ceathrú tar éis a dó. Bhí orthu an fear sneachta is fearr a dhéanamh! Bhain siad an-thaithneamh as an gcomórtas tógála. 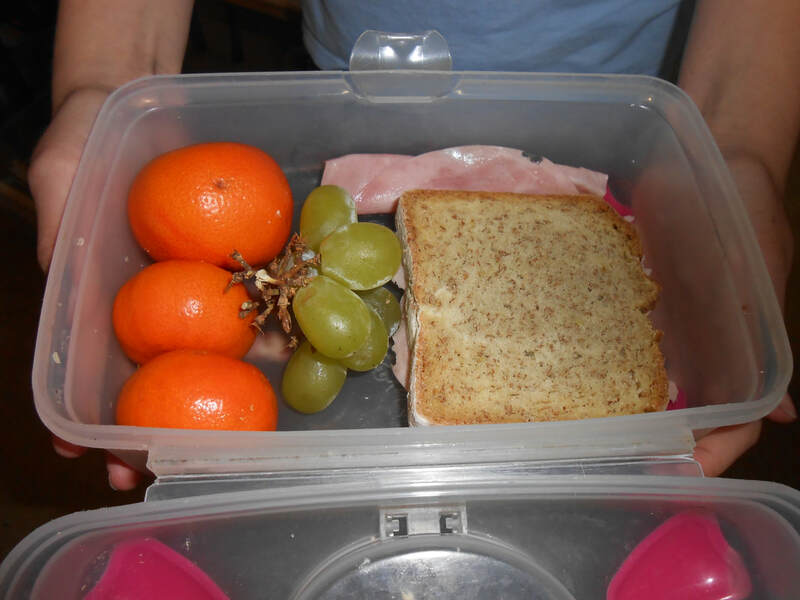 Pre-School and After-School Child Care at St. Mary's N.S. Glaslough. The following child care arrangements are in place for the current academic year September 2017-2018 in our school. 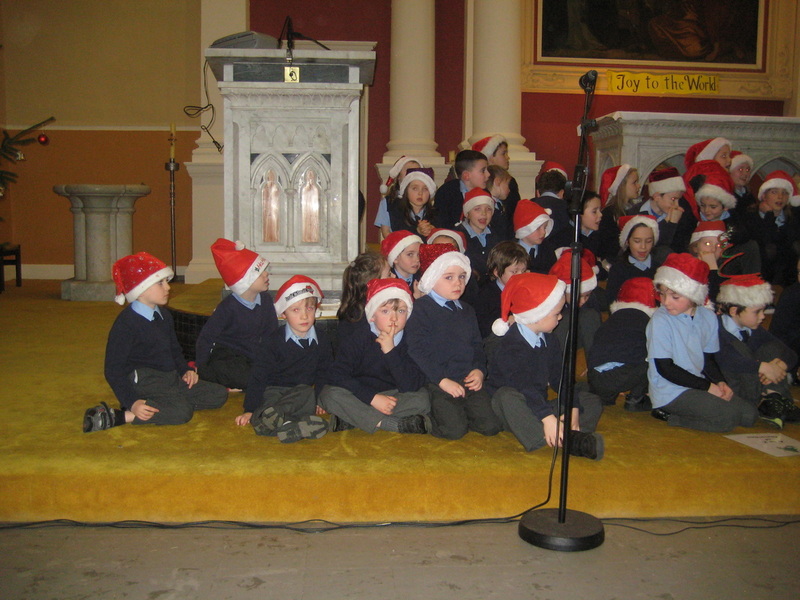 All children are welcome to avail of them. The aim of this service is to accommodate working parents only who need to have their children supervised before the start of the school day.Children may be dropped off to school at 8.30 am each school day and they will be supervised by members of the Parents Association/Teachers within the school building. This is a free service and no fee is charged. 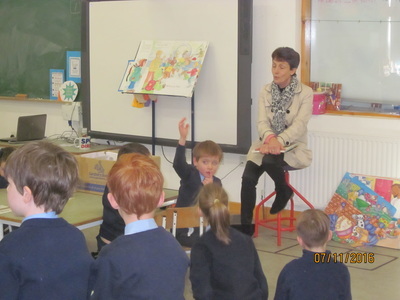 We would welcome new members to join the rota of parents who currently volunteer for supervision,especially those who avail of the service. We ask that they might consider giving of their time one or two days per fortnight. It is unfair to leave it to the same committee each year. 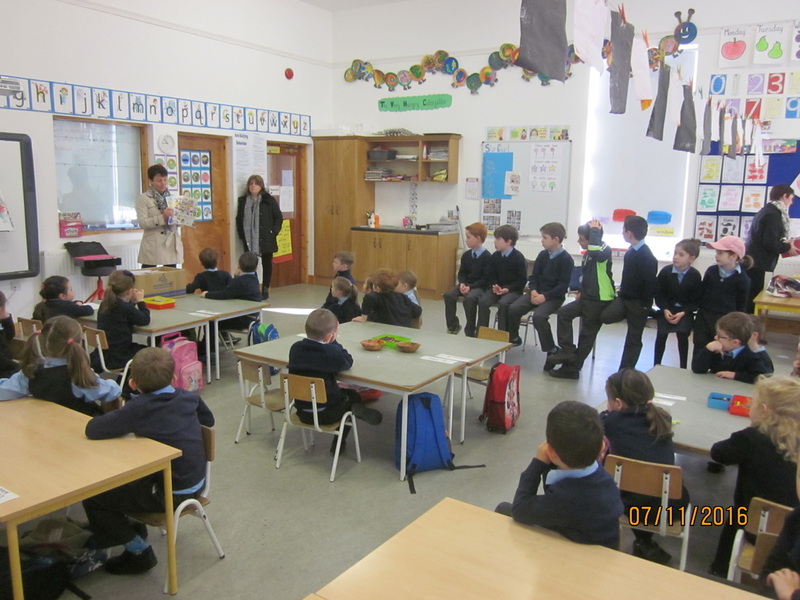 Supervision has been put in place to care for Junior and Senior Infants who wish to remain until 3pm. 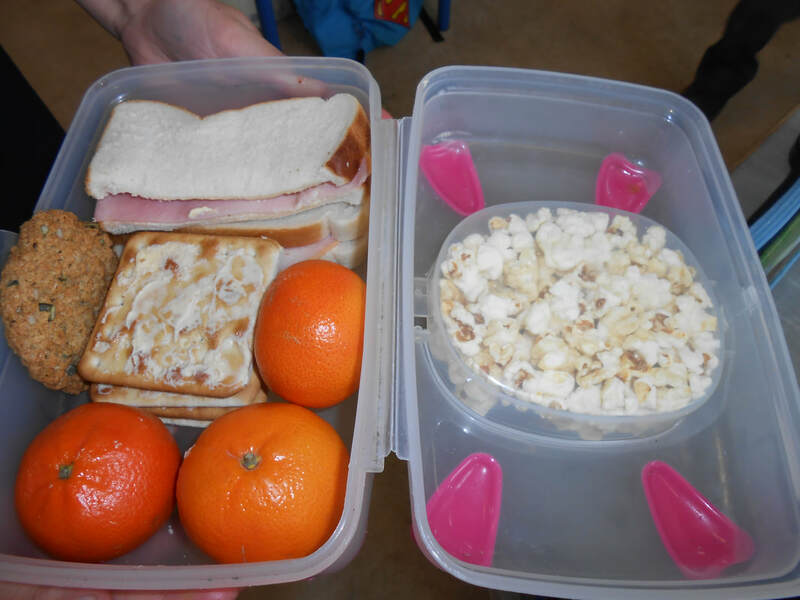 This might suit those families who have children in the other classes and wish to do only one school run. 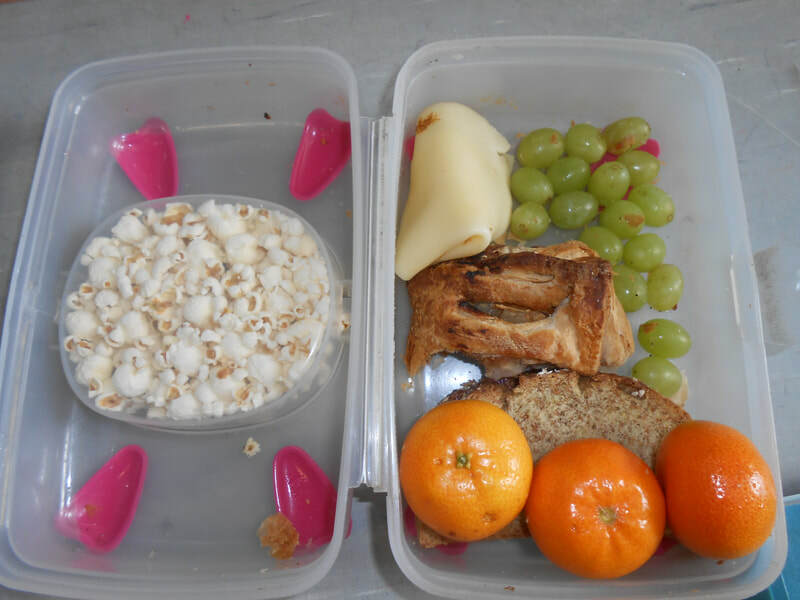 There is a charge for this service which currently stands at 2.50 euro per day per child. 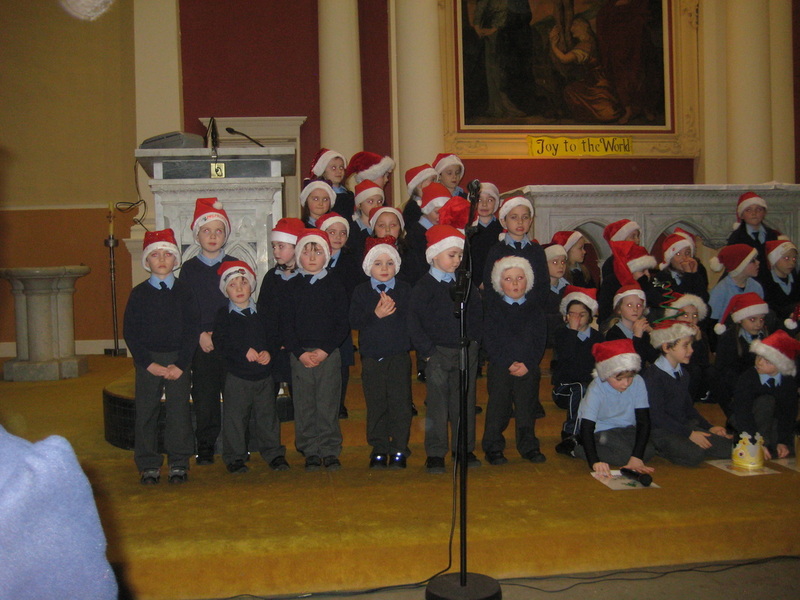 The children are supervised by a member of staff. Three children- 14 euro per day. 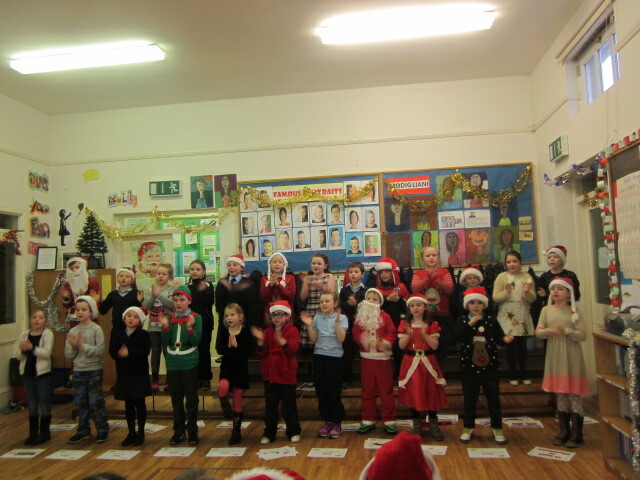 What a wonderful performance by the children and staff of our school. 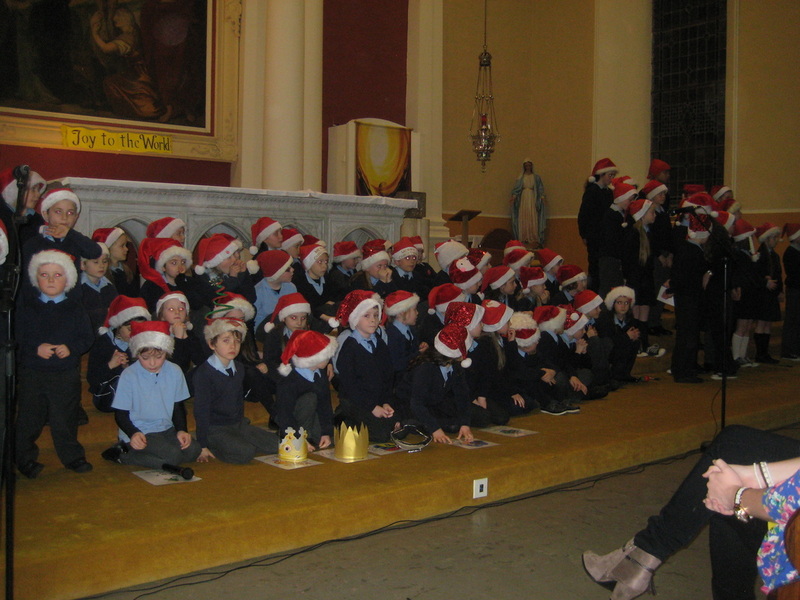 The church was packed with very proud parents and grandparents and from their expressions all seemed to cherish the magic of the night. 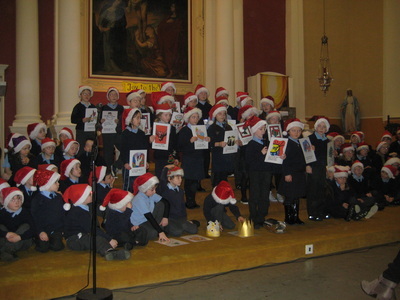 The service of carols opened with the song 'Welcome, Welcome' from the Religious Programme 'Alive O'. Each class undertook three parts in the performance and their efforts are to be praised. 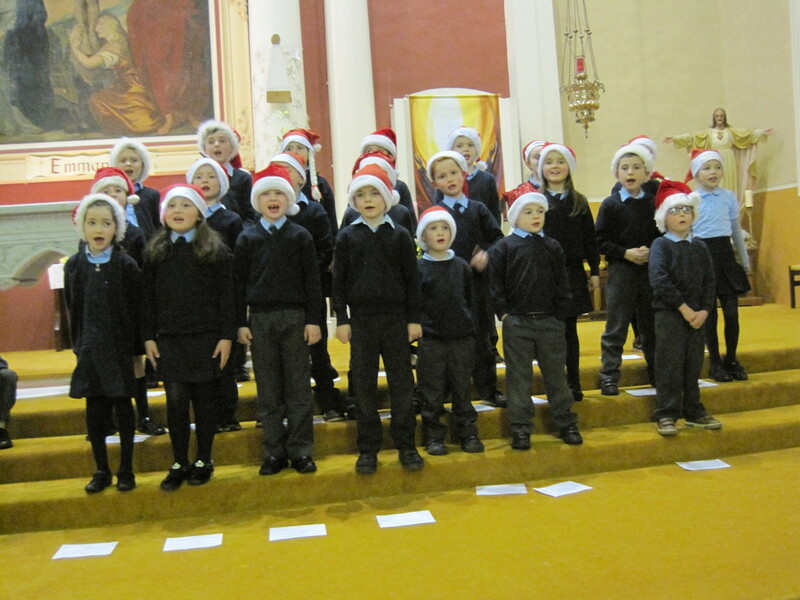 There was a mixture of old and modern carols and the service also included the poem ' The A-Z of Christmas'. 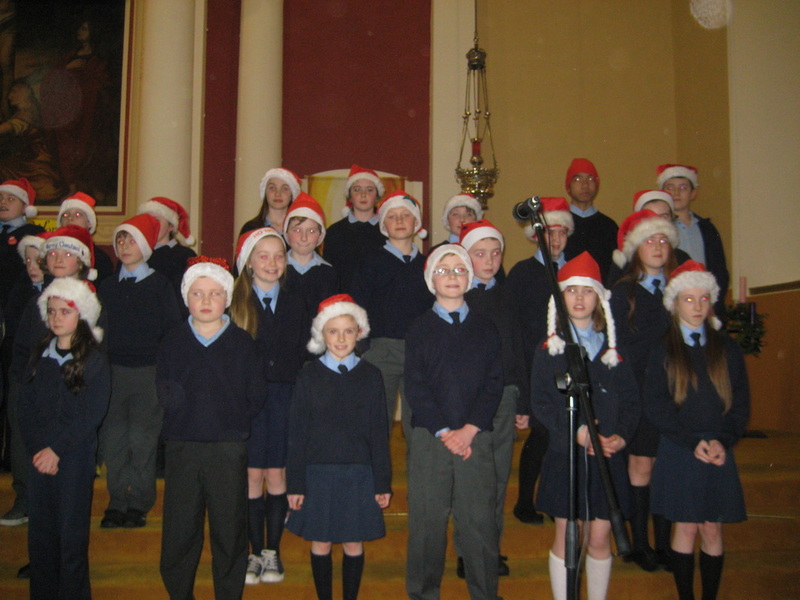 The senior children perfomed an instrumental version of 'Silent Night' and 'Little Donkey' and they really came to life when singing the current tune of 'Let it go'.We are most greatful to Fr.Hubert and Patricia Mc Gonnell in their support of the service. 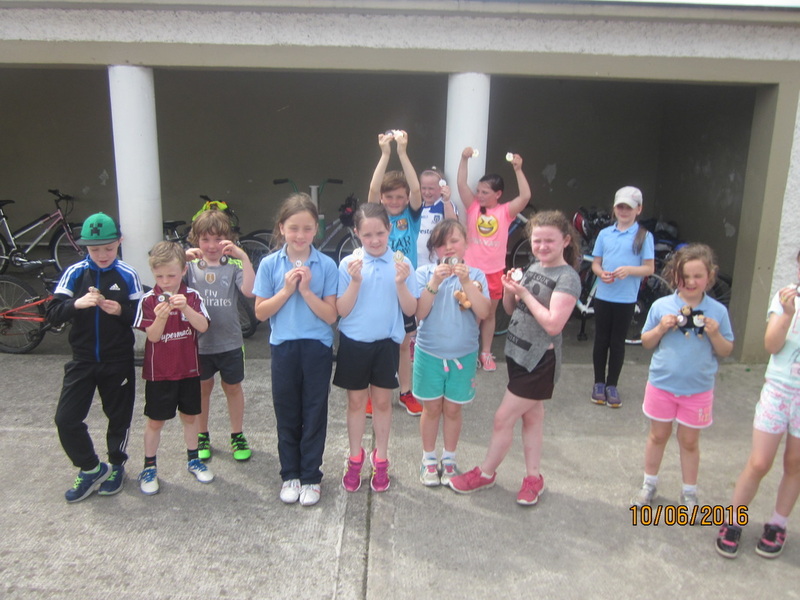 Finally a sum of five hundred and forty four euro was raised for our school funds and we extend our gratitude for this generosity. This year we brought the children to see "Cuckoo Connolly's Curious Clock Shop" in the Garage Theatre. 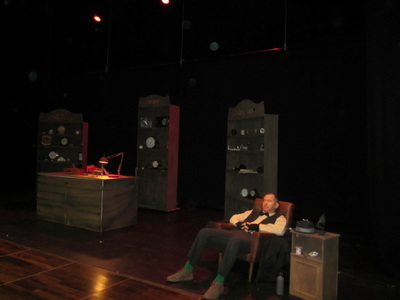 It was so wonderful to support our local theatre and we got there and back in such a short time. The children enjoyed the outing as it afforded them the opportunity to appreciate drama in a formal setting of a theatre.We hope that our visit will inspire a love of the arts among the children and who knows there may be a future actor or actress in our school but if not we hope they will make time to be part of the audience. A collection for St. Vincent de Paul Christmas Food Appeal is taking place in the school from Monday 8th - Wednesday 10th December. Please ensure all food is non-perishable and well dated. 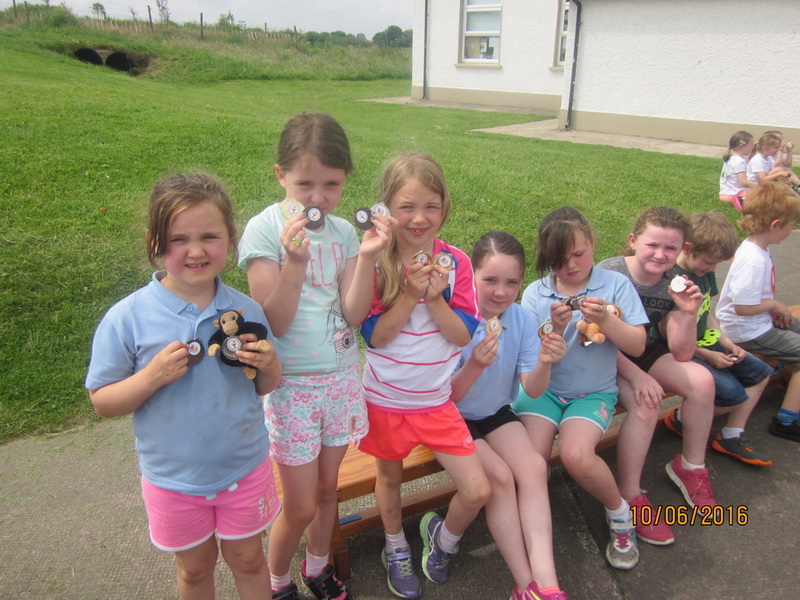 Under 7's: 1st - Honor Colleran, 2nd - Niamh McQuaid, 4th - Maria De Lea. Age 8-9 : 2nd - Aoibhe Kelly, 3rd - Áine McQuaid, 4th - Harvey Colleran. Honor Colleran is now through to the next stage of the competition. 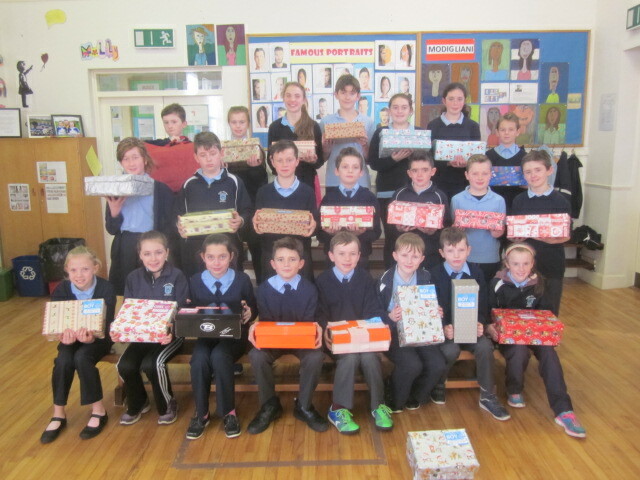 We wish to acknowledge the support of Parents, Staff and children in our efforts to raise funds for our school. The total raised to date is €3600.On the last day of term before Halloween the senior children completed Hoey's Trail of the Village and the junior children walked to the play park to honour their commitment to raise funds.The children are to be commended for their scary costumes and a fun time was had by all. 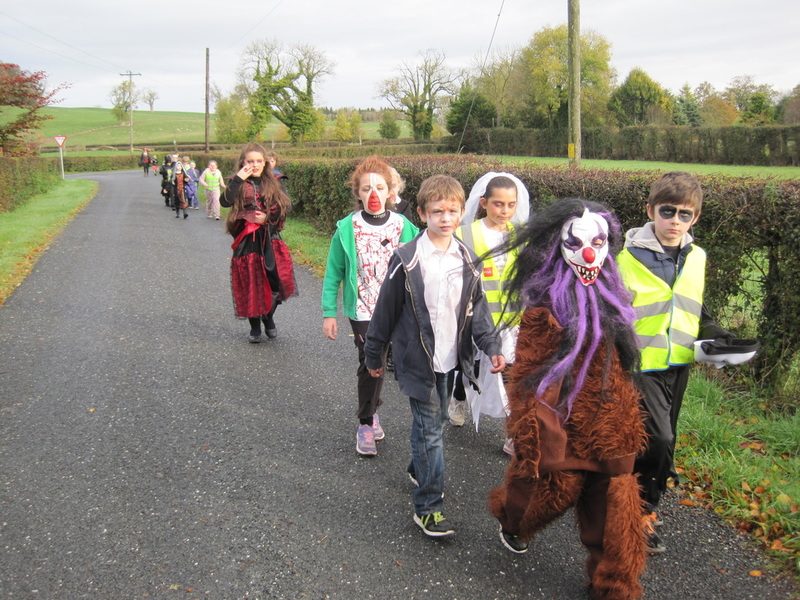 Treats were provided by the Parents Association on completion of the walk. 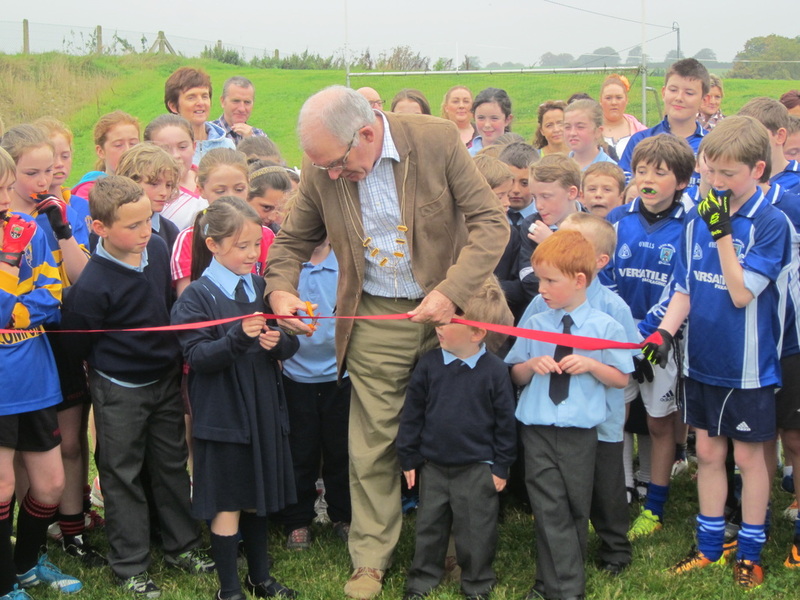 Our Lord Mayor, Paudge Colleran, cut the ribbon on our first competitive game on Friday 19th September. 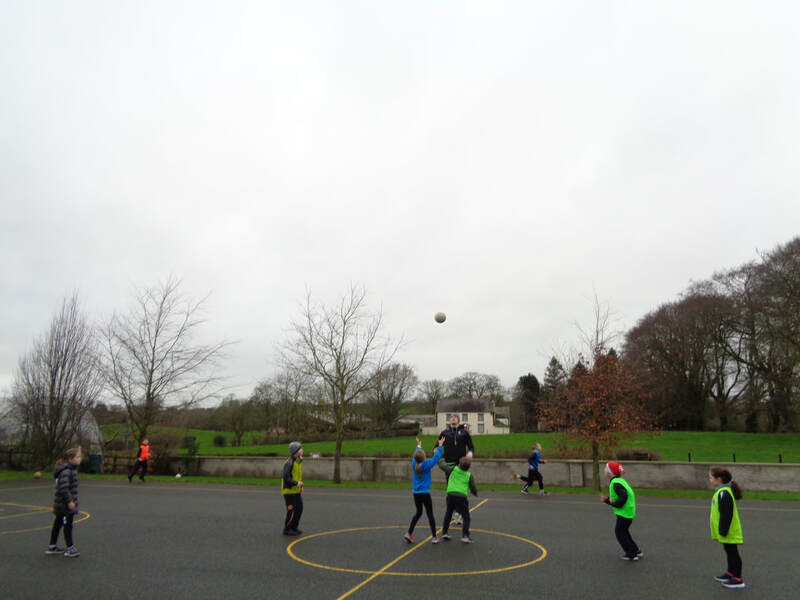 We played against Knockconan N.S. and it was real treat for us to play on home soil. 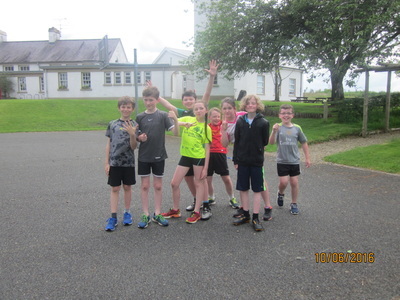 The following report is by Ben Duffy, Team Captain. 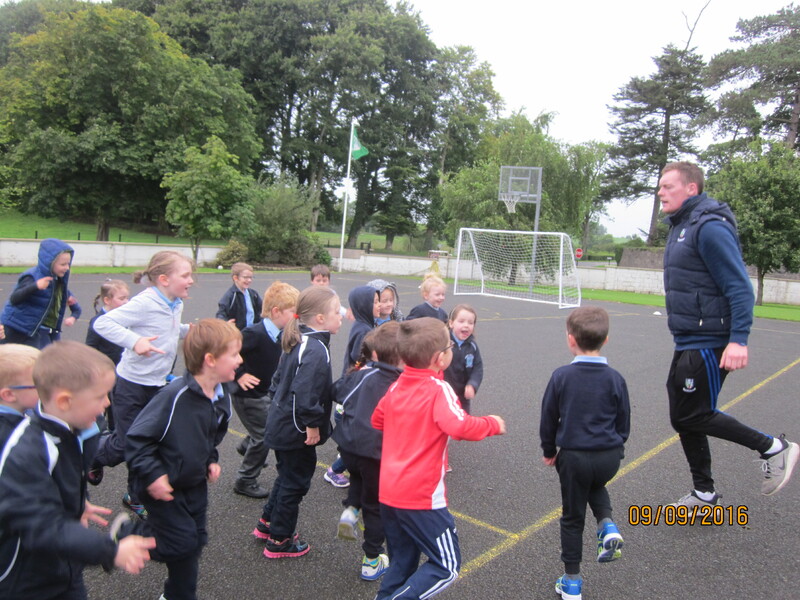 On the 19th September 2014, Knockconan came to St. Mary's N.S. 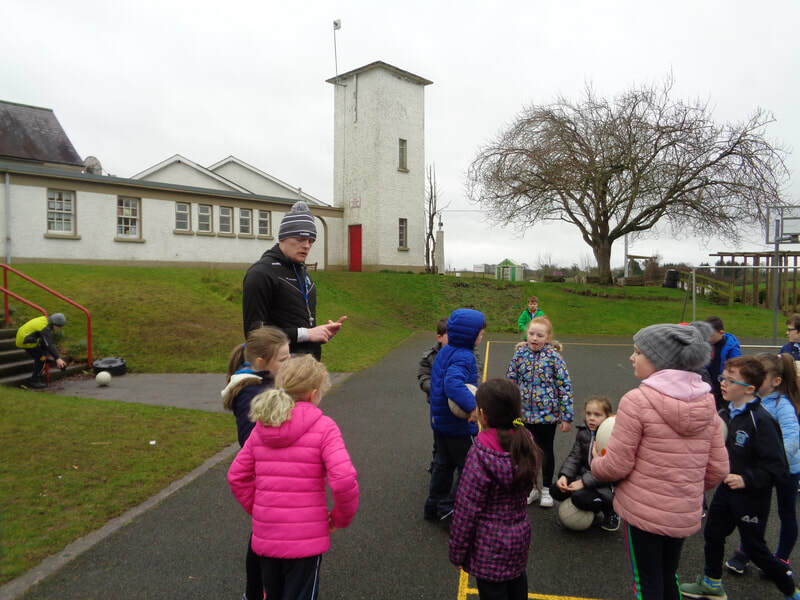 to play us in a game of Gaelic. At 11a.m., the girls played an opening match. It was Ard Mhaca (Armagh) v''s Baile Atha Cliath (Dublin). In the middle of the girls match, we saw their bus pull up. The adrenalin was pumping. To our surprise a bunch of girls came out. We found out that they didn't know it was supposed to be an all boys match. 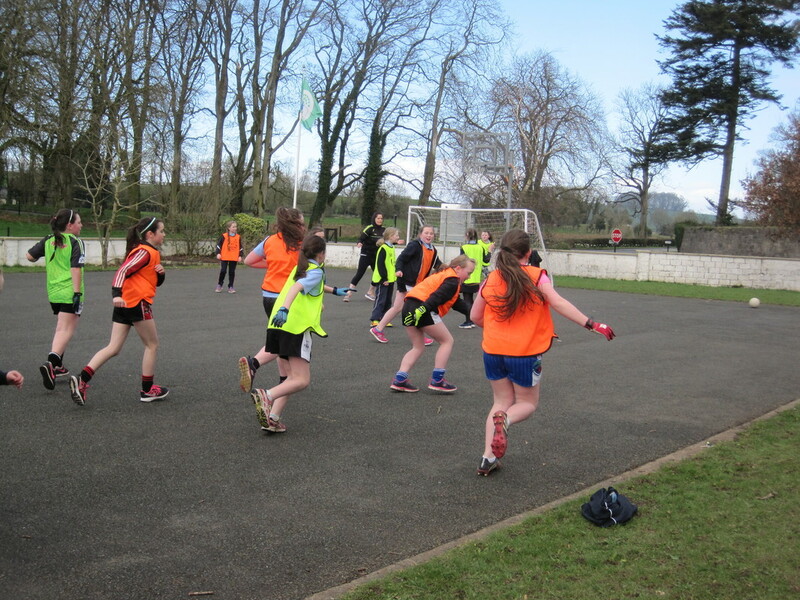 The match kicked off at around quarter past eleven. We started off strong. Pauric scored the first goal and Caolán scored the first point. By half time the score was 5 all. We swapped places and then we started the match. At the start of the second half we slowly started to slip. We tried as hard as we could but sadly knockconan got in there and beat us 17-12. We were sad but we were happy to play against Knockconan. It was a lot of fun. Chanon got player of the match. 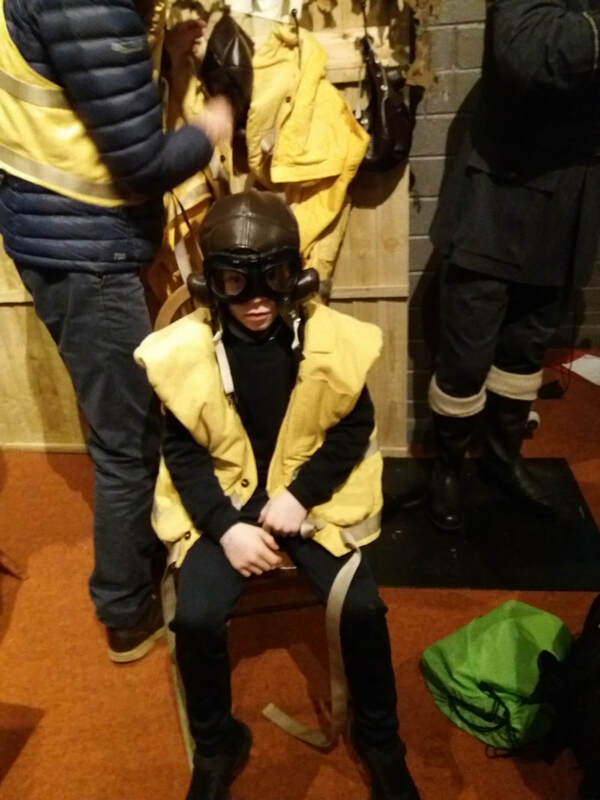 I myself was captain and I had a lot of fun. I think Sir was very pleased with our effort. By Ben Duffy (Team Captain). On Saturday 27th September Aoibha and Caoimhe Treanor represented St. Mary's N.S. 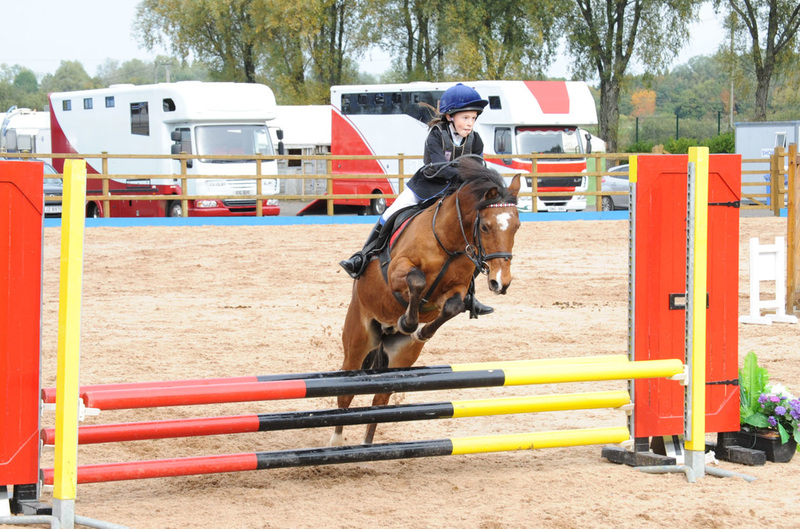 in the Schools Showjumping Competition. 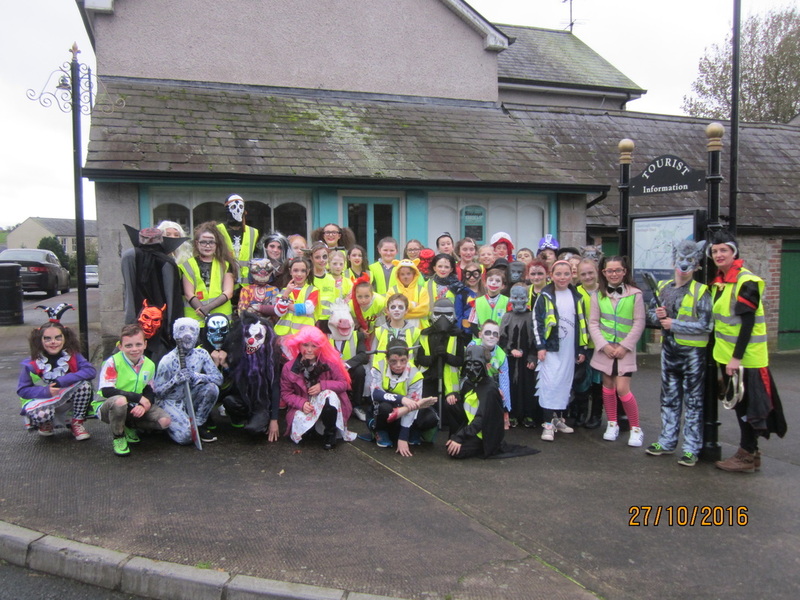 Click on the link below to read a report on the day. 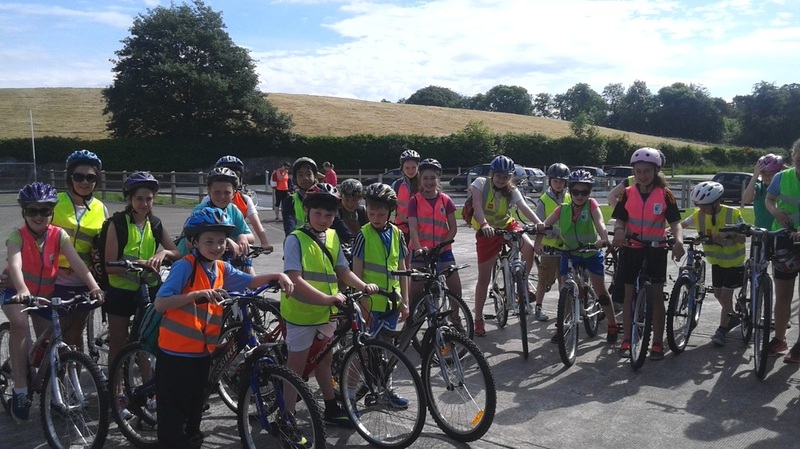 Our 4 Village Cycle has become an annual event for 5th & 6th Class. Starting at St. Mary's we cycled our way through Glaslough Village, Tynan, Caledon and Middletown. 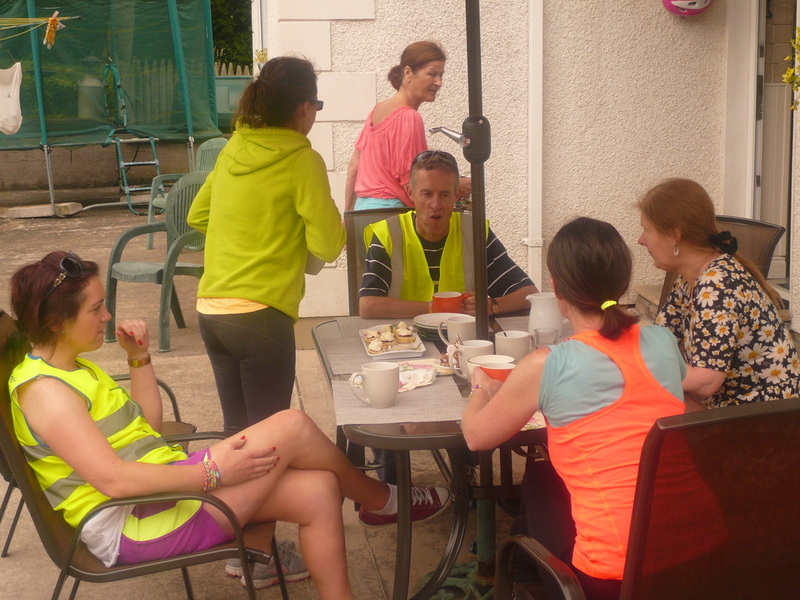 This year we were extra lucky as we were treated to coffee and delicious scones at Aimee Duffy's house on our journey home. 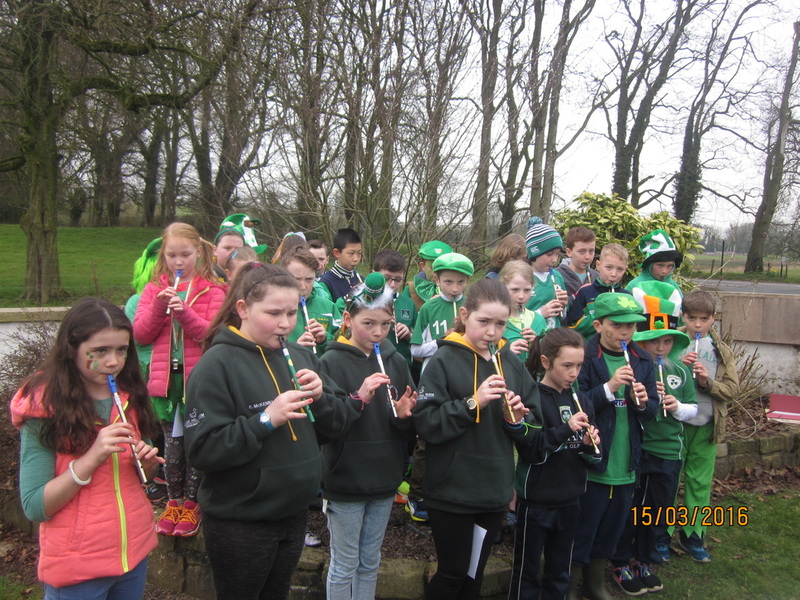 A big thank you to Mr Macklin and Miss Treanor who organised the trip and also to parents Trudie Duffy, Louise Duffy, Fiona Molloy & Amanda Lavery for accompanying us. A great day was enjoyed by all! 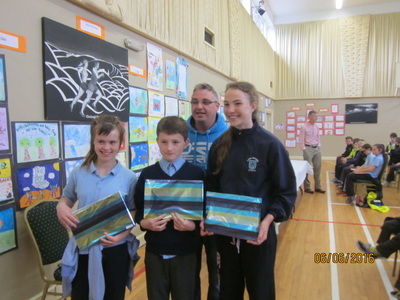 The presentation of prizes to the Merit Winners was held in the Four Seasons Hotel on Tuesday 10th June. This annual event was organised by Monaghan Education Centre. The celebrity guest was Colm McElwain, Scotstown, author of "James Clyde and The Diamond of Orchard". 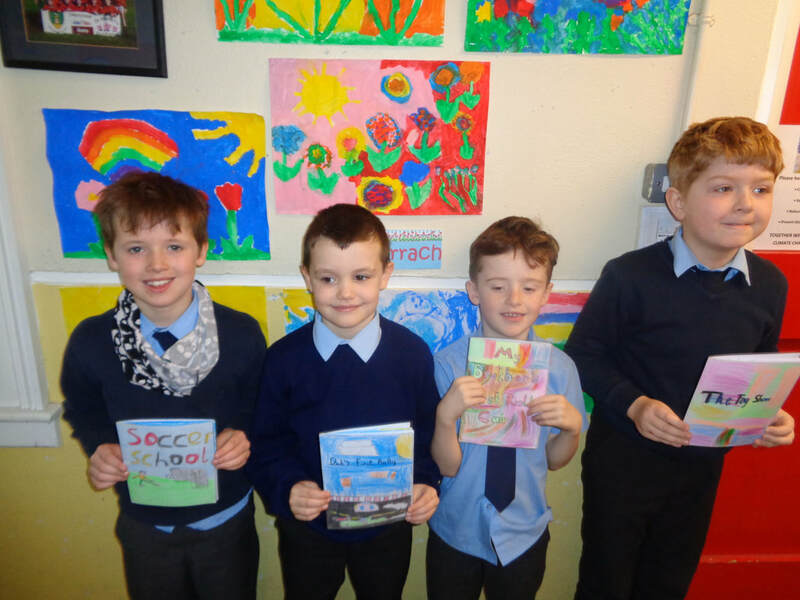 All the winning letters are published in a book entitled "P.S." which will be on sale in Easons. Jimmy McGeough, director of the Education Centre, said this publication would outlive the capacity crowd in attendance and would in time be a great record of life in the past. Miss Treanor took part in the Flora Women's Mini Marathon on June Bank Holiday Monday in Aid of the Irish Kidney Association. 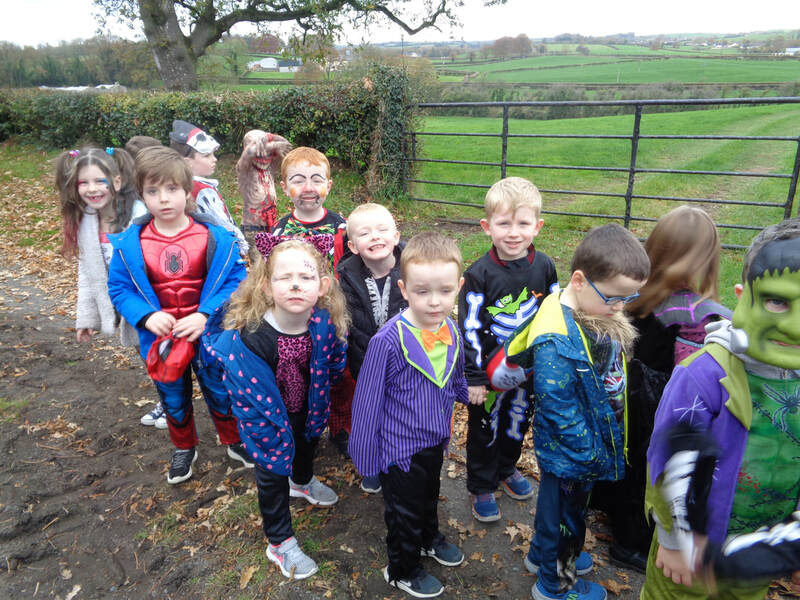 As part of her fund raising she organised a 'Pyjama Day' for the boys and girls in our school and each family made a contribution to this worthy cause. Every child got involved, dressing up in their cosy onesies or colourful pyjamas along with slippers and the odd teddy! 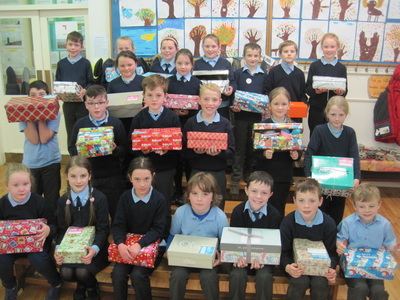 Miss Treanor would like to sincerely thank the Staff, Parents and Pupils for their kind and generous donations. Together we raised a sum of €404. 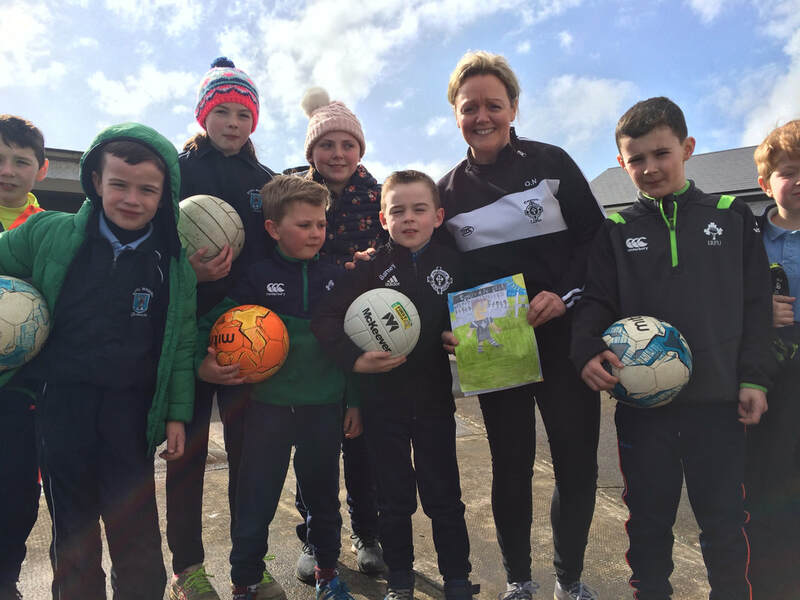 This will go a long way towards helping adults and children with Kidney conditions. A Successful Ending to Swimming Term! 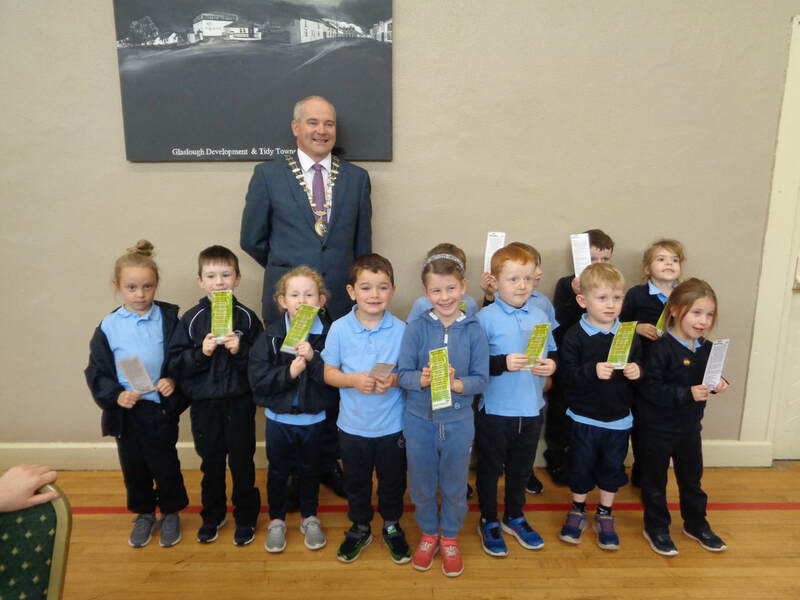 Congratulations to the children from first class up to sixth class who successfully completed a term of eight weeks swimming lessons at Monaghan Leisure Complex. 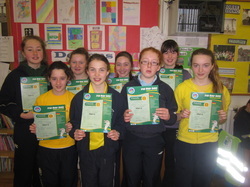 Each child was awarded a certificate on completion of an exam by The Irish Water Safety Board. 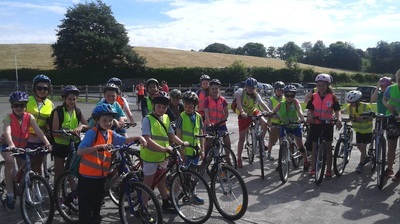 Our thanks to The Parents' Association for their contribution to the transport costs. 1. Entry by standing dive. 9. Show head first and feet first surface dives. 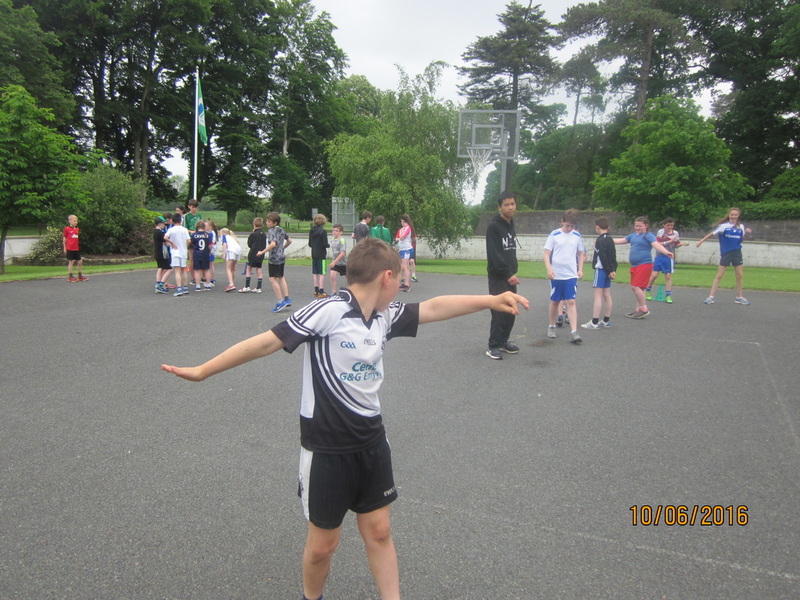 10.Demonstrate reaching and throwing rescue. 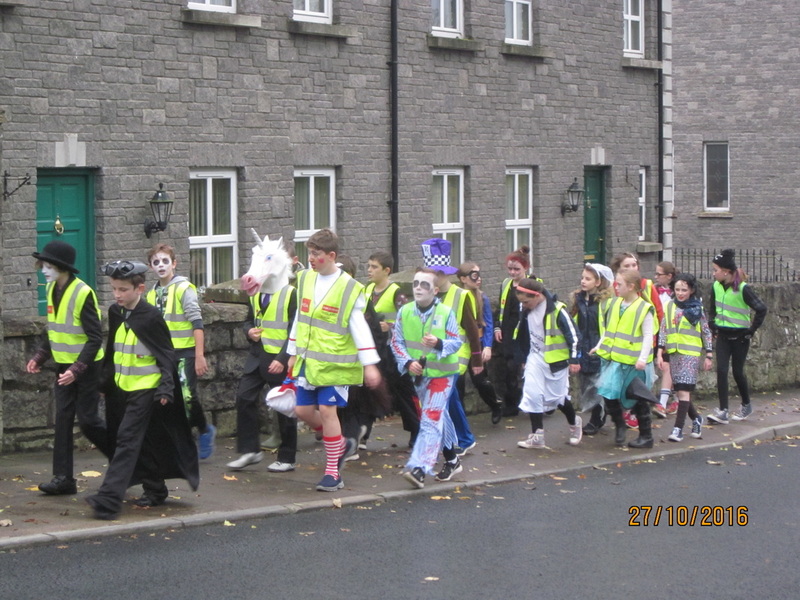 Walking in support of Daffodil Day. 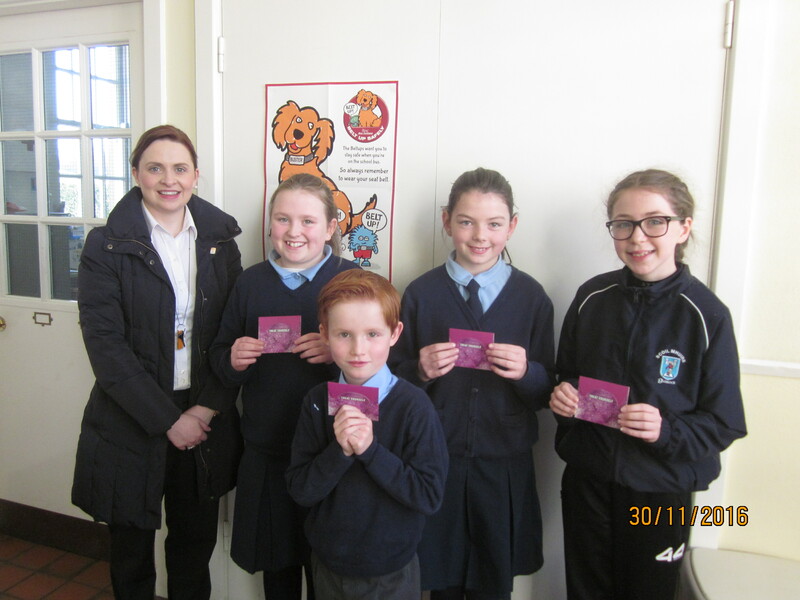 We wish to acknowledge the contribution of €315 made by the Parents and children of Glaslough School to the Cancer Society. 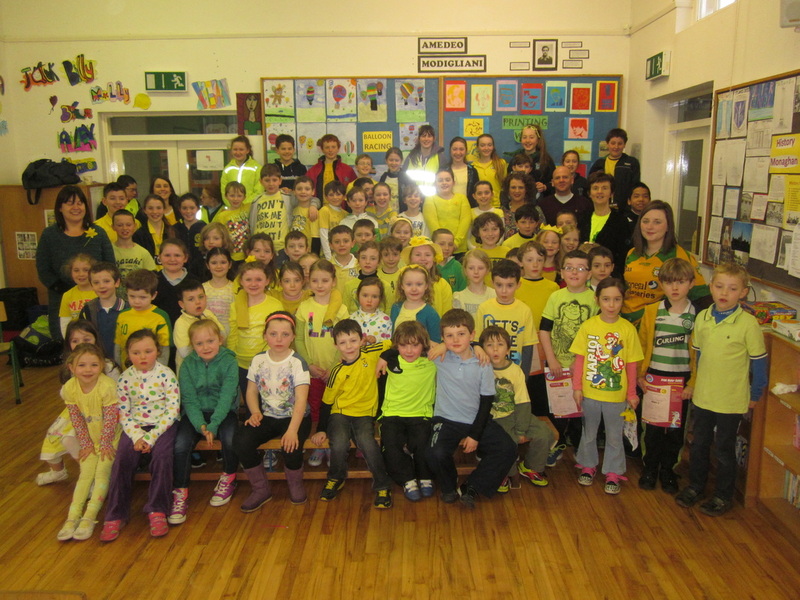 They walked to school on Friday 28th March wearing all shades of yellow. Our gratitude to the Parents' Association for the tasty "yellow" treats! 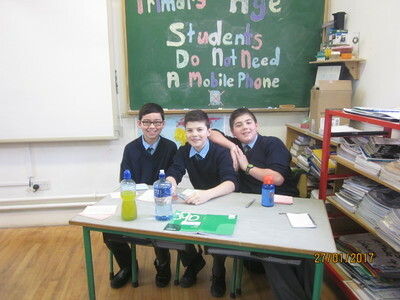 Debating team progress to the County Final! 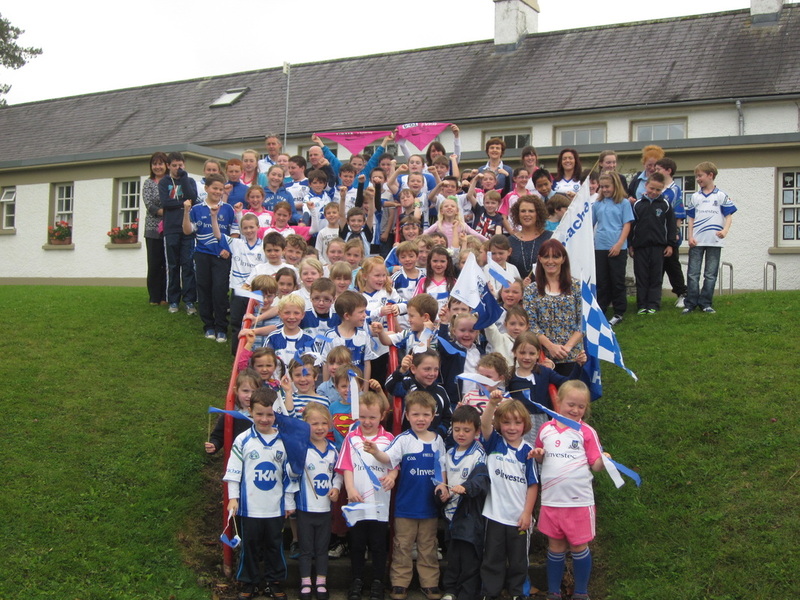 On Friday 28th September we held a jersey day in support of the Monaghan Ladies Football Team who played in the All Ireland Final and we raised €150 for the Irish Cancer Society. 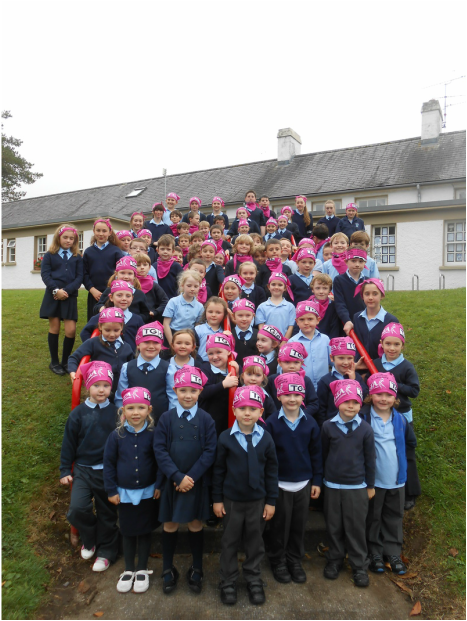 Each child received a lovey pink bandana! 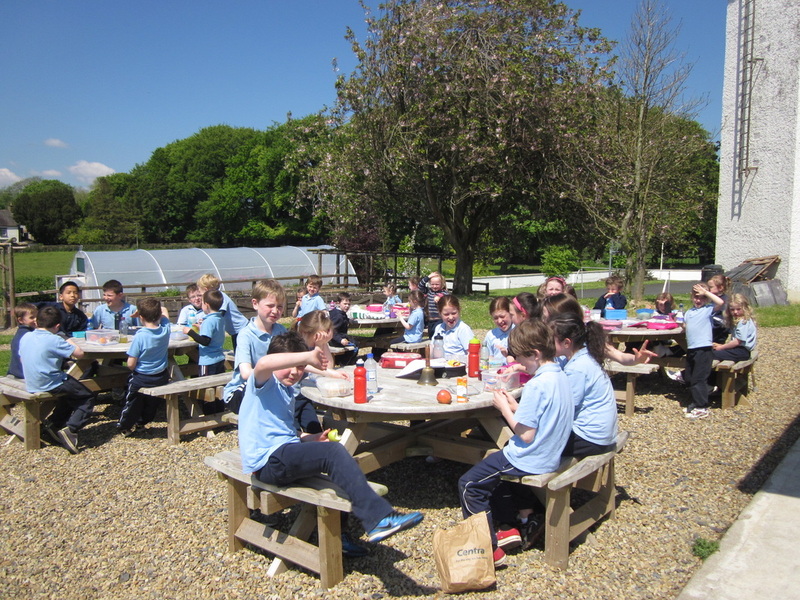 Pupils enjoying the glorious sunshine while having their lunch at the picnic tables in St. Mary's School Community Garden on Wednesday29th May. 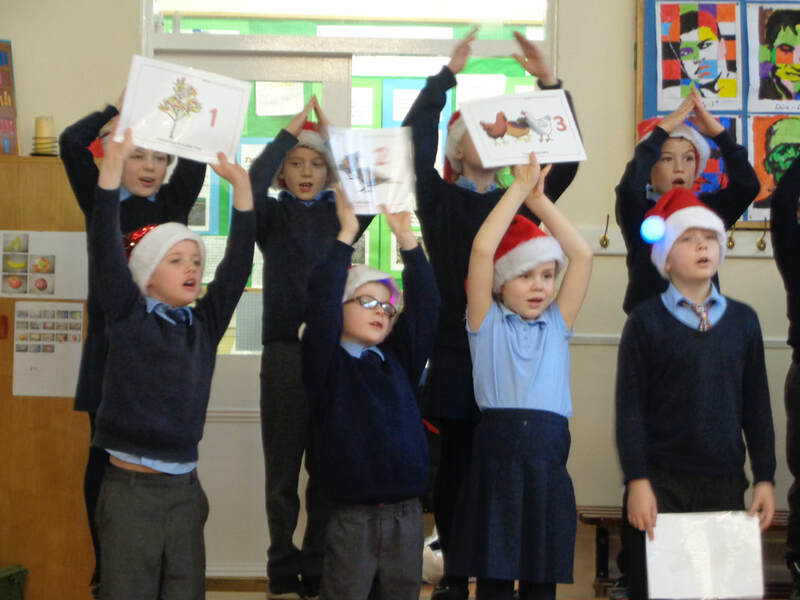 We are a school of authors! 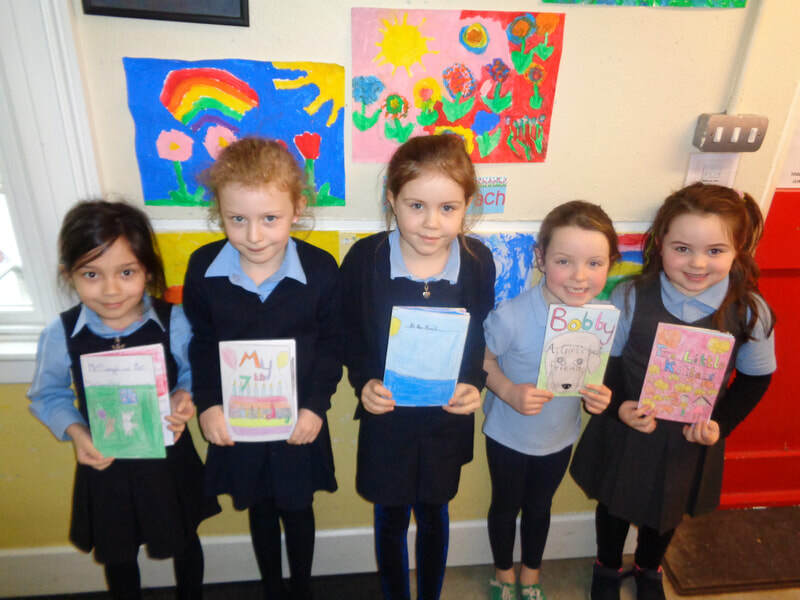 We are so proud to announce that each and every one of our pupils have just written a book of their own.